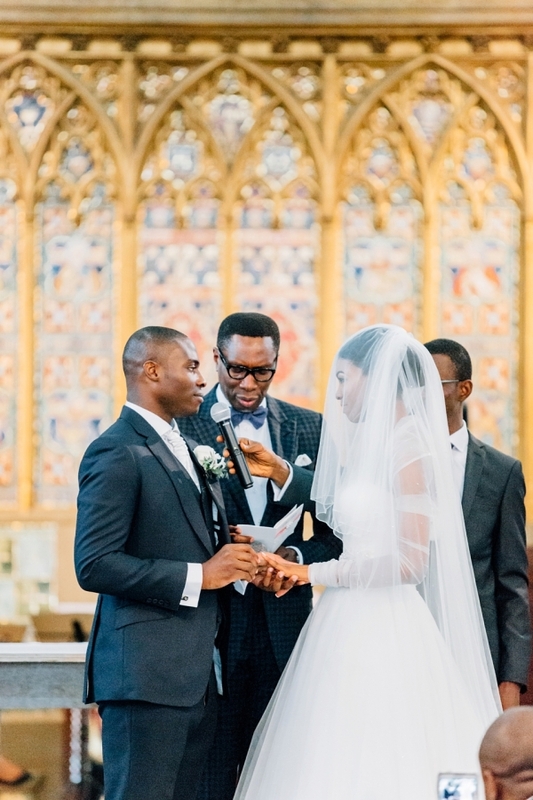 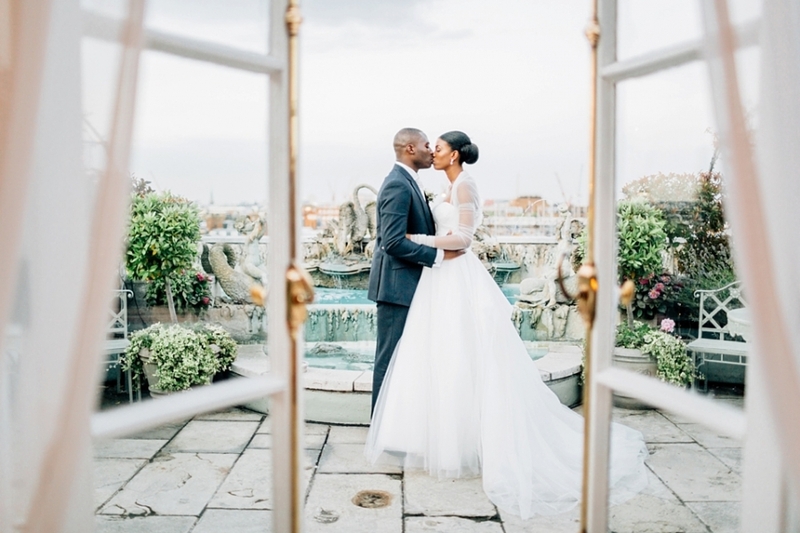 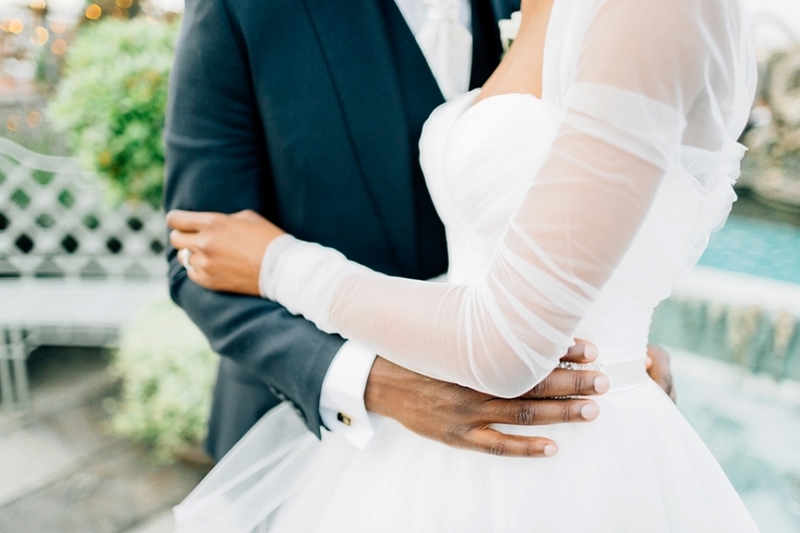 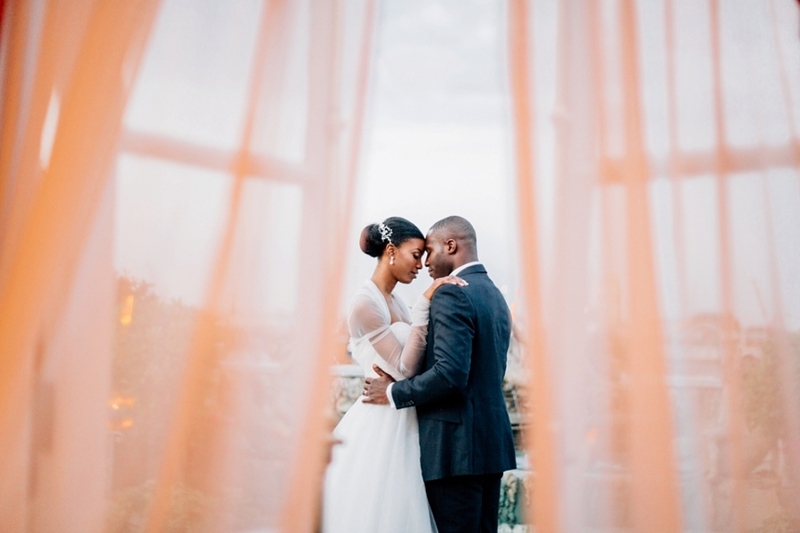 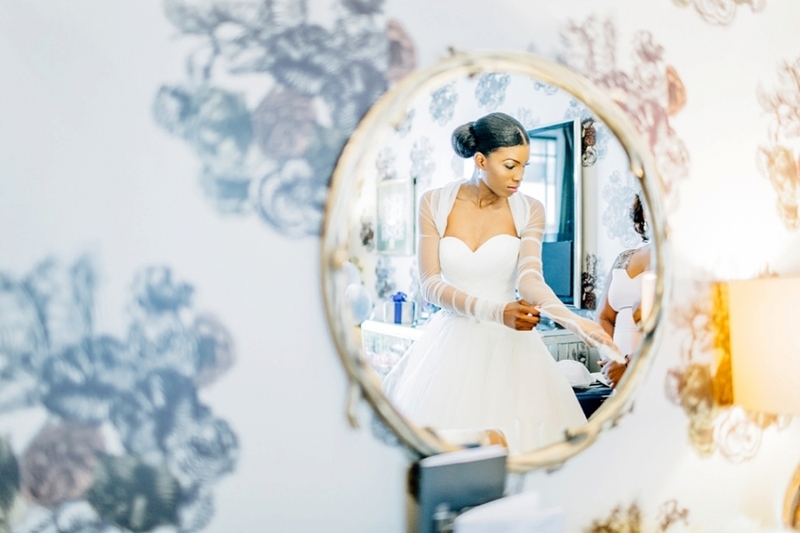 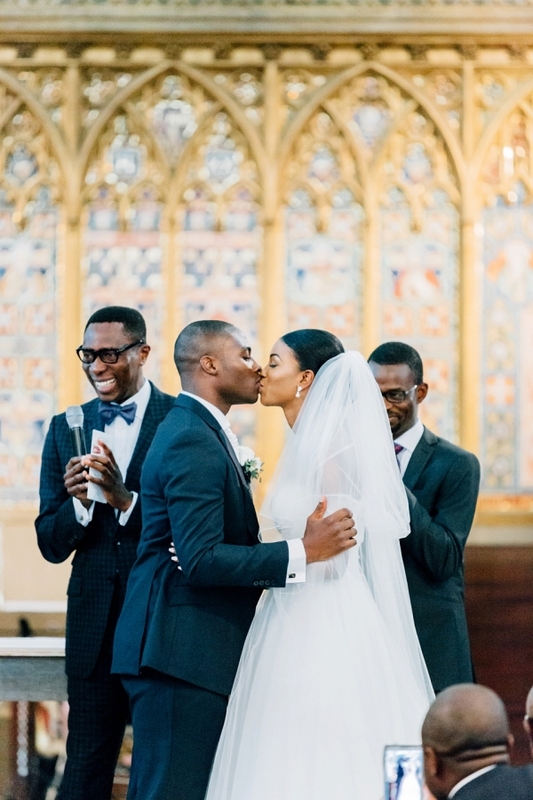 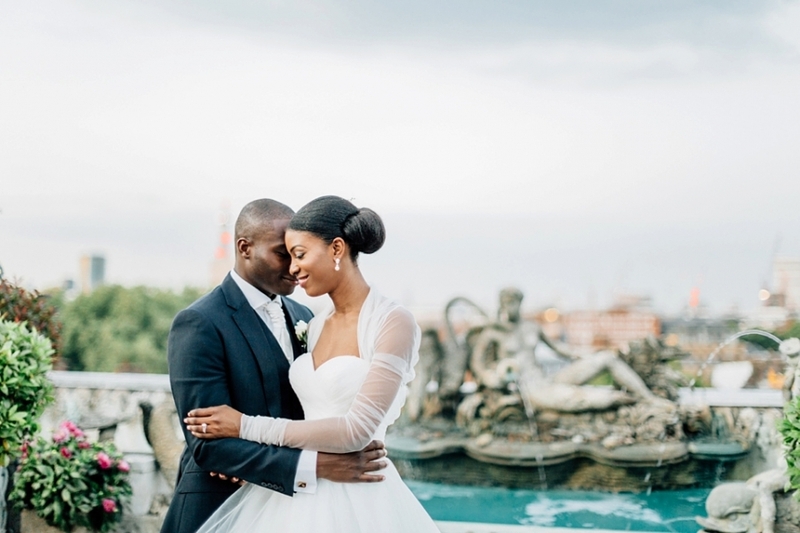 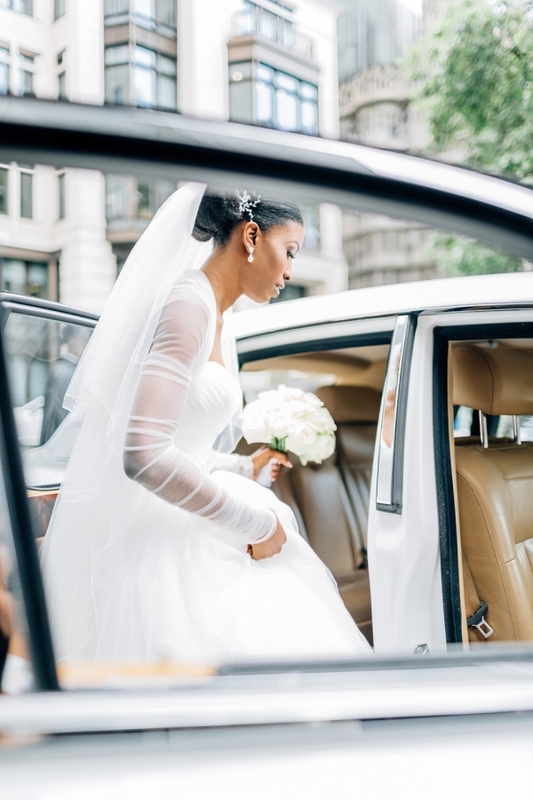 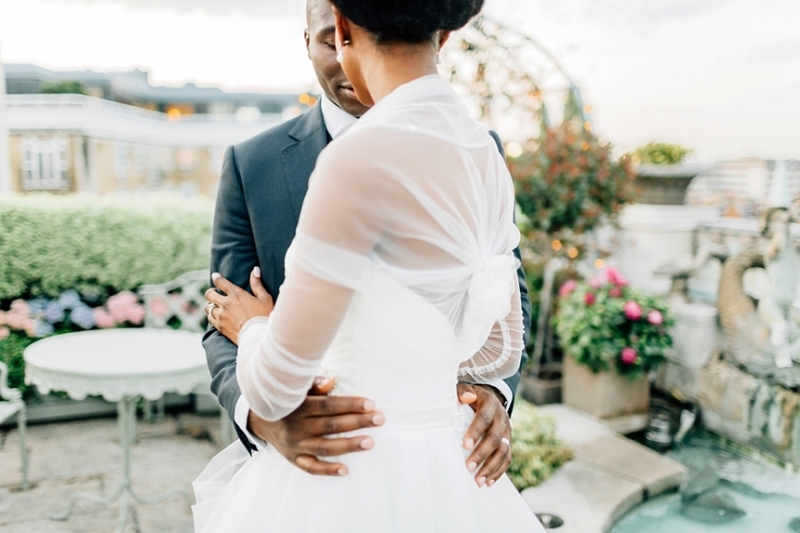 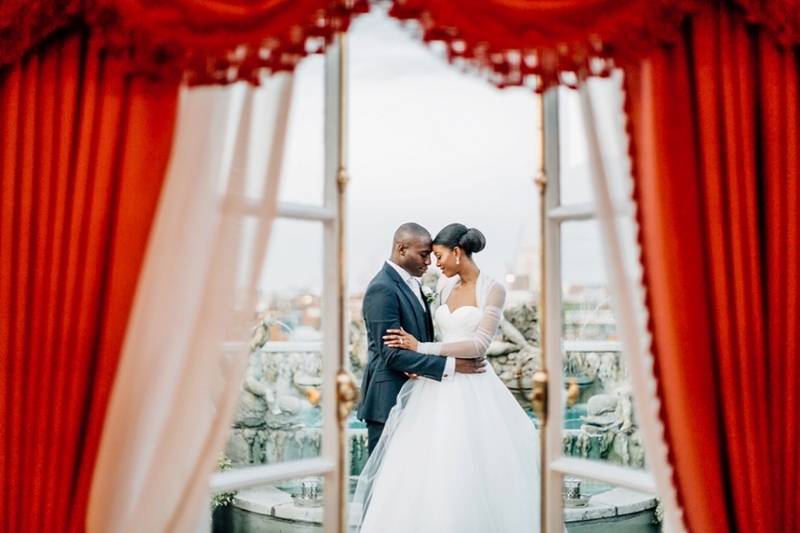 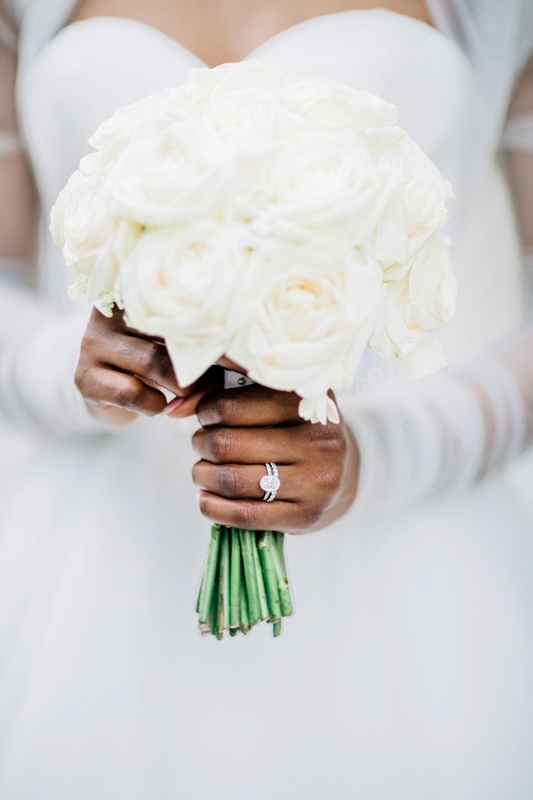 There’s something about a wedding in the capital – the vibrancy, the buzz, and for Ijay and Tolu, the familiar landmarks of their lives and their love together. 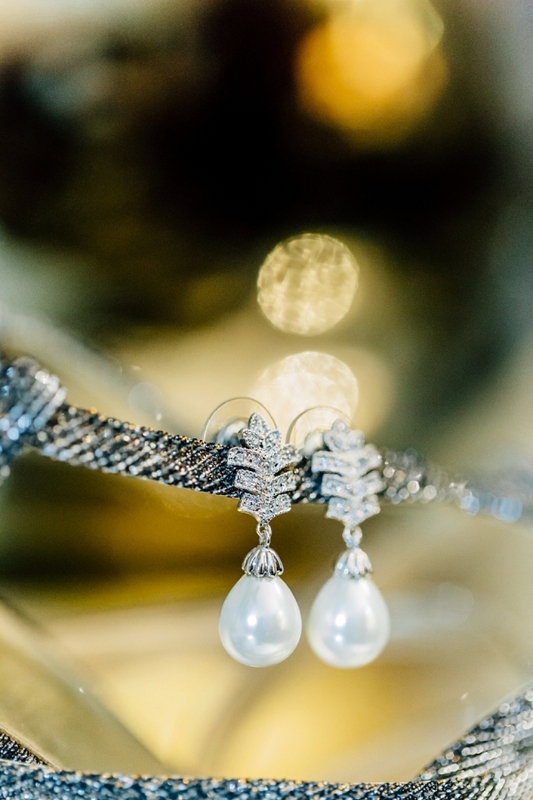 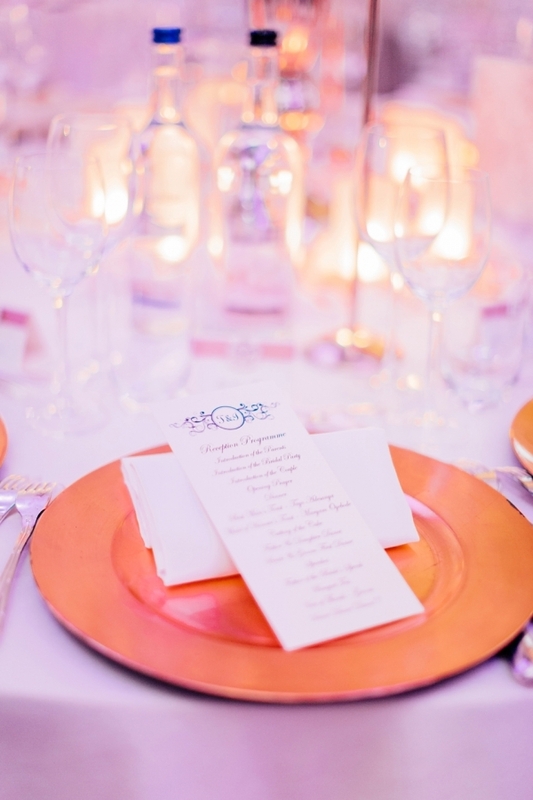 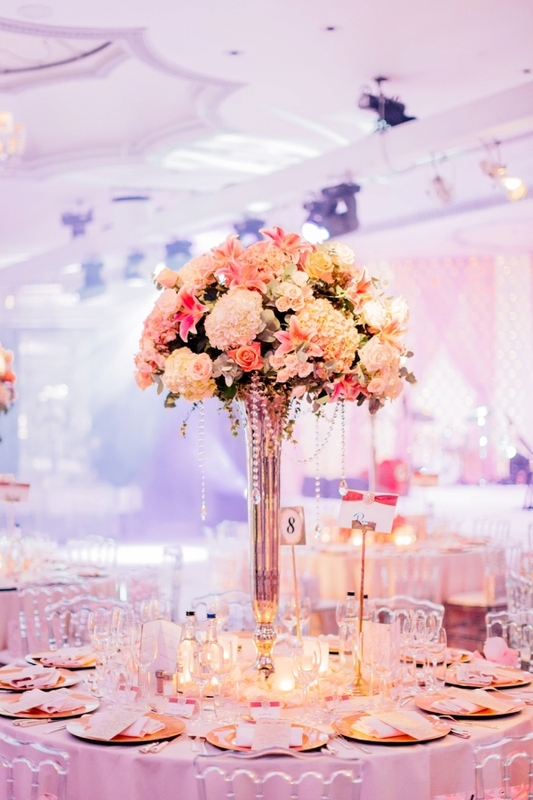 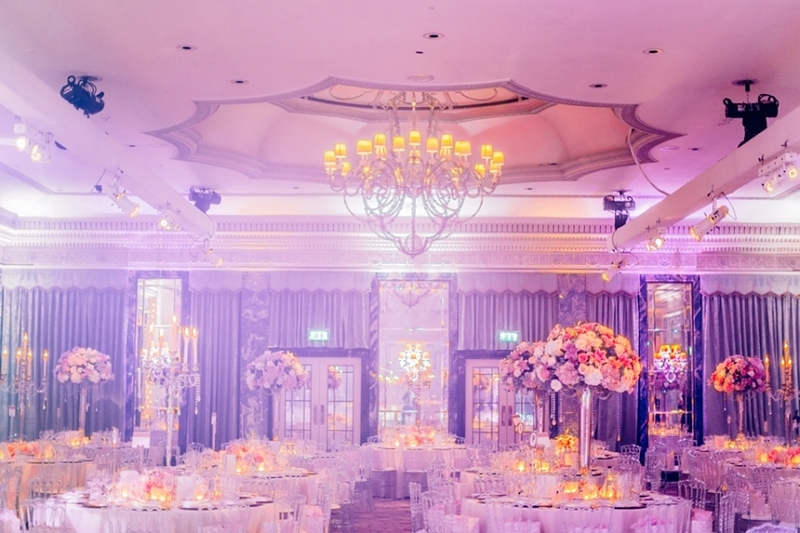 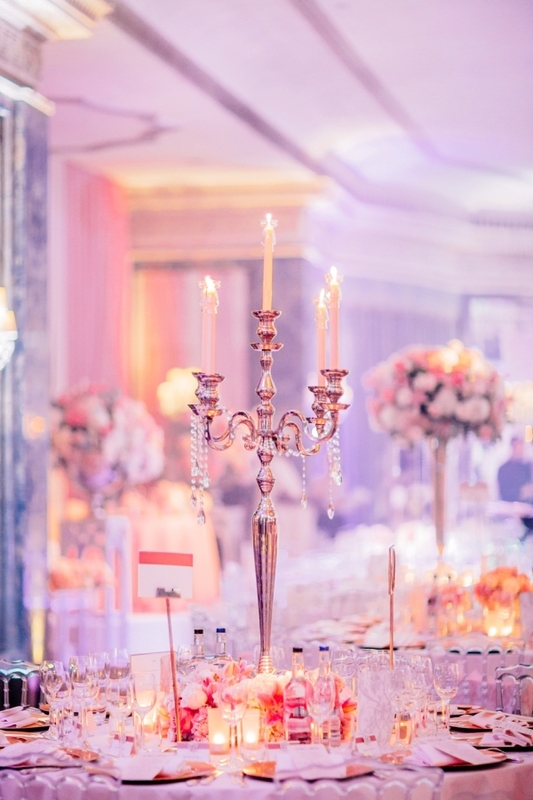 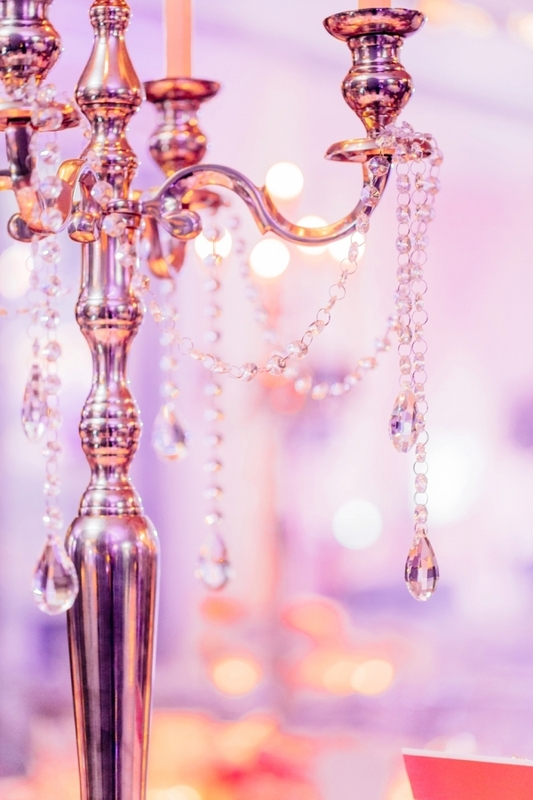 When you think of a wedding in London, there’s no venue more refined than the Dorchester, with its jewelled candelabras and glistening chandeliers. 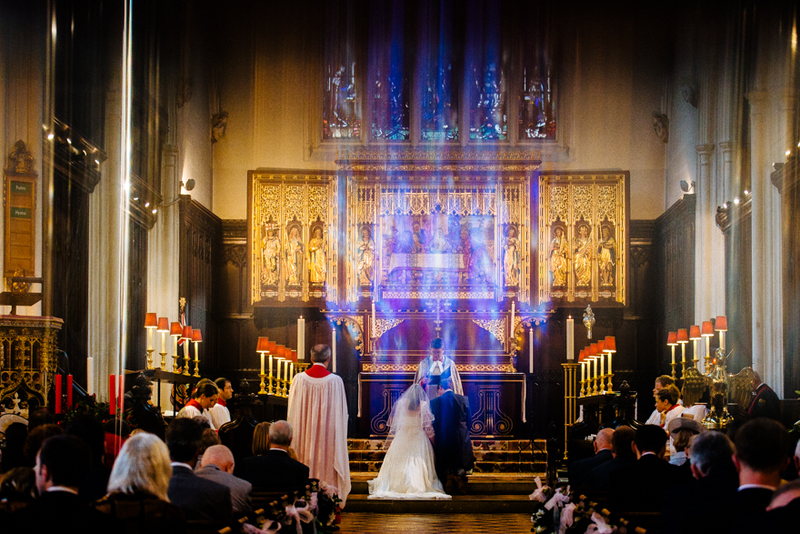 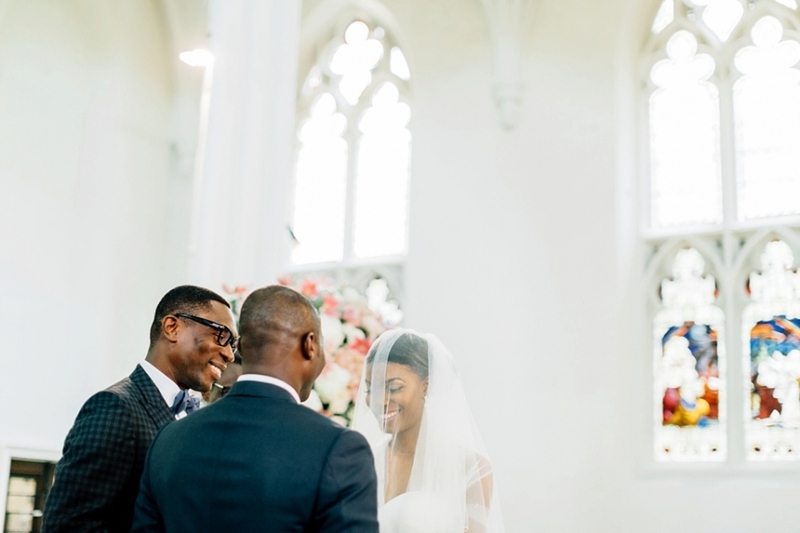 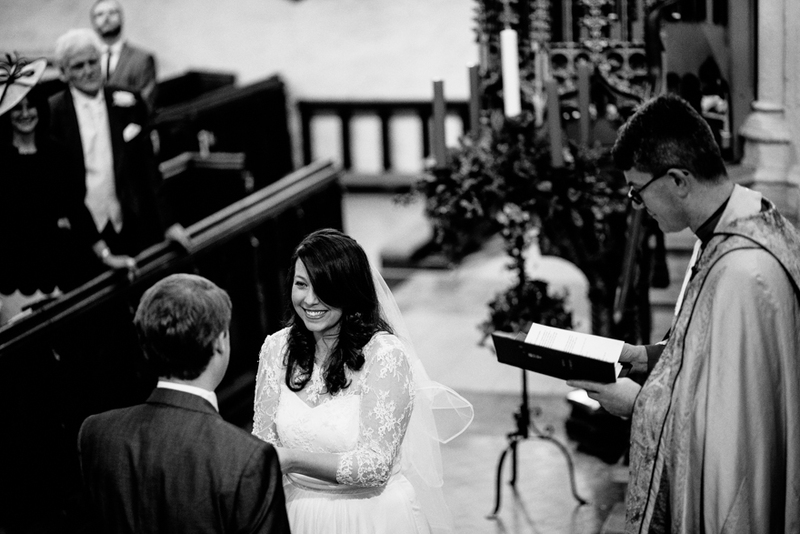 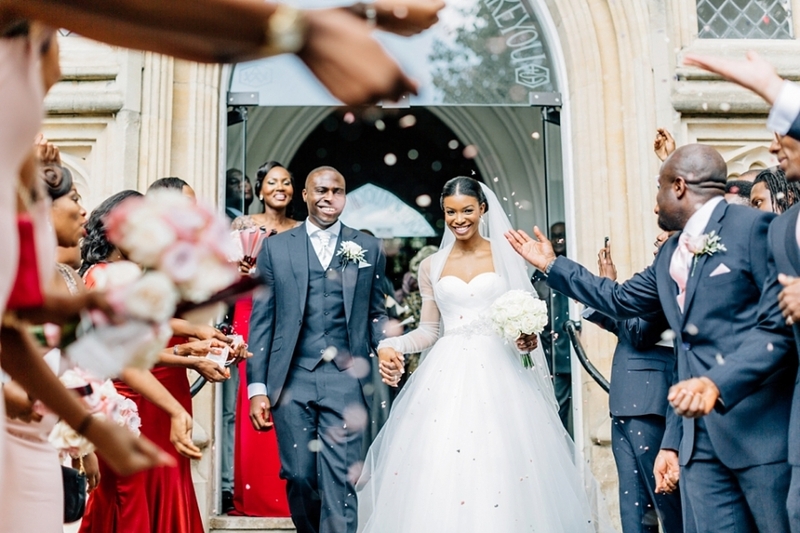 The celebration of this couple didn’t start at the Dorchester – it began in a small church nearby, a humble location that echoed the class of the bride and groom in every detail, from the pink and white hues of the floral arrangements to the matching pink traditional dress of their female guests – all set against a beautiful backdrop of stained glass windows. 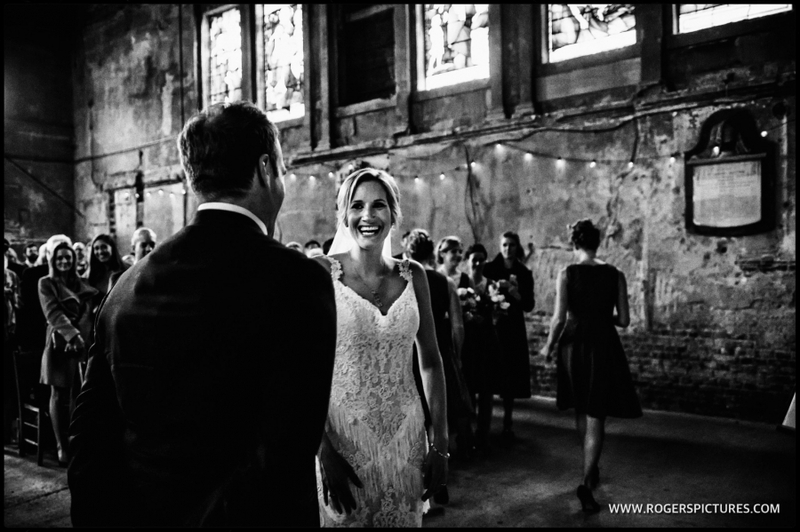 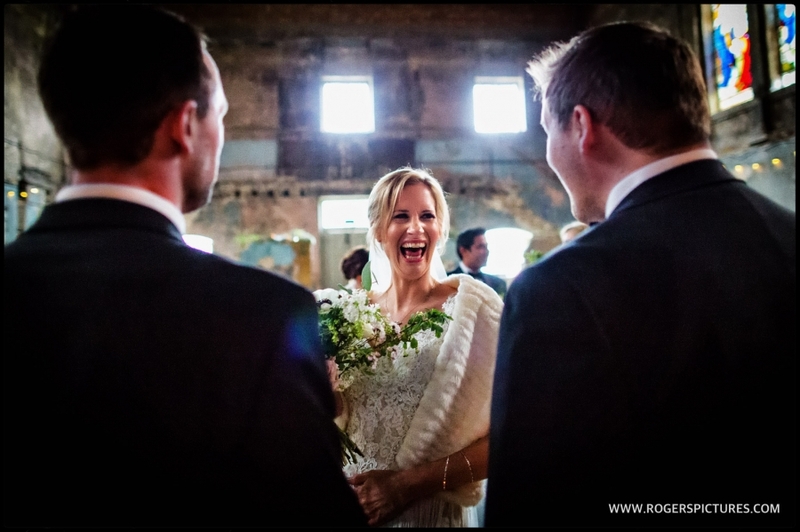 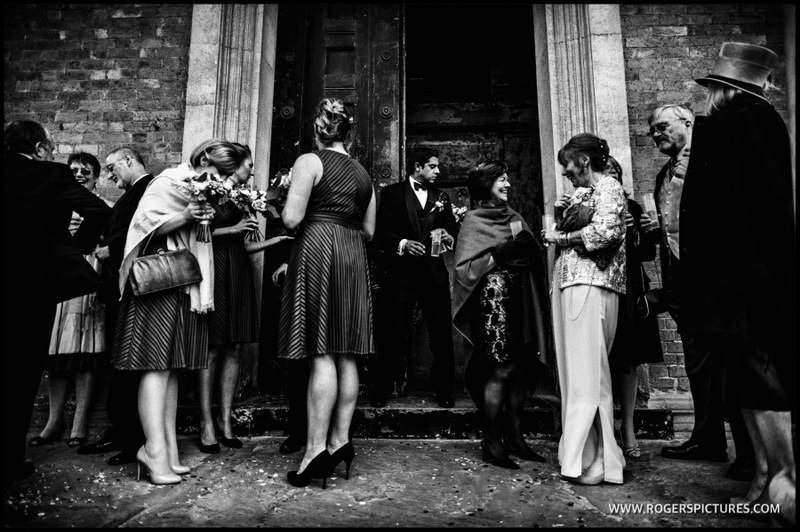 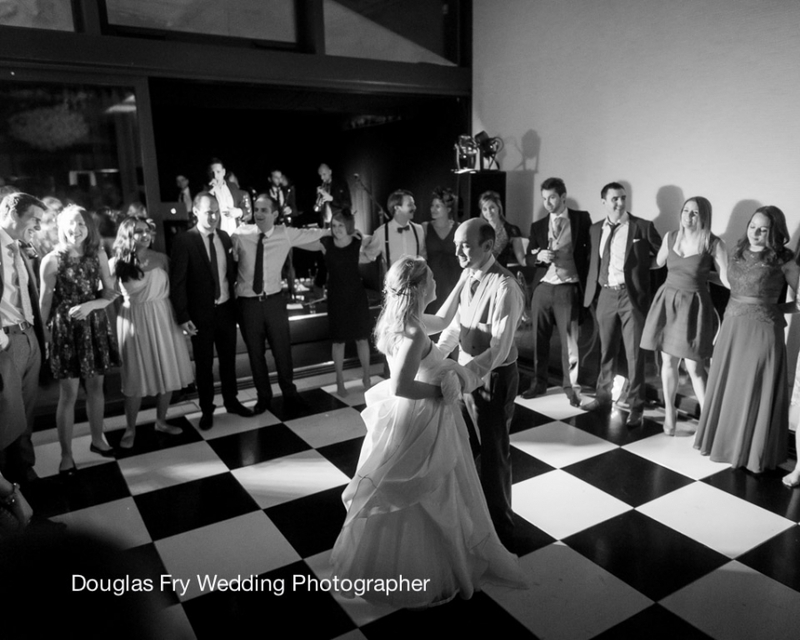 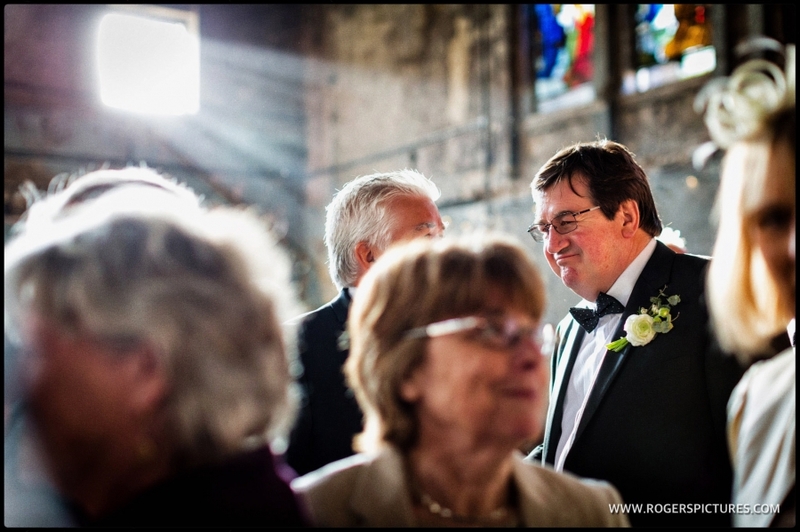 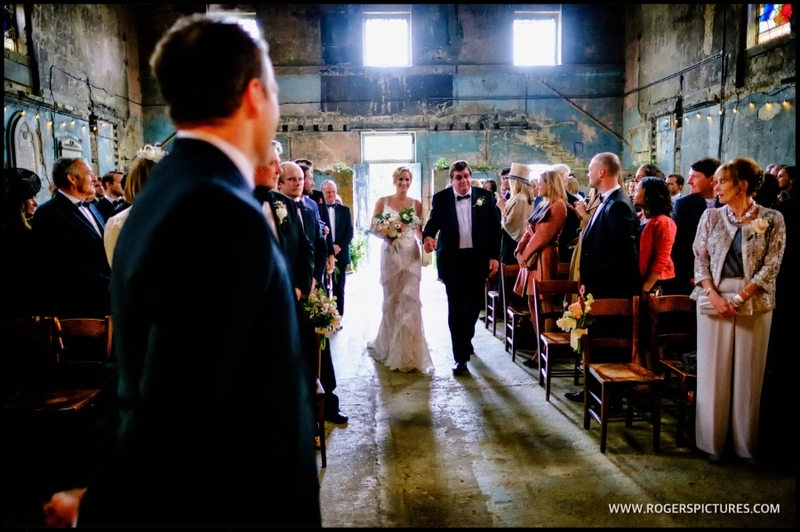 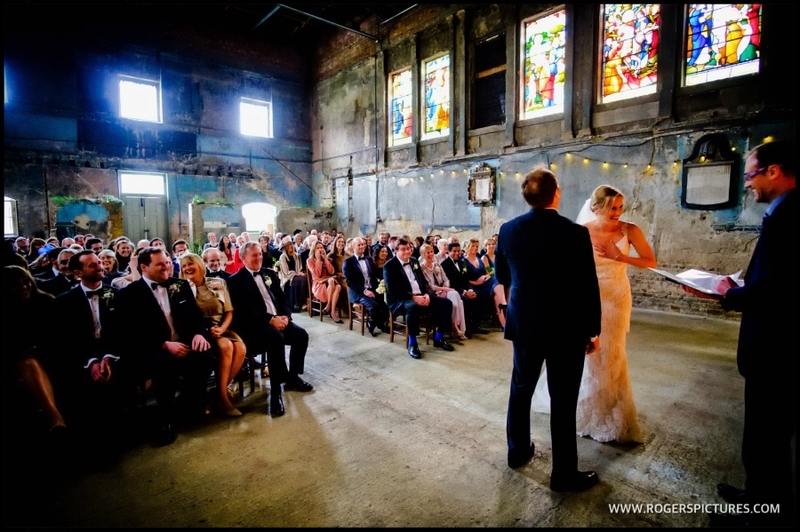 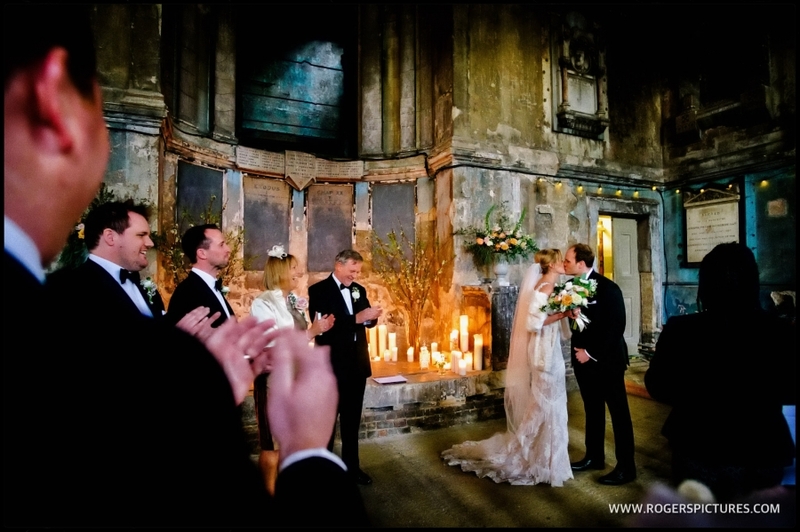 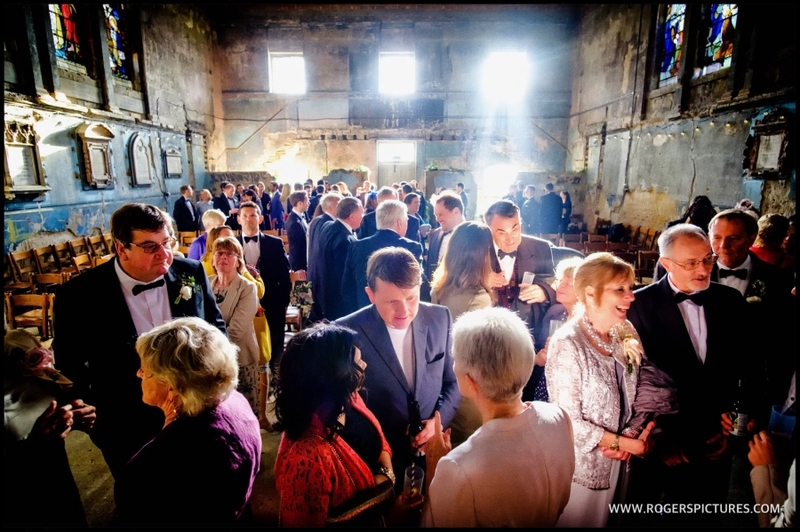 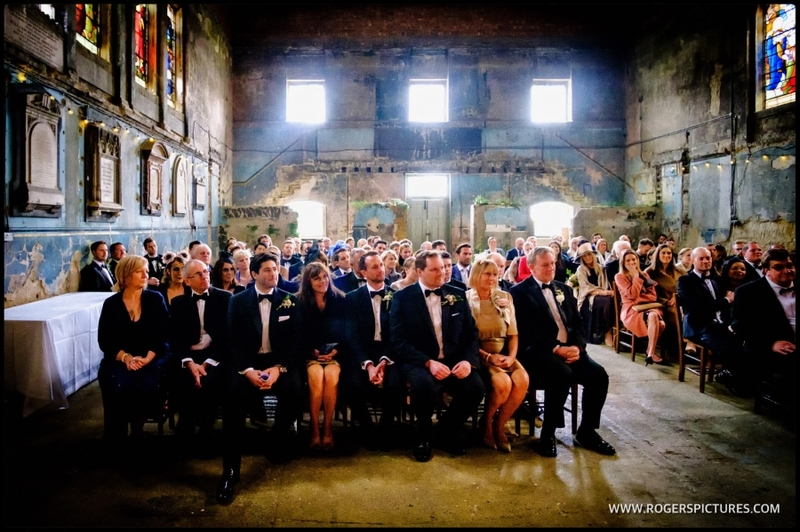 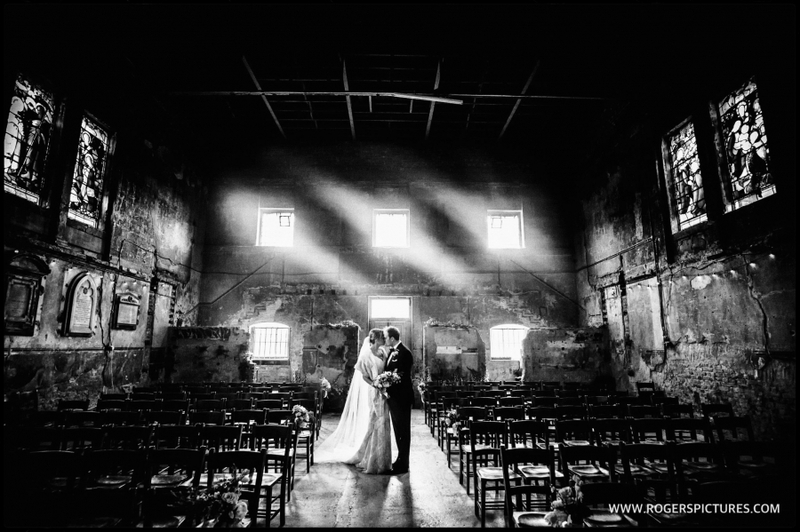 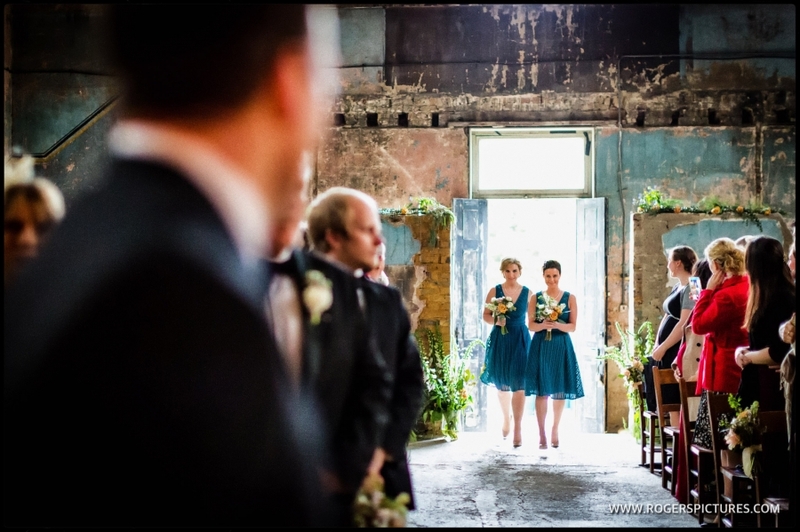 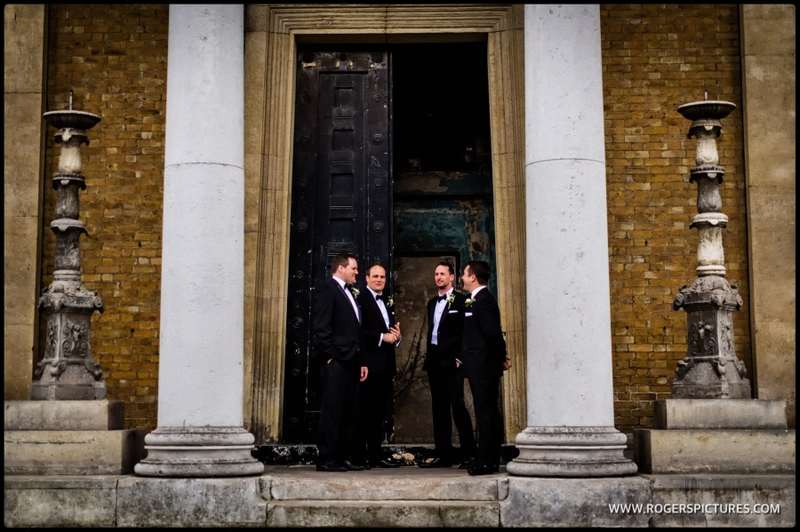 The delicate simplicity of the building was a pleasure to photograph, as were the wedding party, with a beaming smile in every capture. 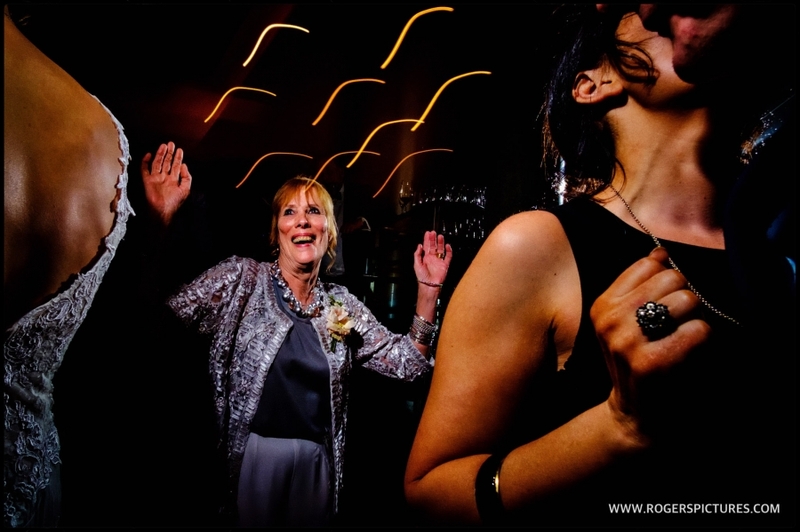 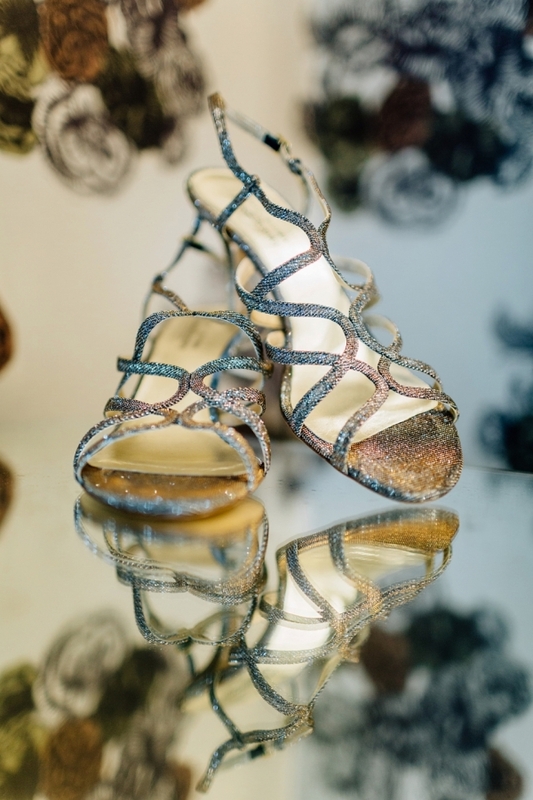 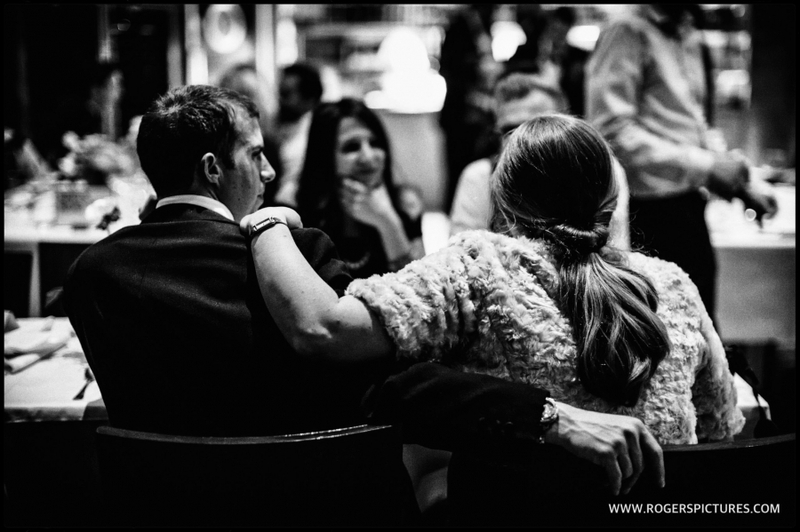 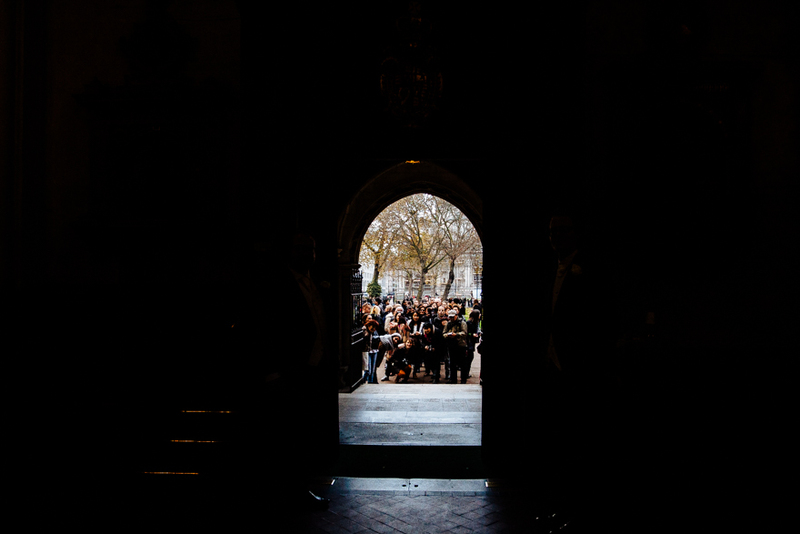 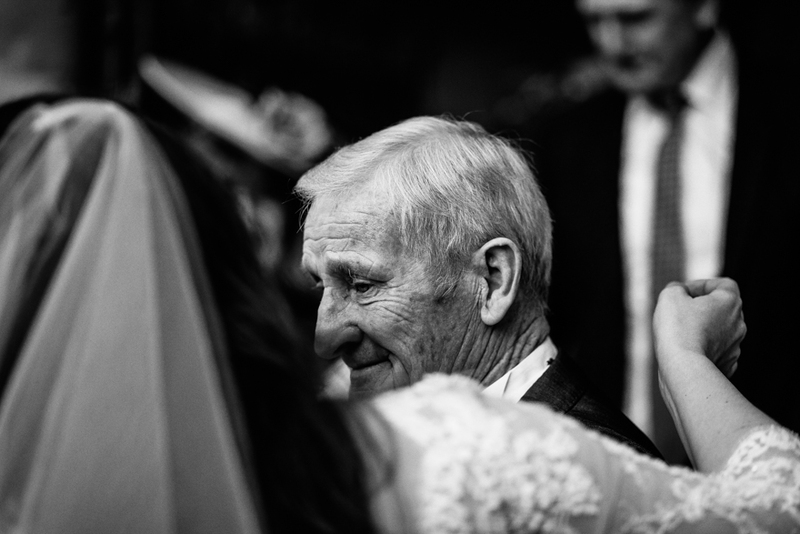 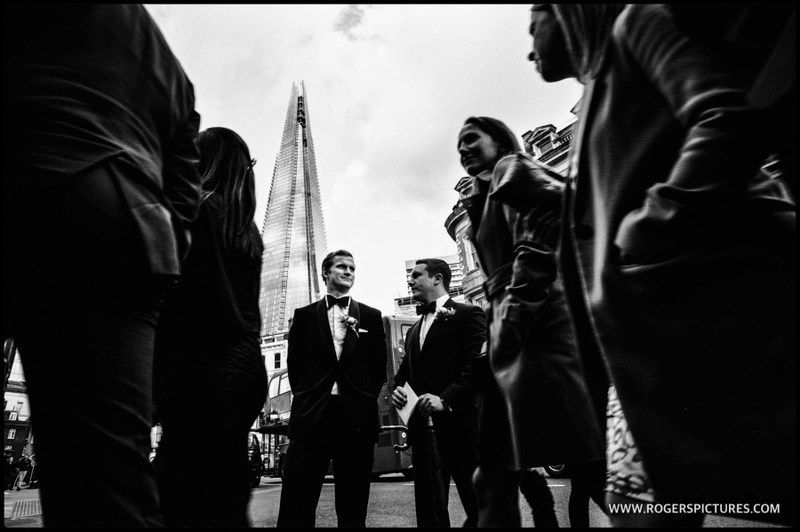 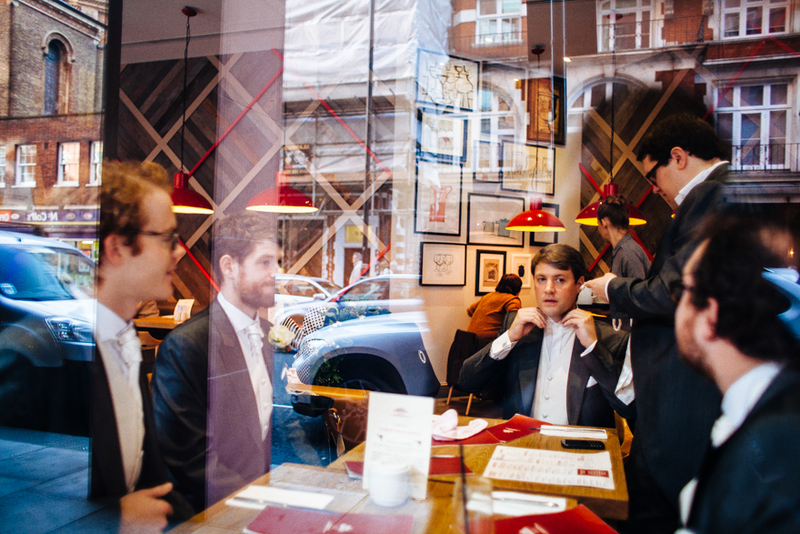 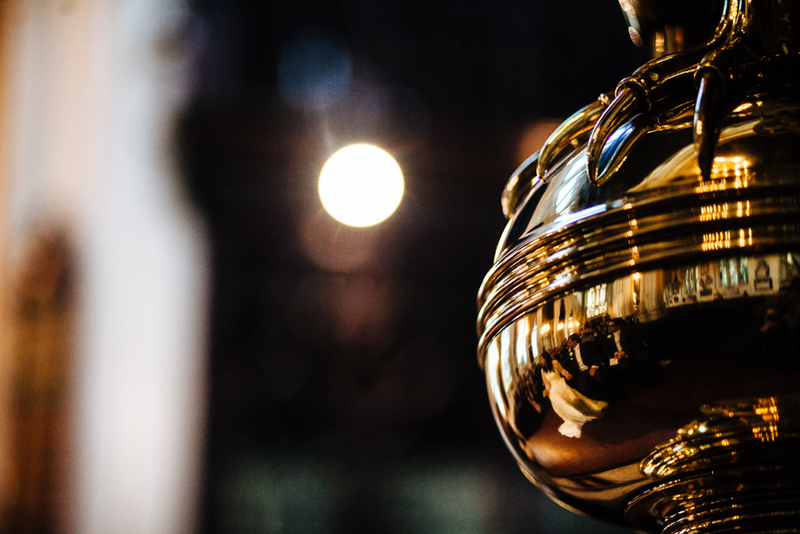 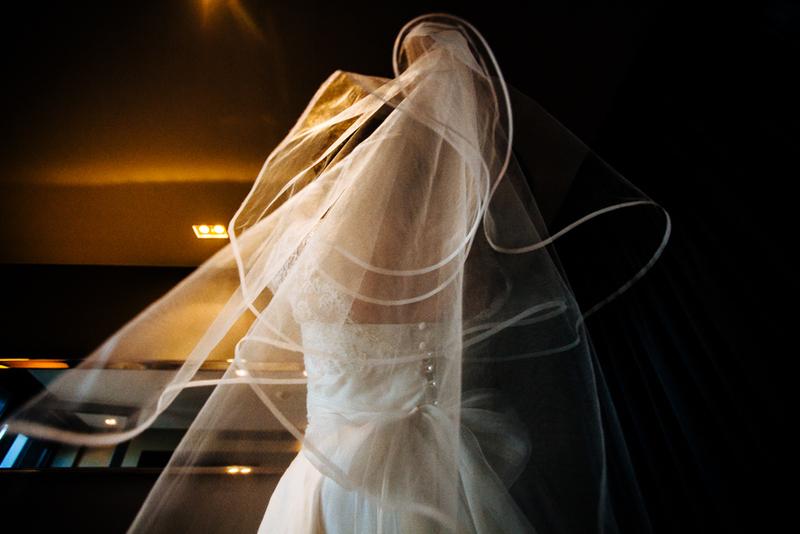 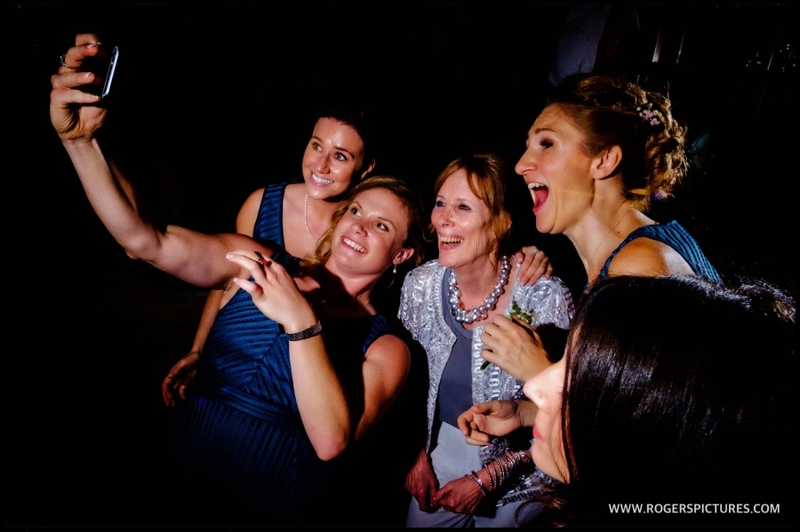 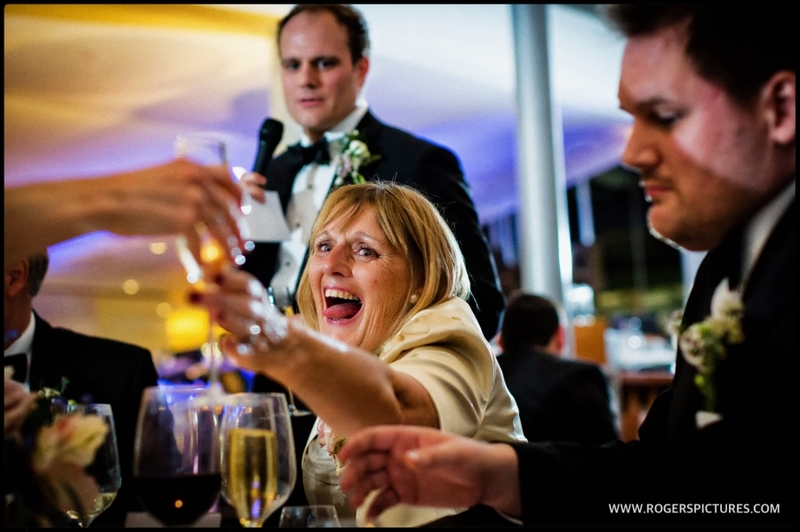 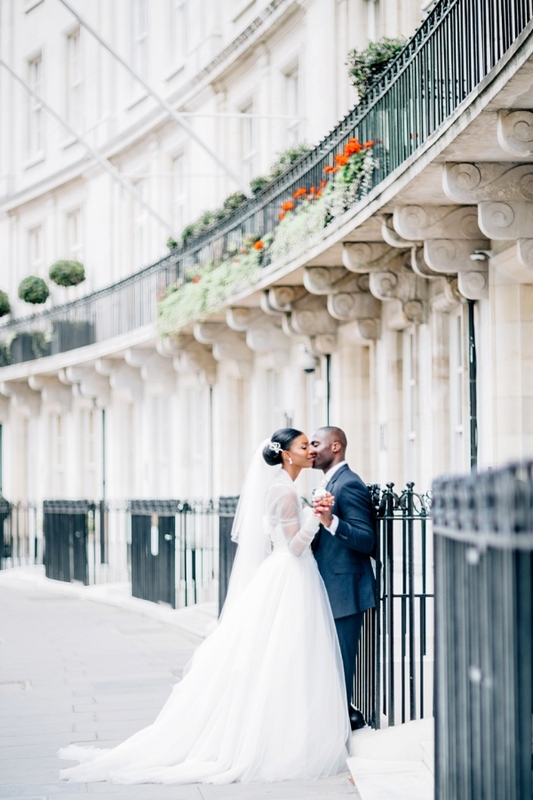 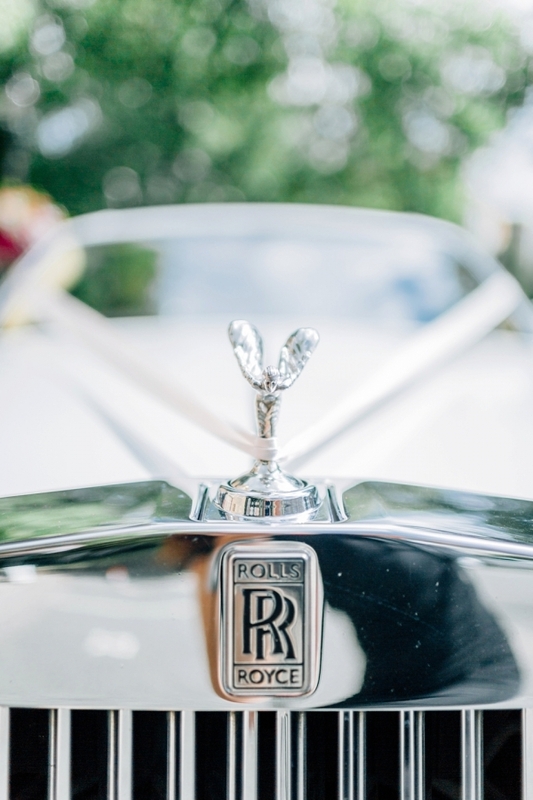 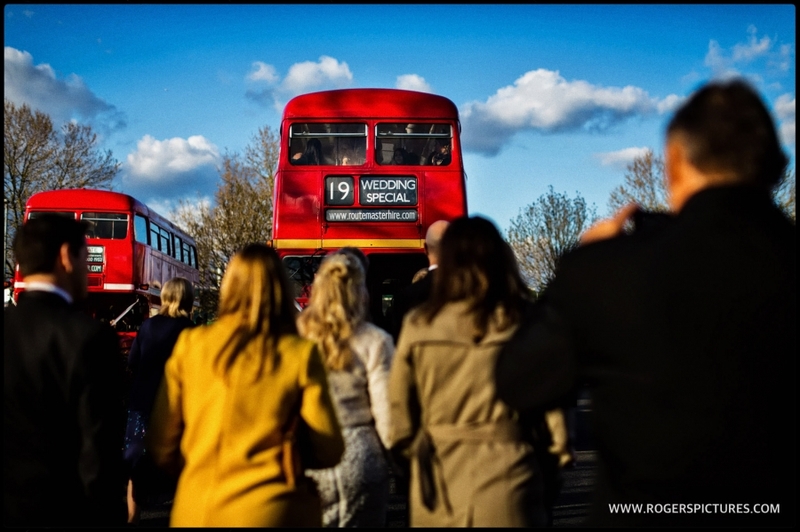 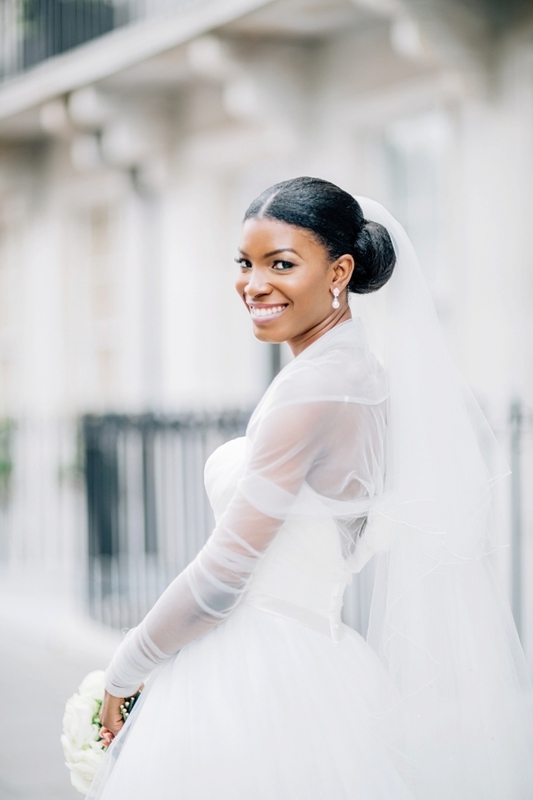 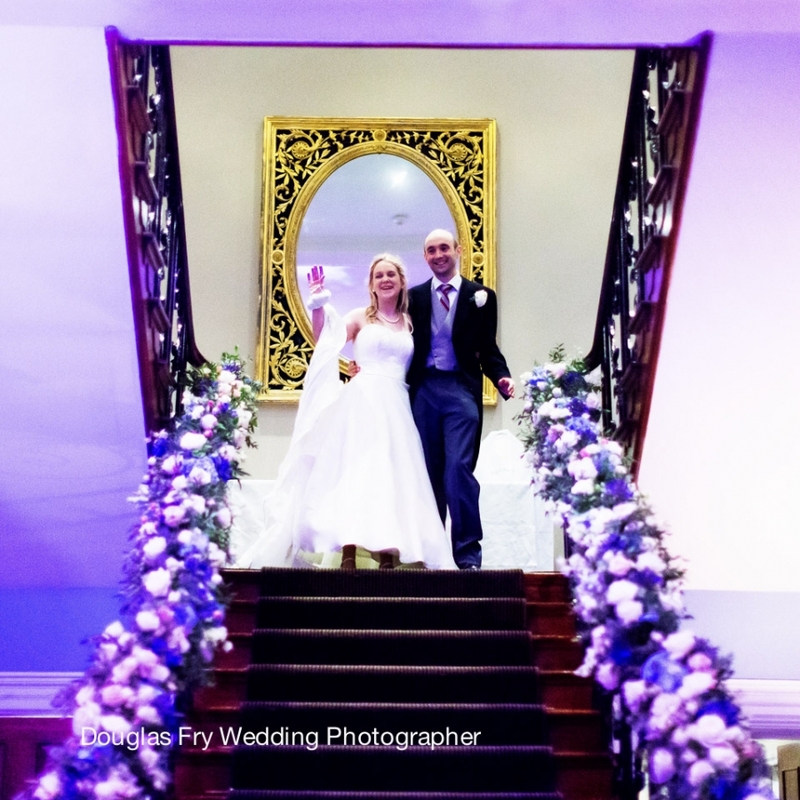 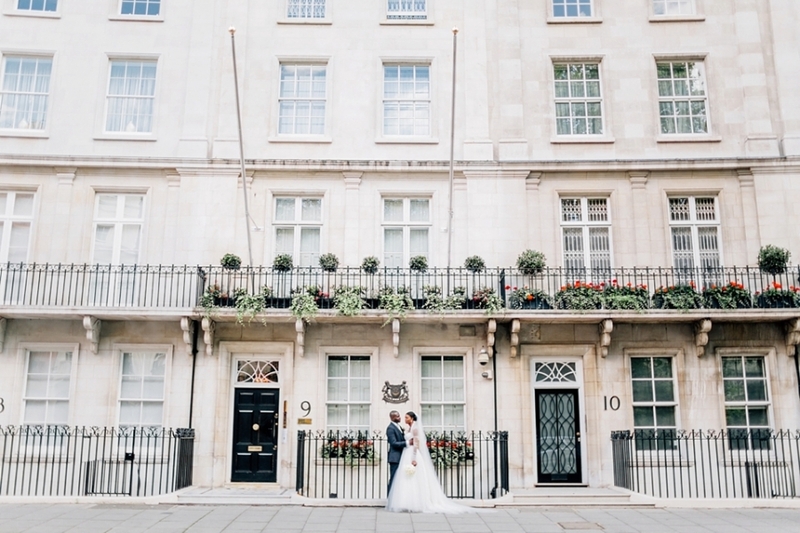 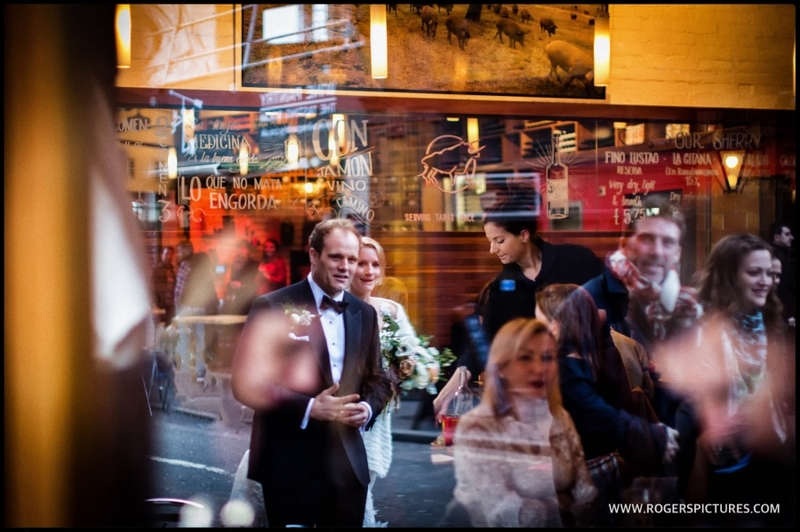 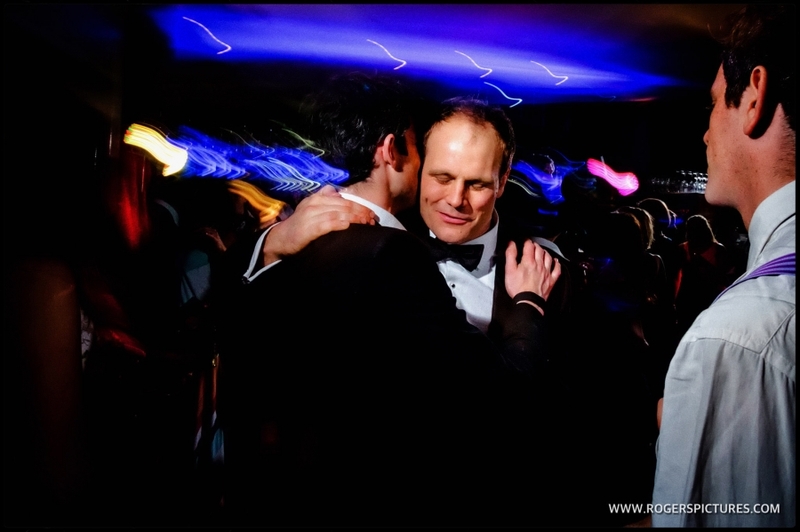 After much singing and celebration, whilst the rest of the party waited at the Dorchester for their Bride and Groom, we took the opportunity to whisk them away to Knightsbridge for more photographs. 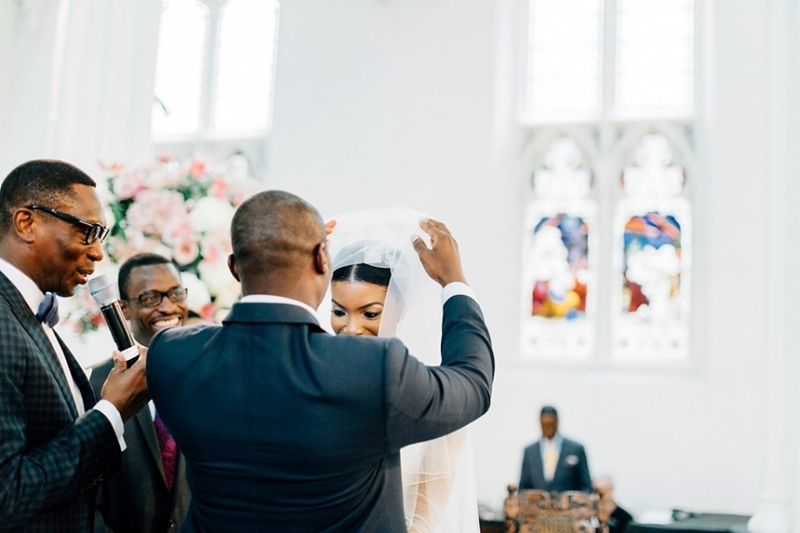 Ijay and Tolu were so natural in their photographs, at first we were convinced they were professional models, but quickly realised we were watching the love do the talking, so evident, they needed no posing. 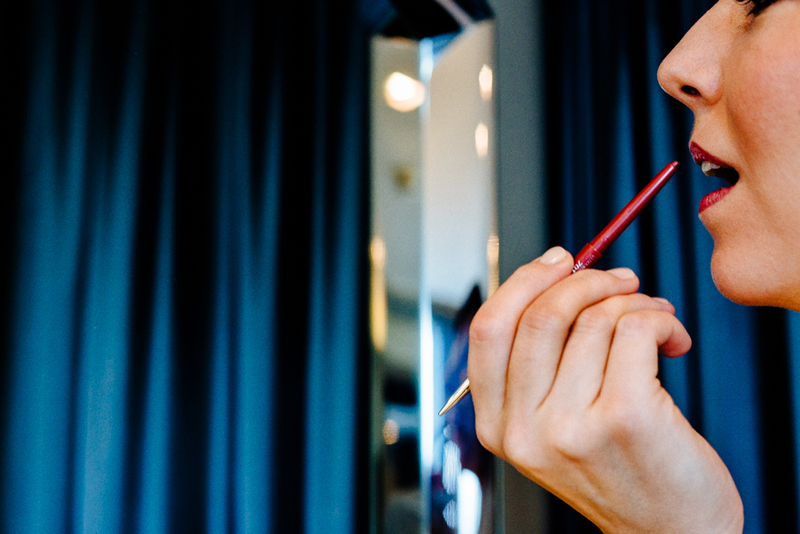 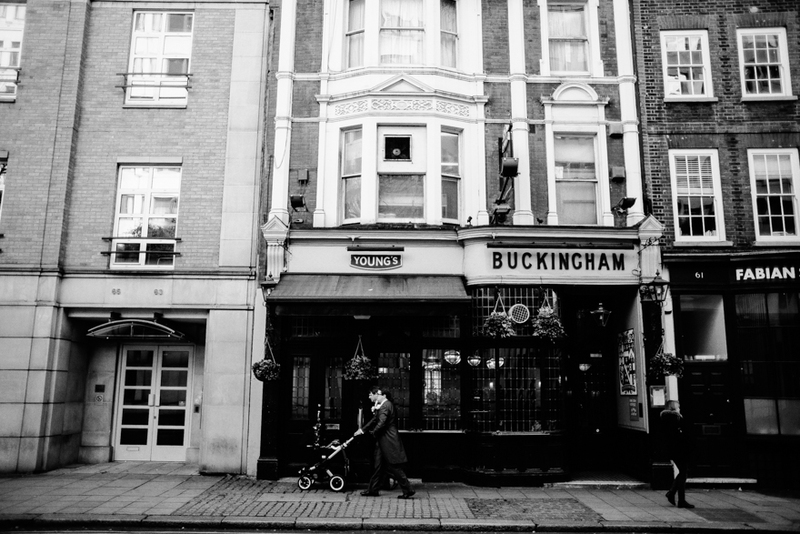 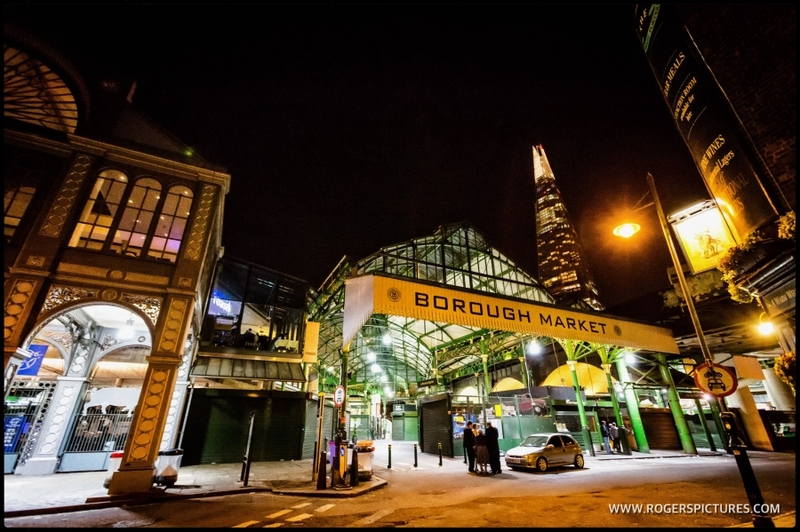 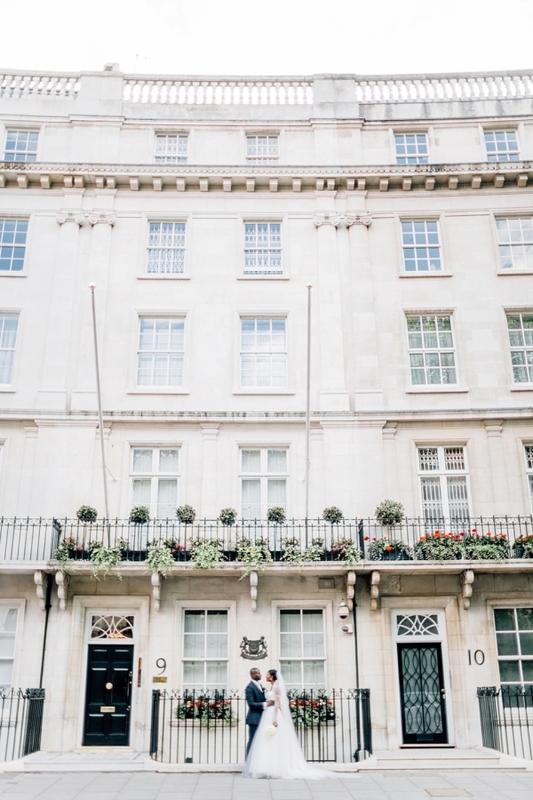 Stepping off of the streets of London and into the hotel’s 1930s ballroom as we caught up with the rest of the party was like taking a quick step back in time. 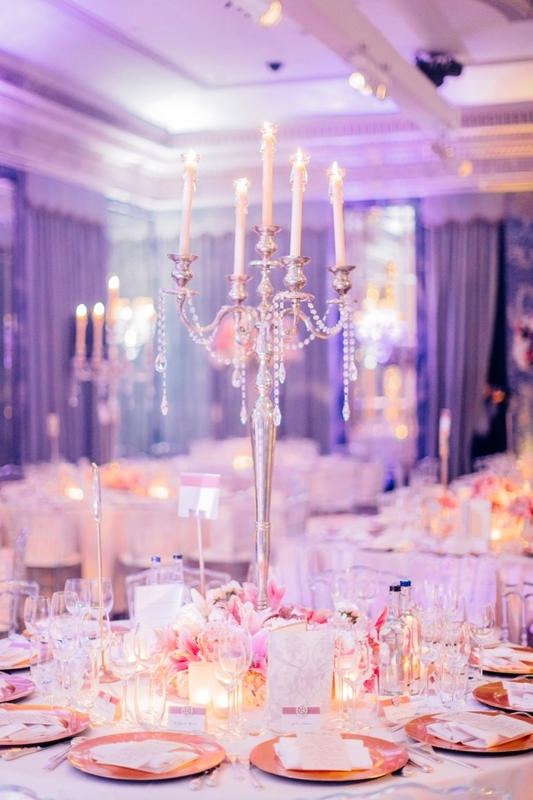 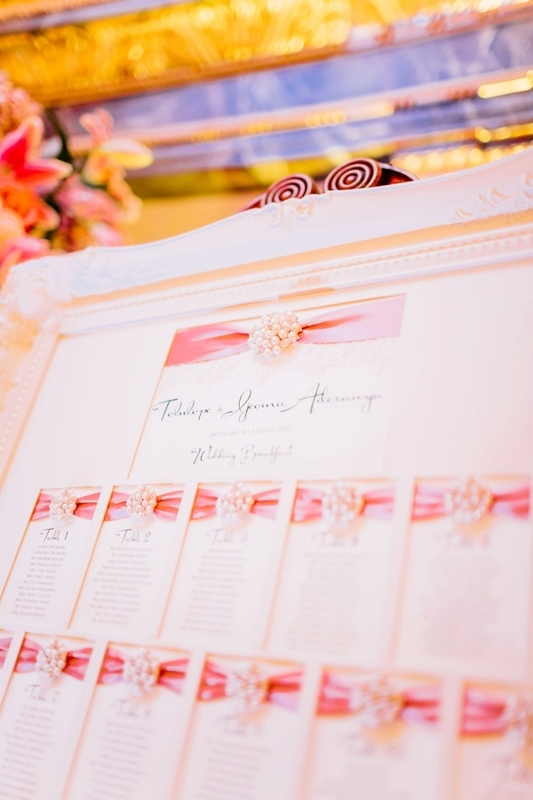 Tall draping curtains, tables adorned with candles, a mix of roses, lillies and hydrangeas arranged in their centrepieces by NBFlowers, and a table full of pink candy put together by Gill from Sweet Hollywood, the creator of all the event’s sweet treats. 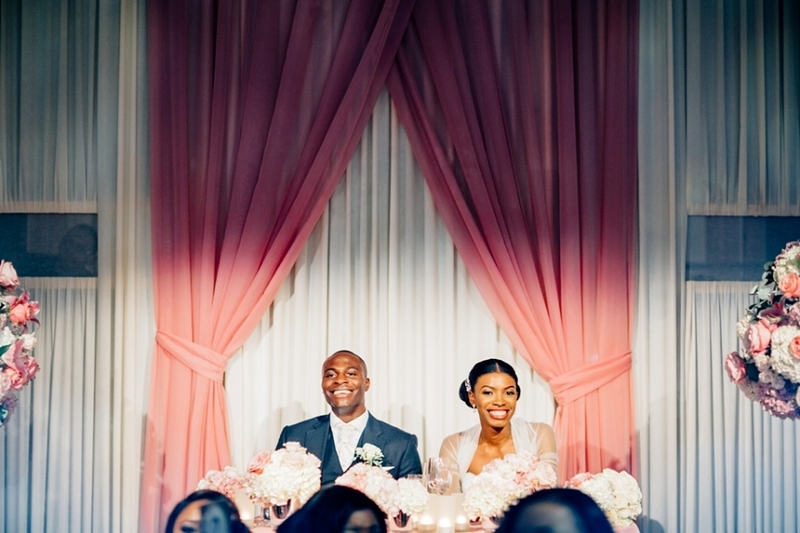 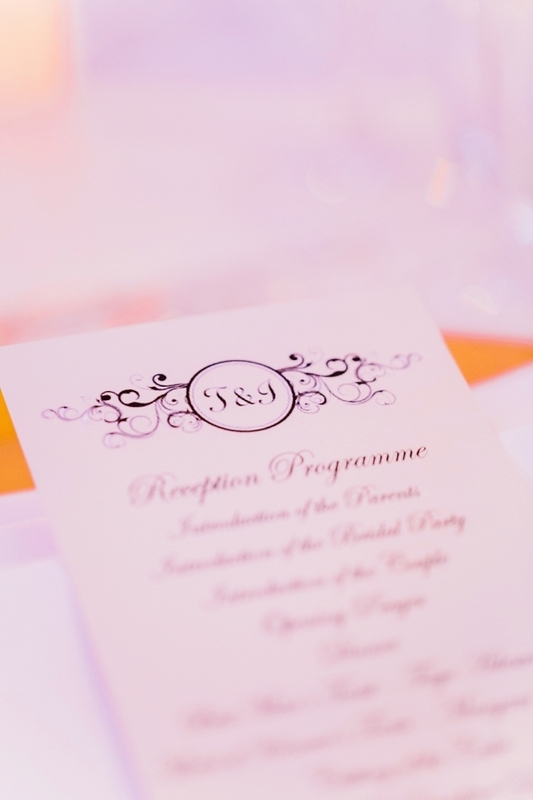 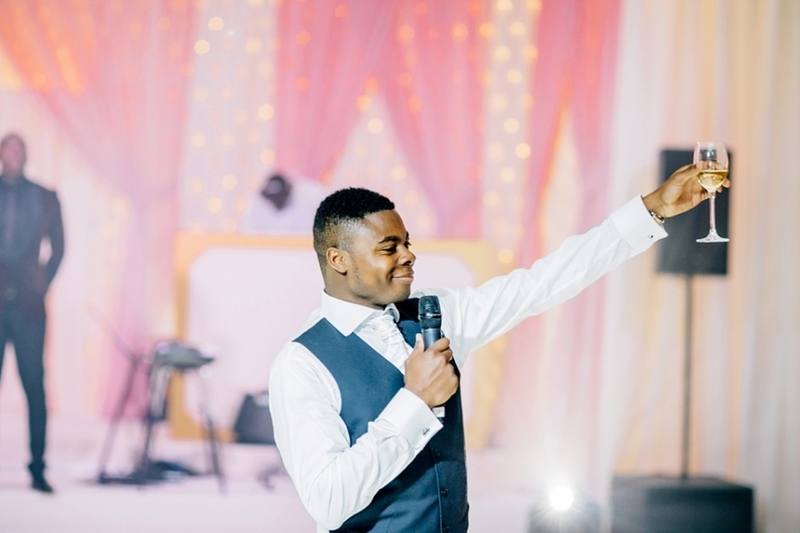 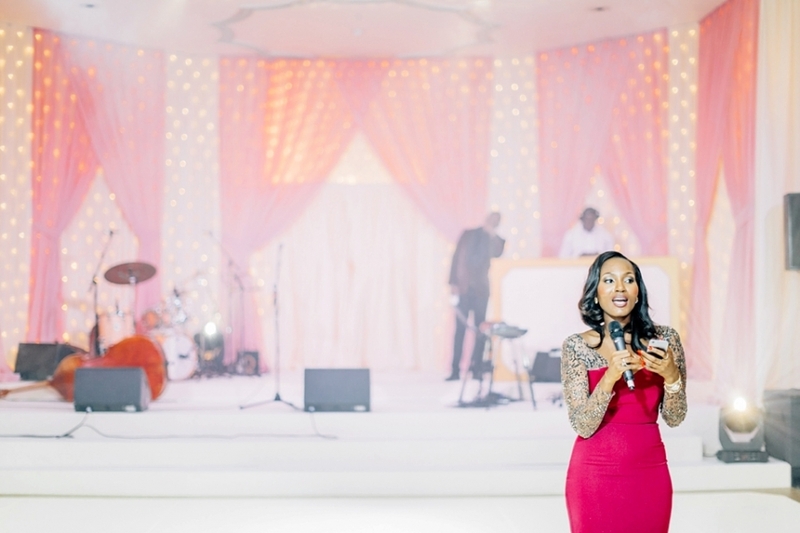 Jennifer from Planned2Perfection had designed the room perfectly to suit Ijay and Tolu, and the low pink of the lights was the tipping of the hat to their theme. 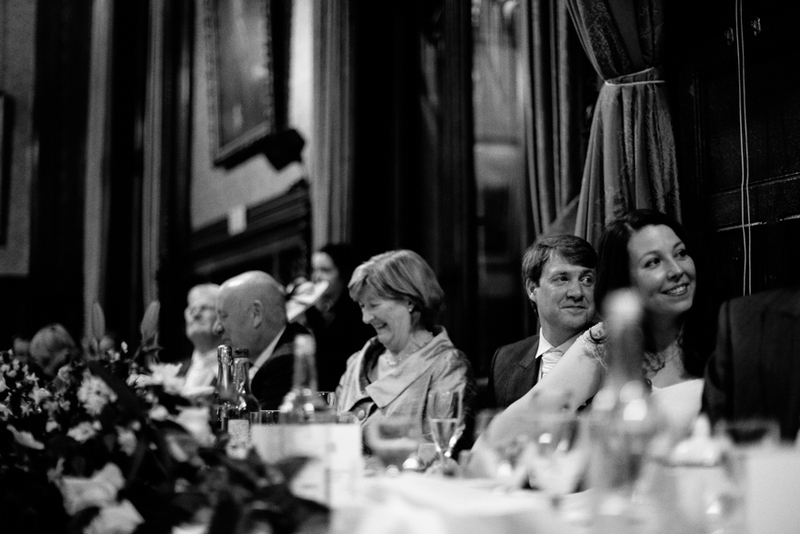 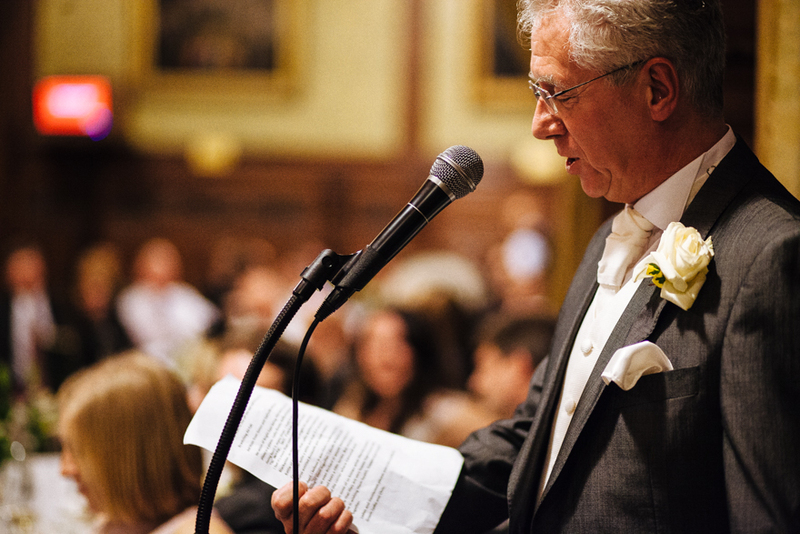 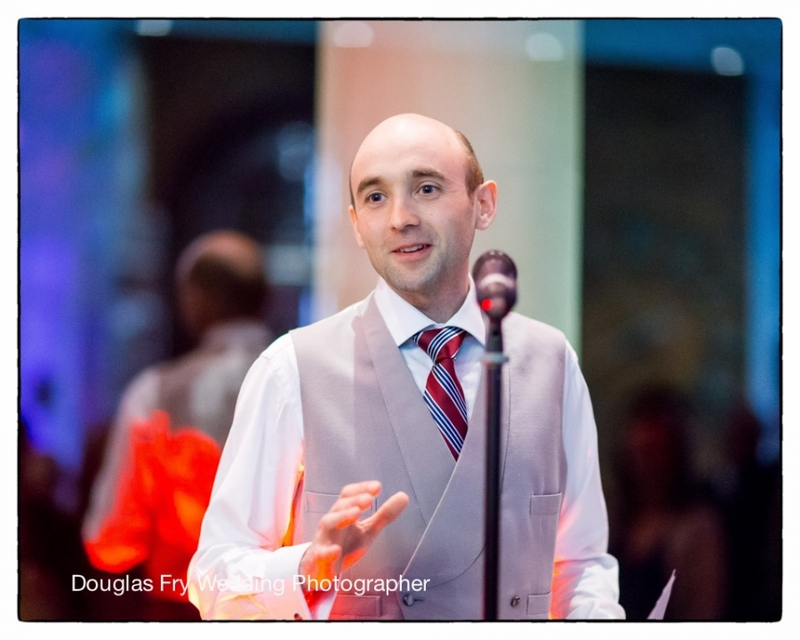 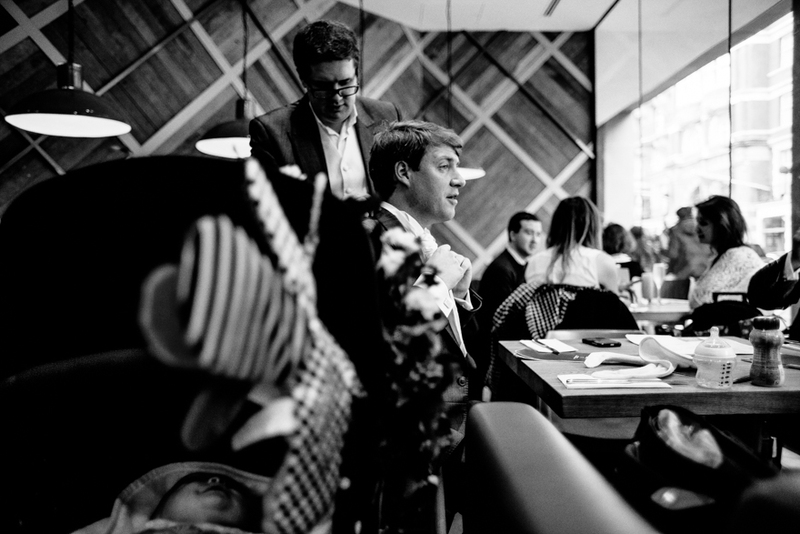 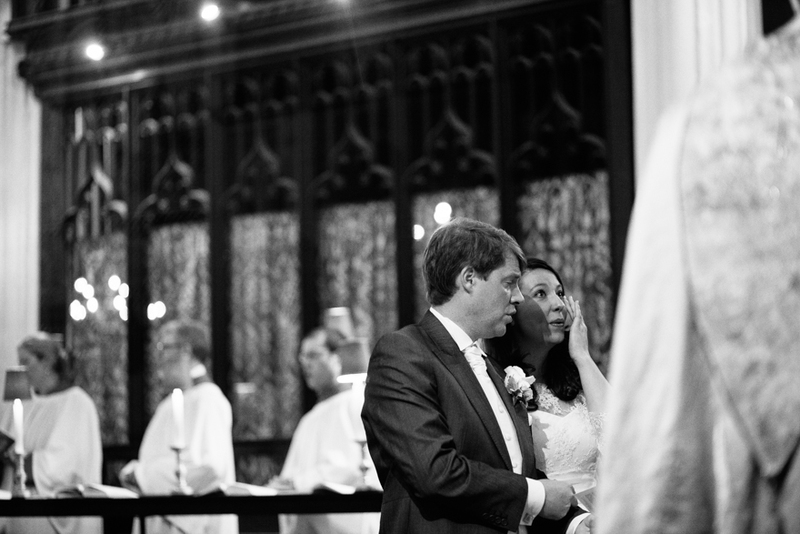 Traditionally after the meal came the speeches, so personal and heartfelt it was enough to make anyone emotional. 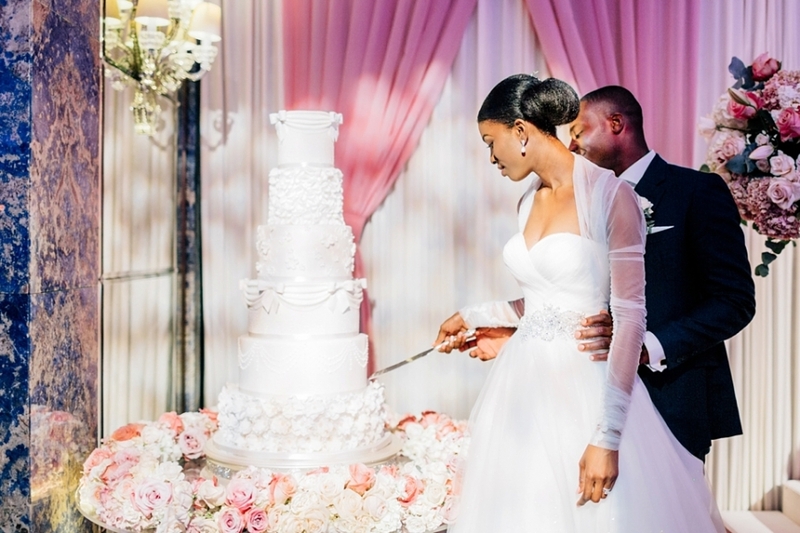 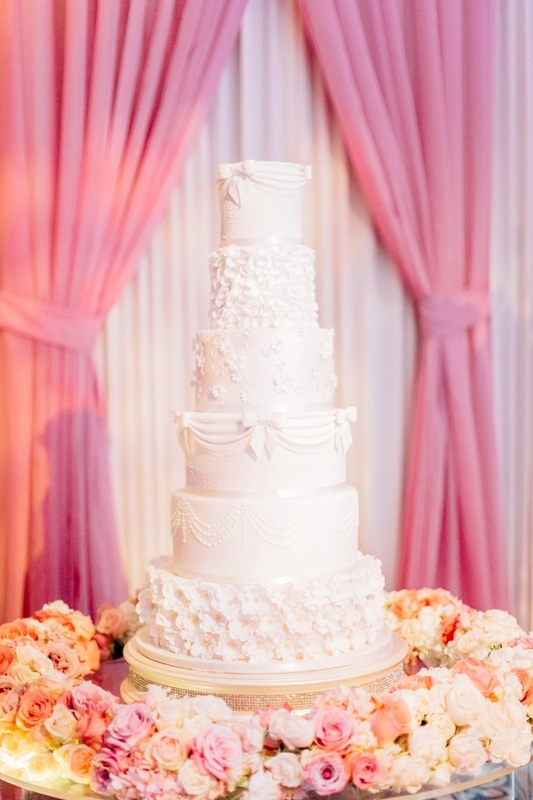 We watched as they cut their classic six-tiered white cake, the groom’s arms lovingly around his bride. 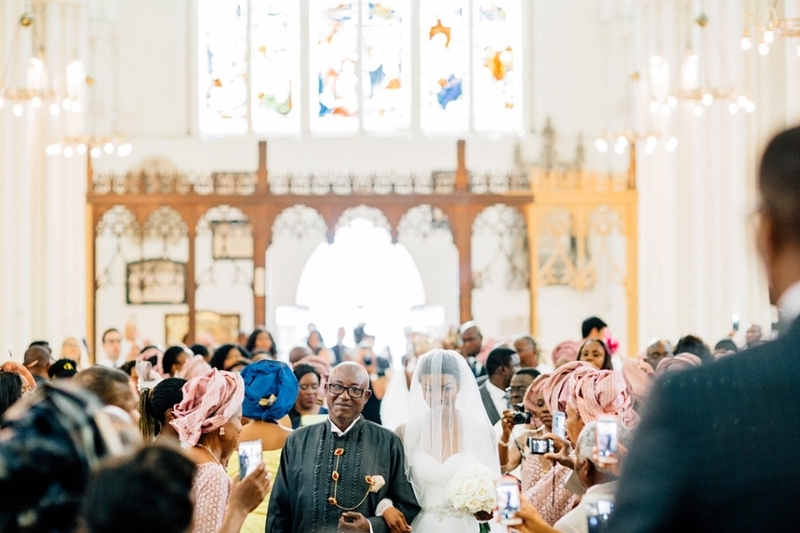 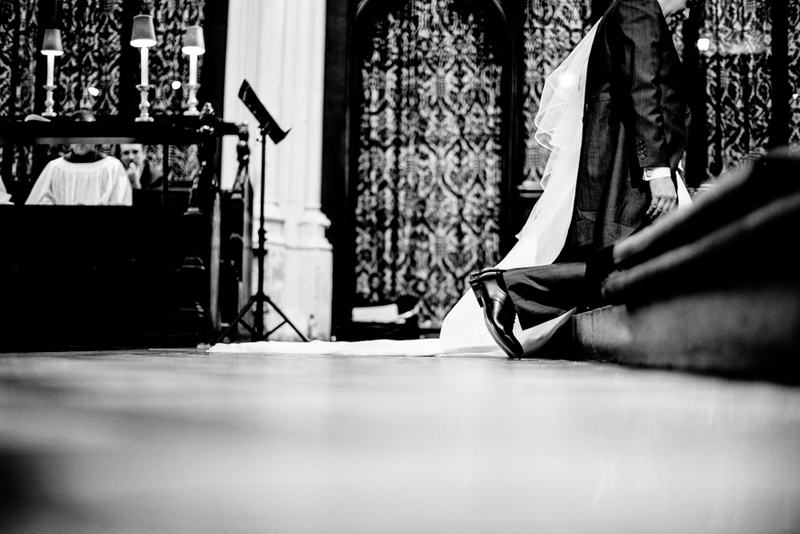 Often forgotten about these days at weddings is the father/daughter dance, and we were lucky enough at Ijay and Tolu’s wedding to see such a lovely tradition, before the newlyweds took to the floor. 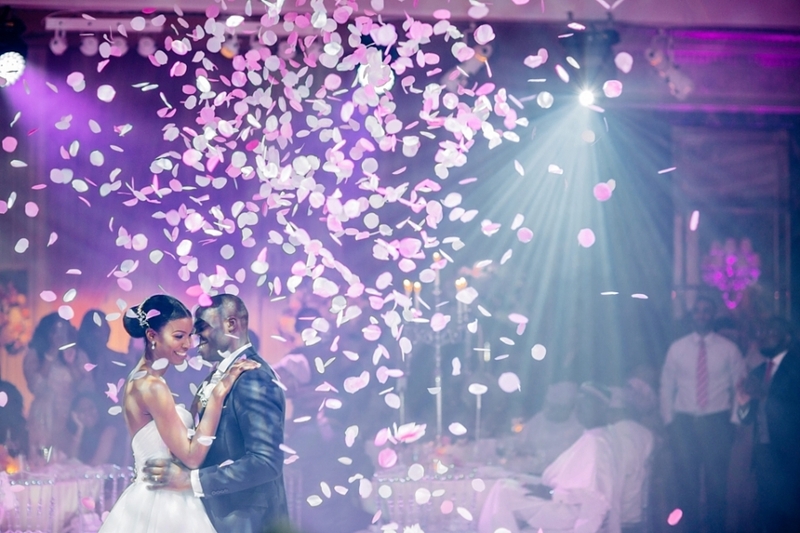 As they began their first dance as husband and wife, beautiful petal confetti rained down on them, and it fell throughout the whole song. 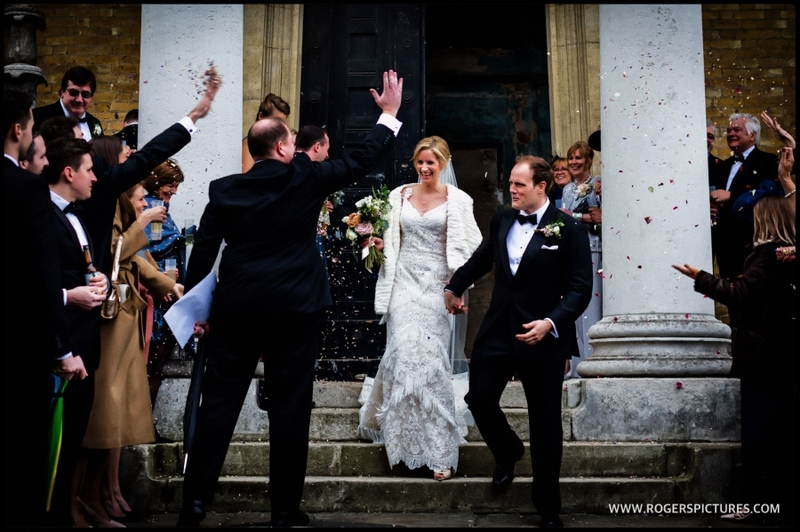 Capturing their happiness through the petals might just have been our favourite moment of the day, and no doubt one of theirs. 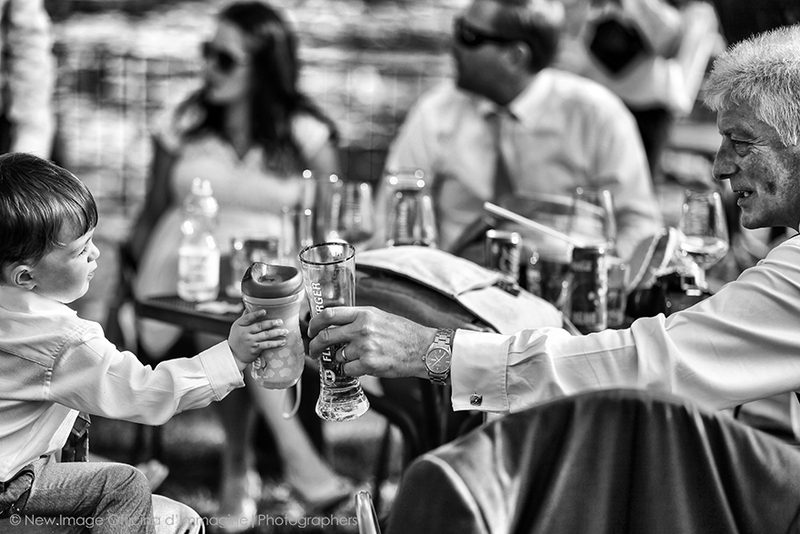 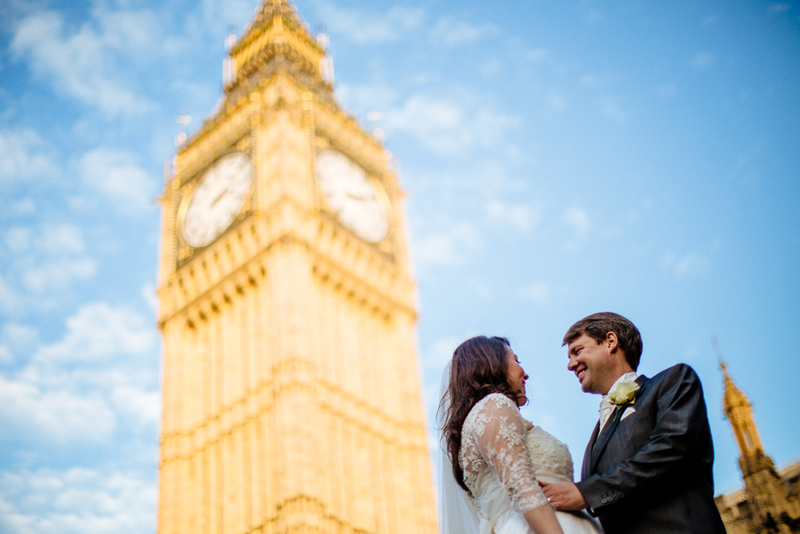 The couple’s portrait session later in the day went just as smoothly as the afternoons. 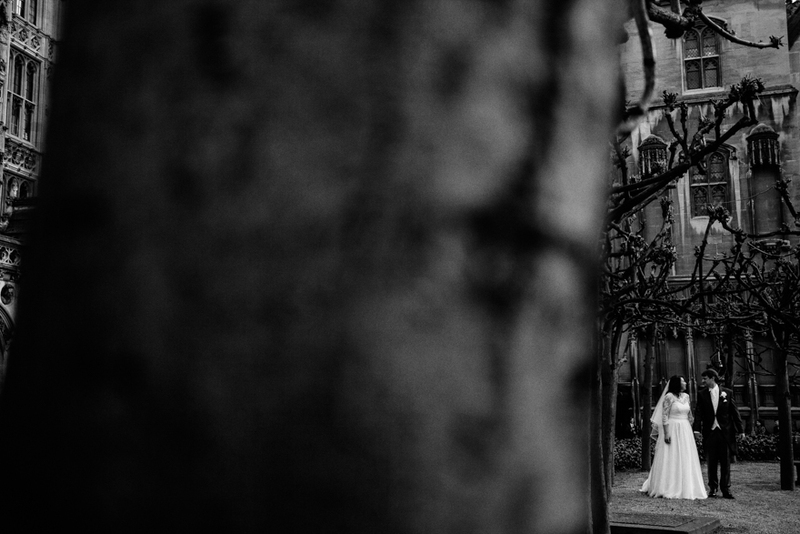 We were wowed all over again by the nature of this couple, so lovingly photogenic, and there was just so much to capture with these guys that we ended up spending 12 hours sharing in their happy day. 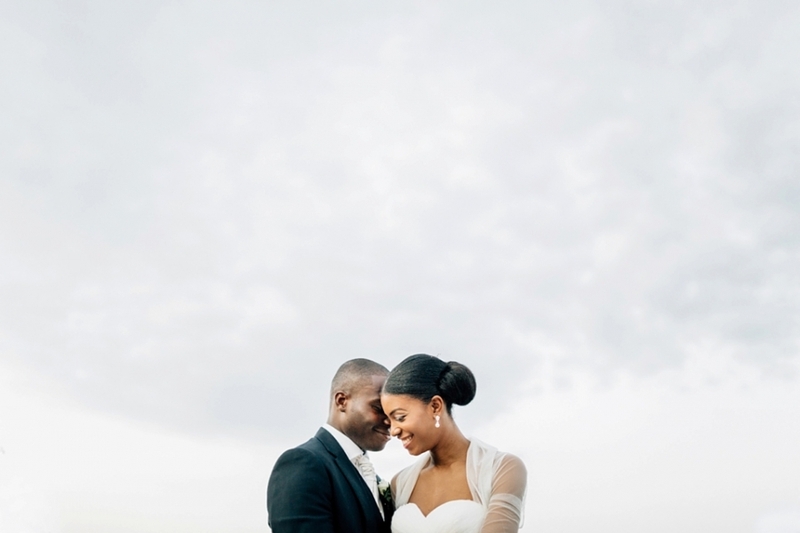 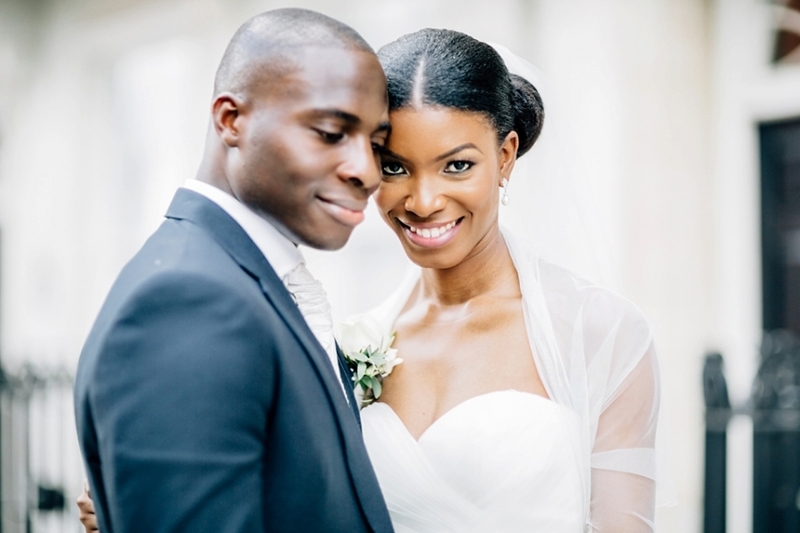 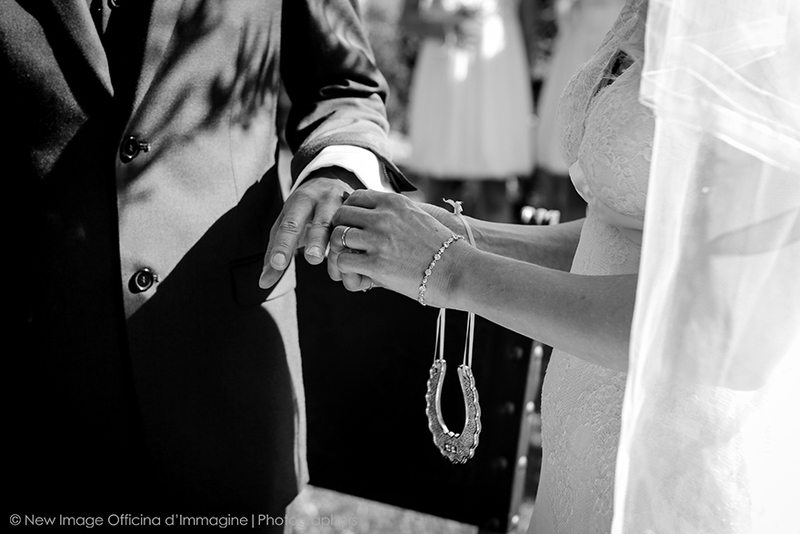 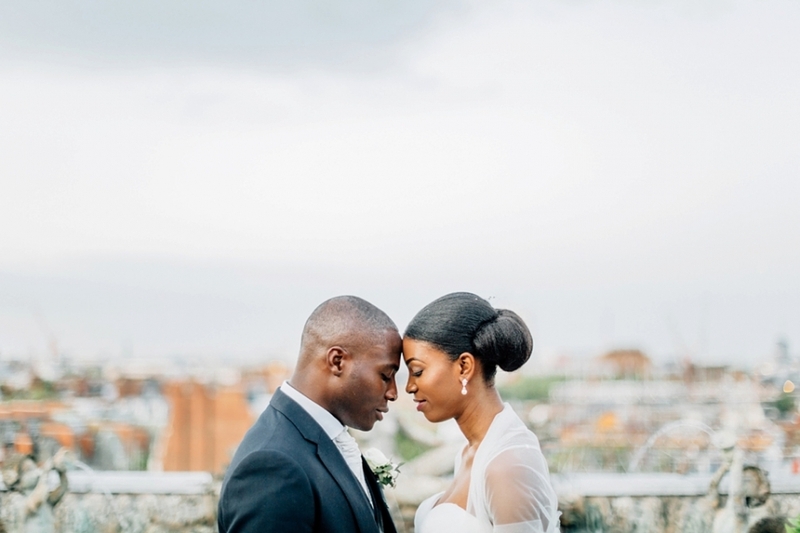 It was a pleasure to shoot for Ijay and Tolu, and we wish them all the best for their future. 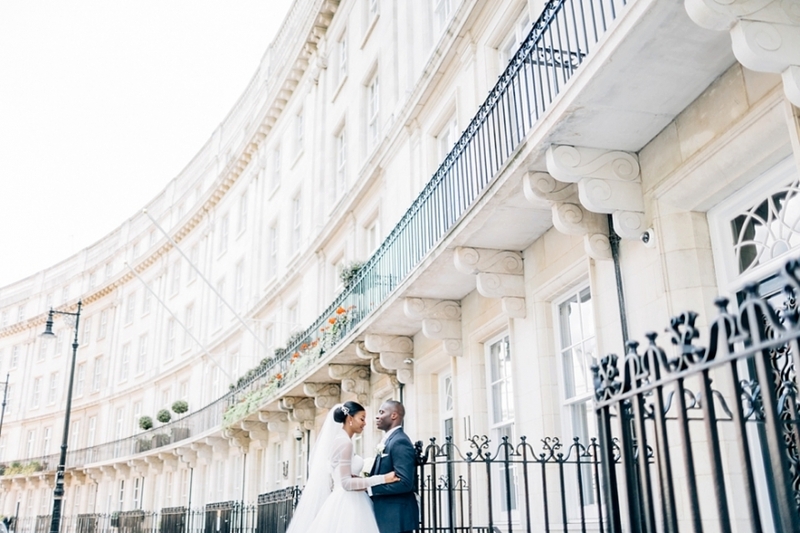 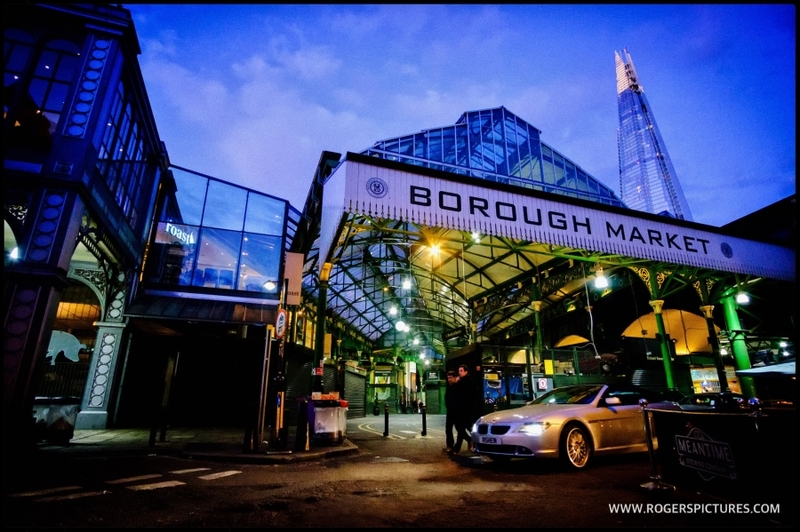 We love the opportunity to shoot in new locations and when we heard Lydia and Chris’s plans we were instantly very excited about their day! 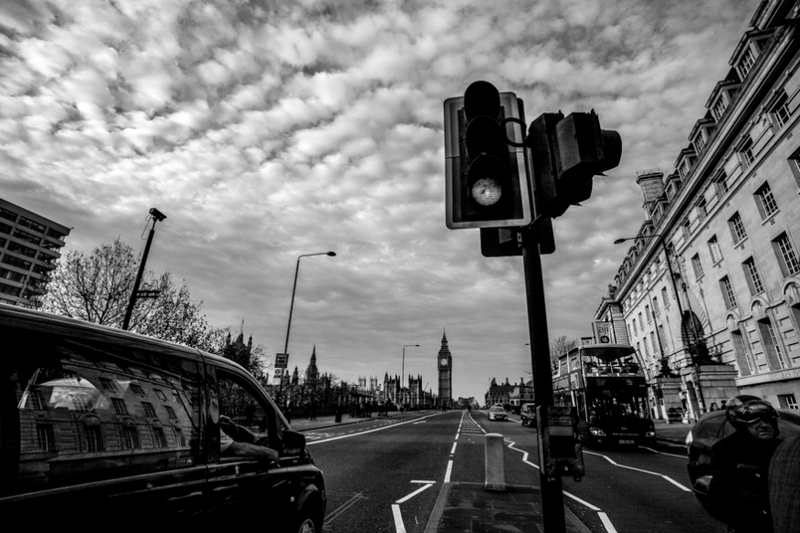 We’ve shot in London a few times now but the Houses of Parliament added a little extra pressure onto the never-ending traffic and people in the city! 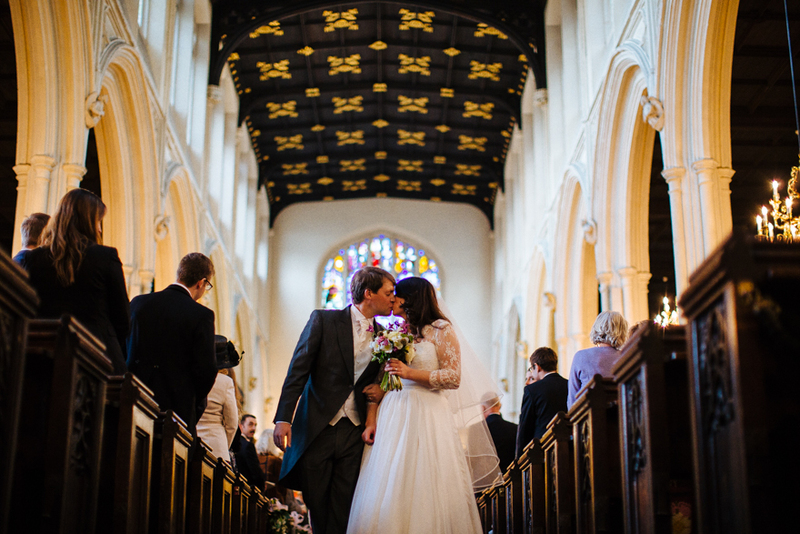 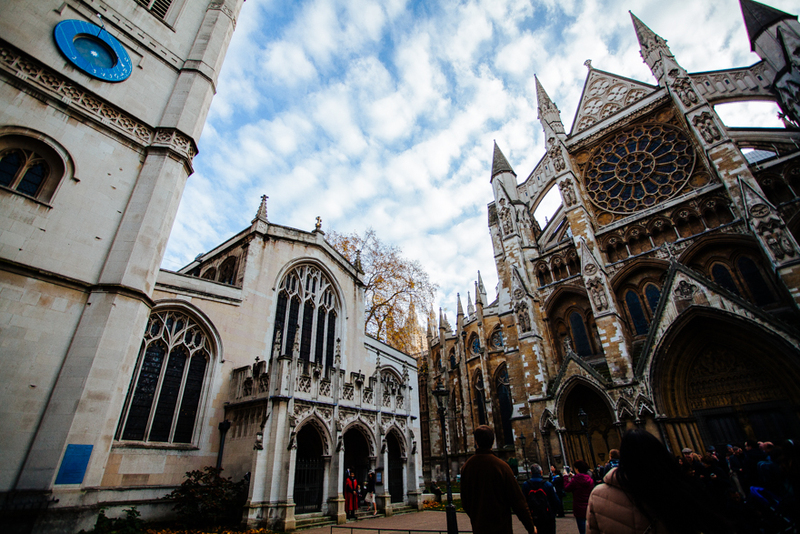 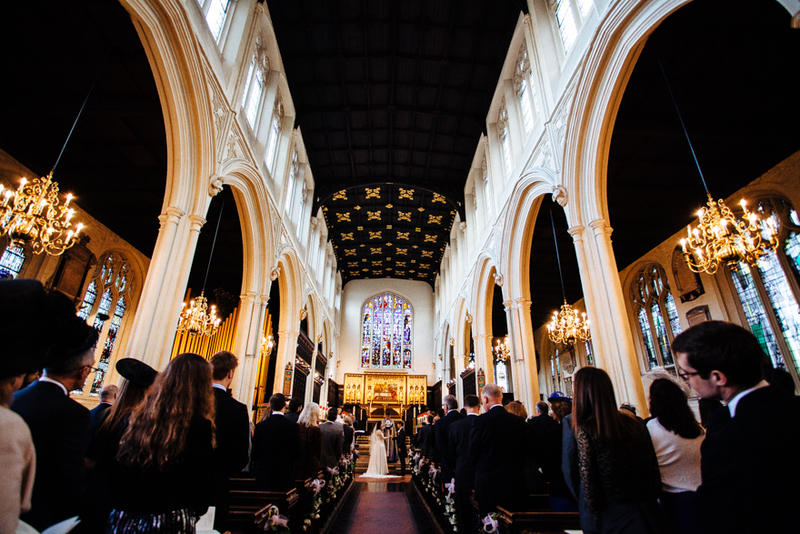 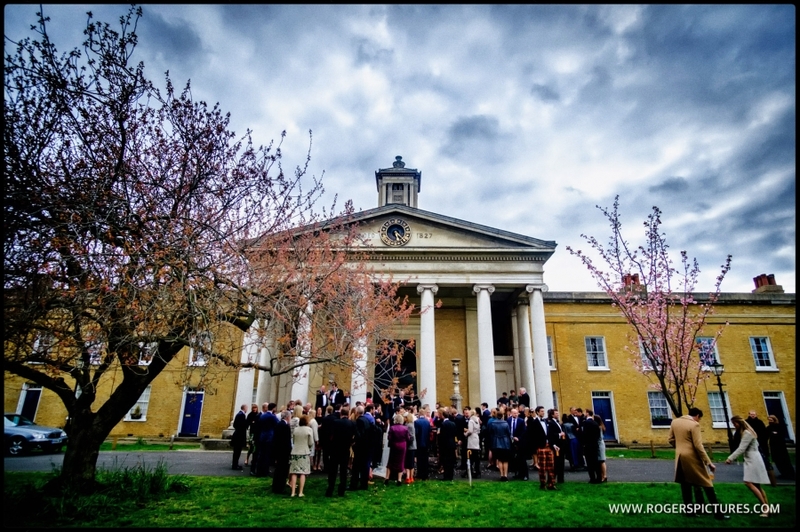 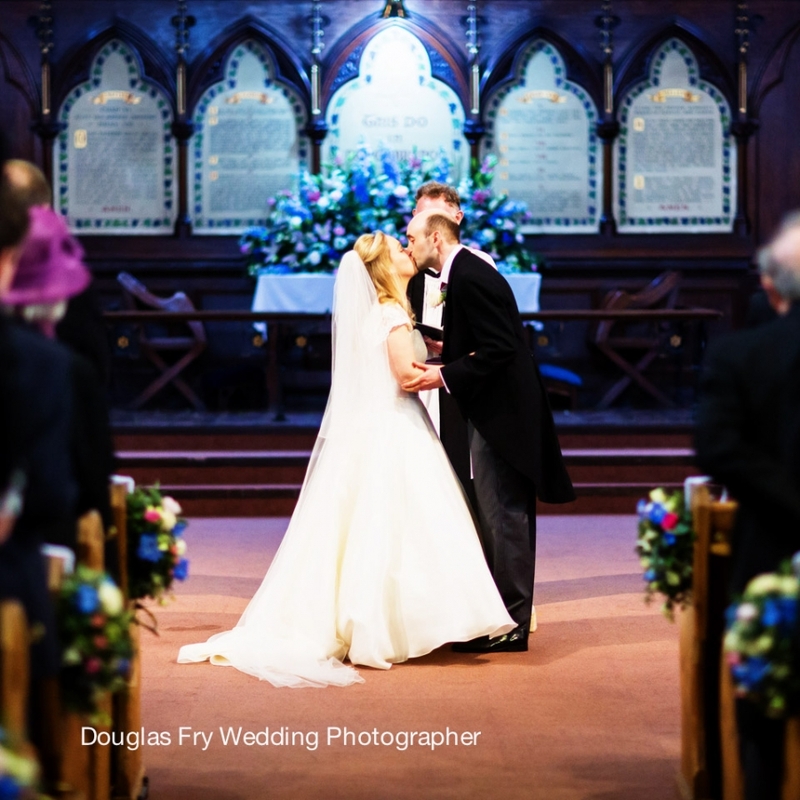 Their ceremony took place at the beautiful Westminster Church where, 106 years prior, Winston Churchill was married to Clementine Hozier. 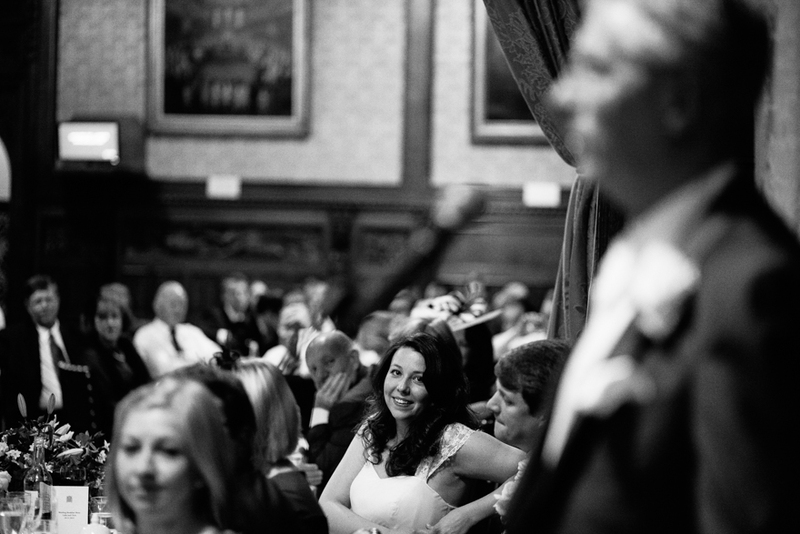 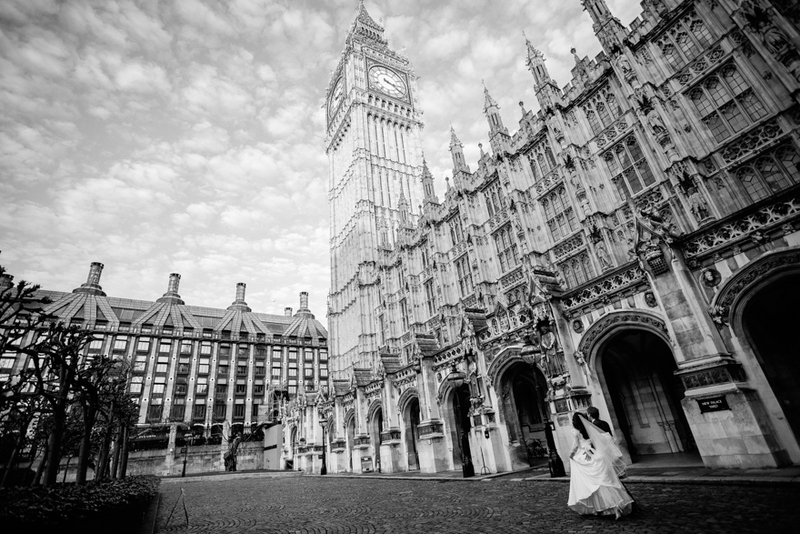 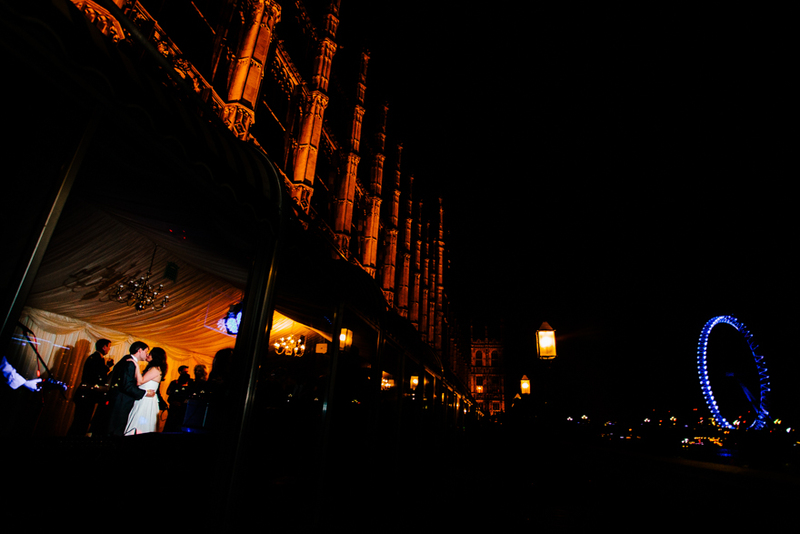 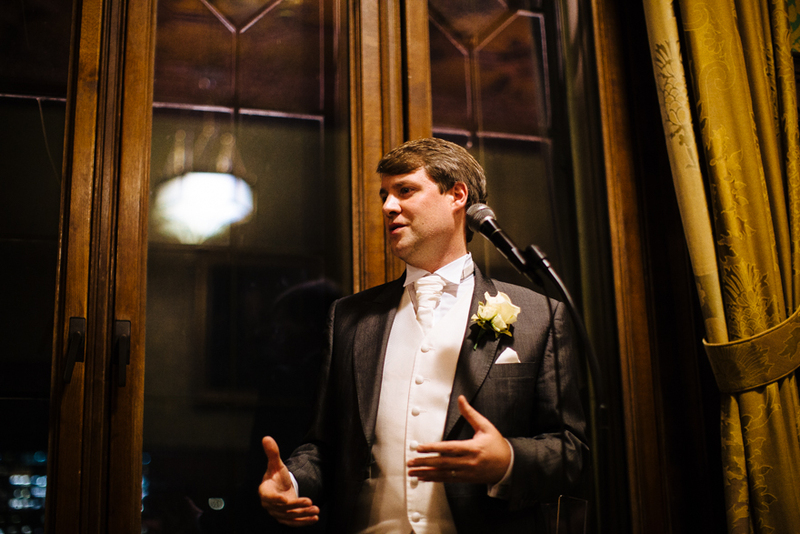 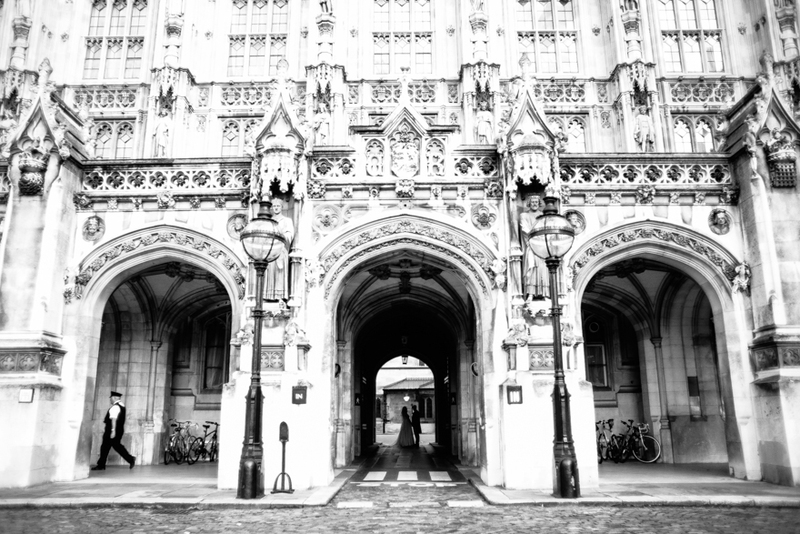 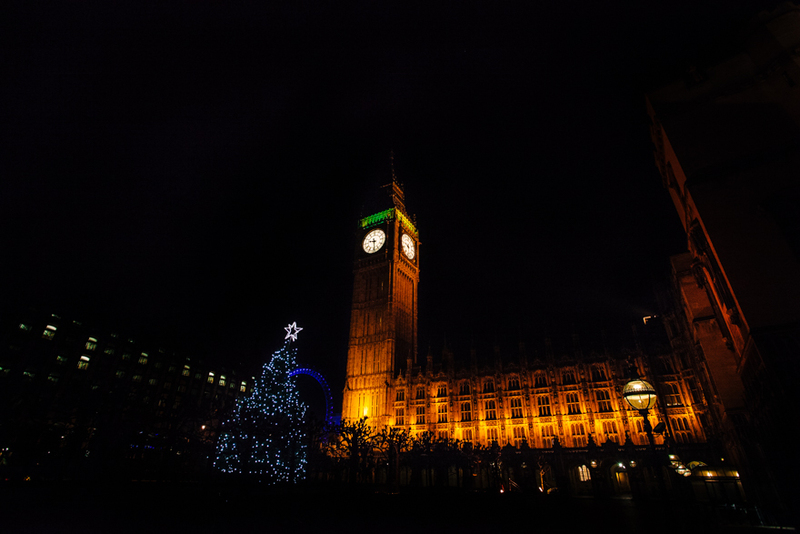 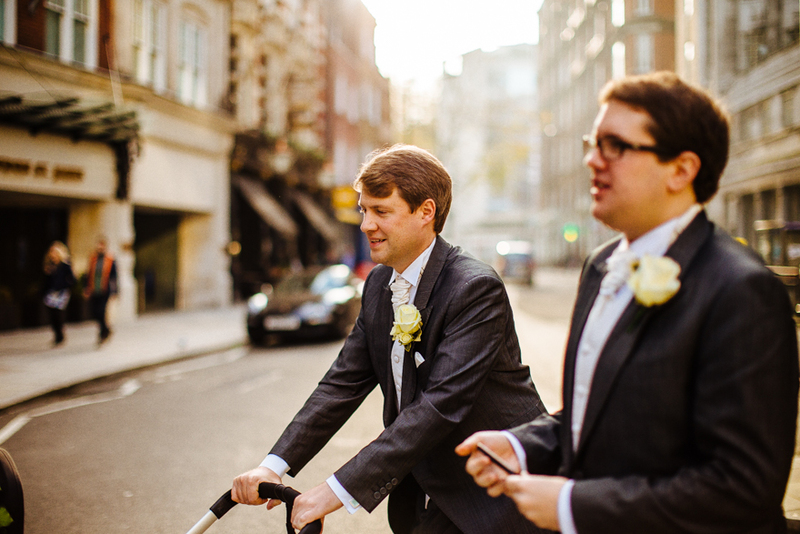 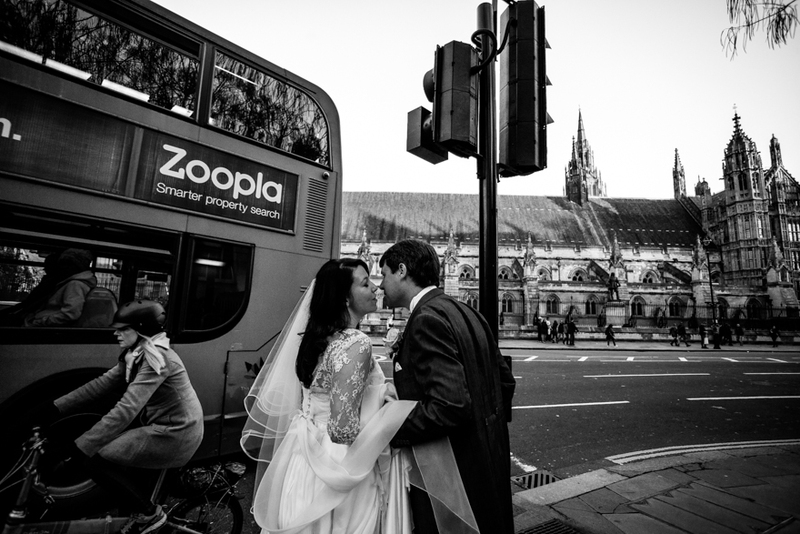 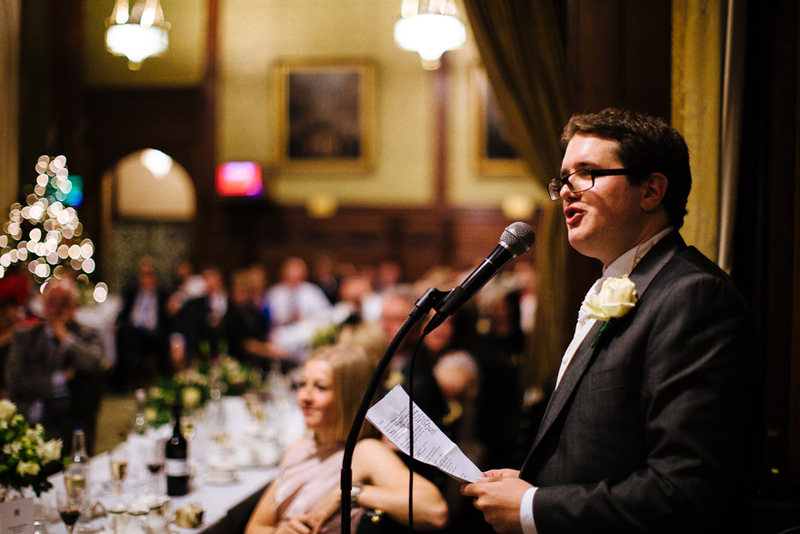 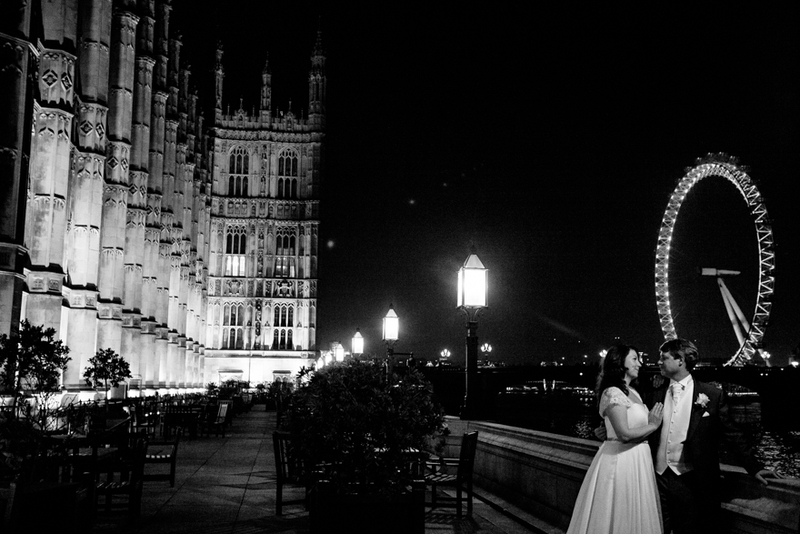 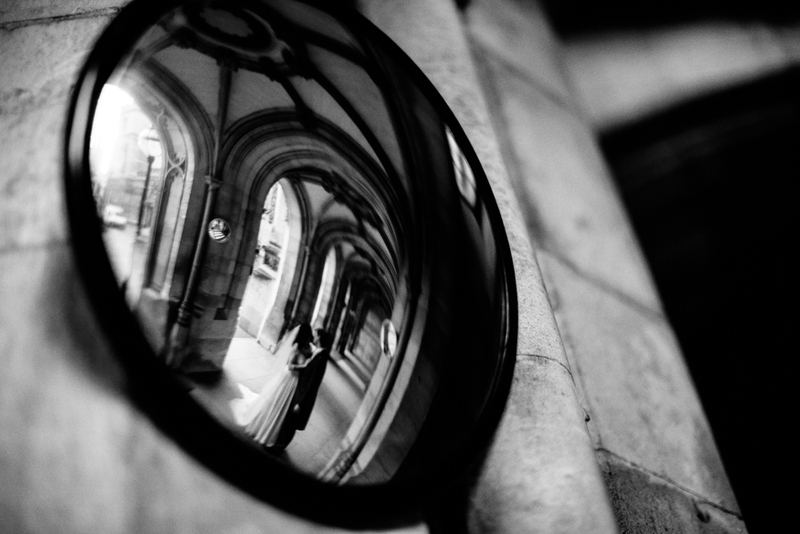 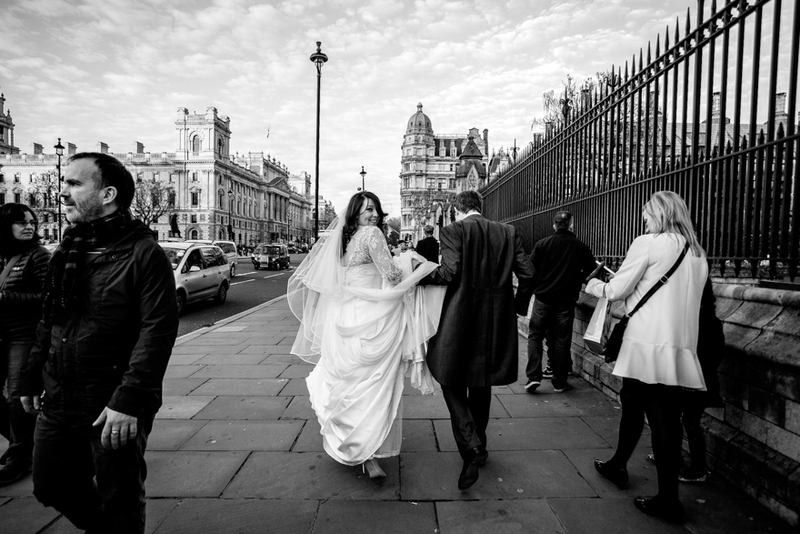 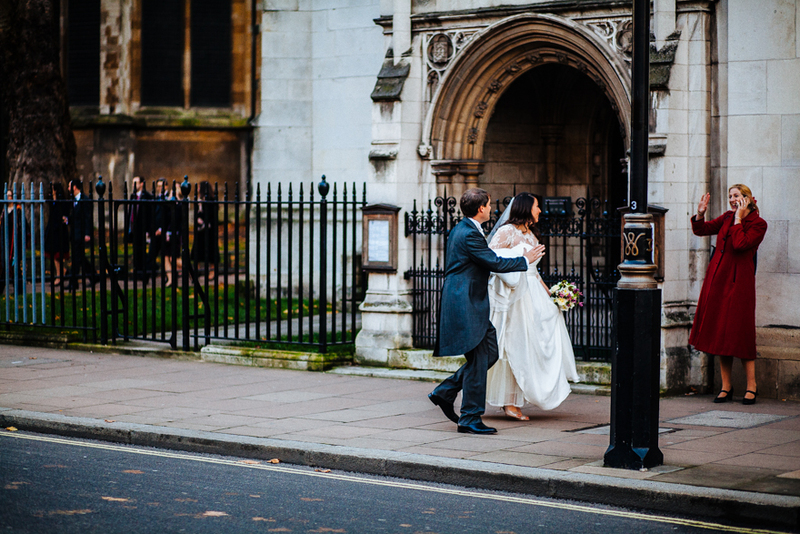 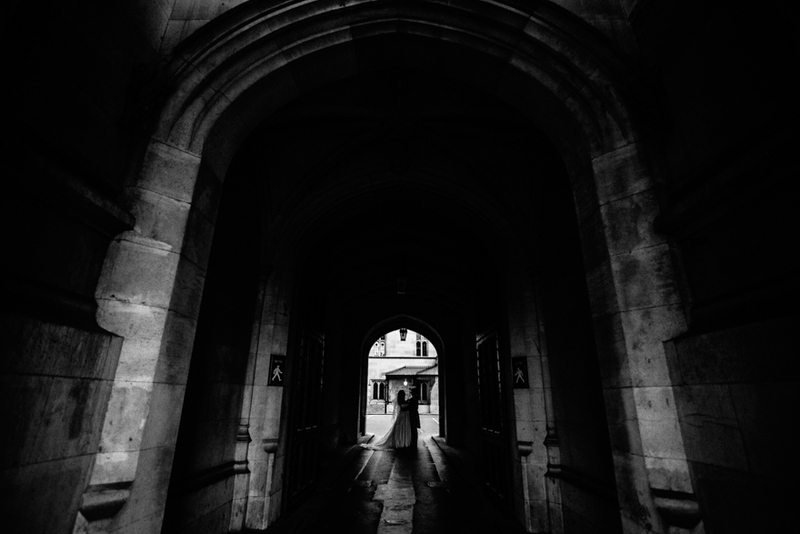 It was a short trip across the road to their reception venue at Houses of Parliament where we (and all their guests!) 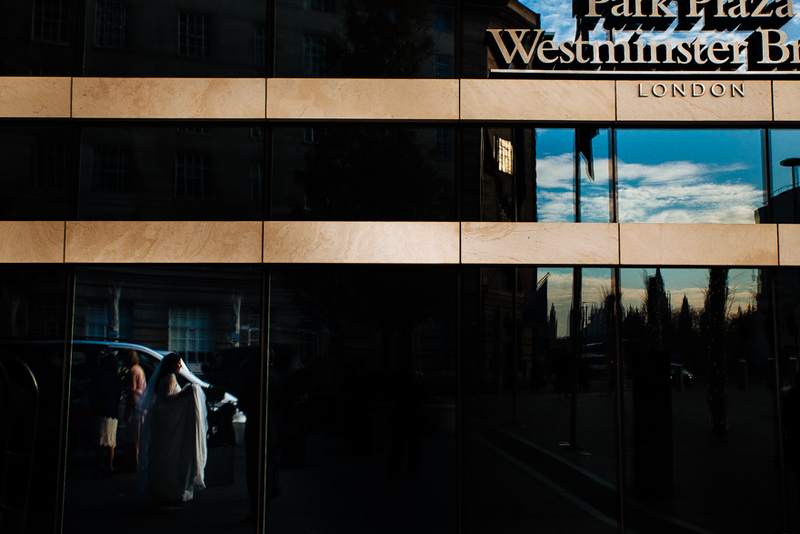 had to be security checked and X-rayed. 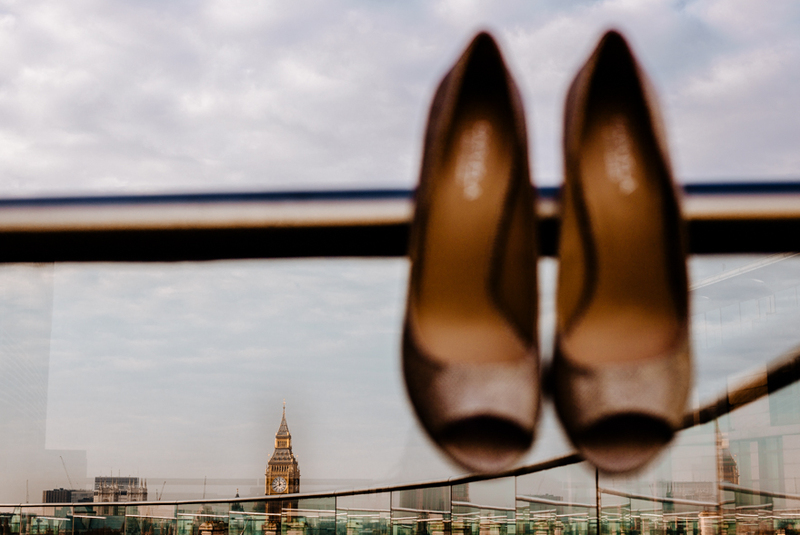 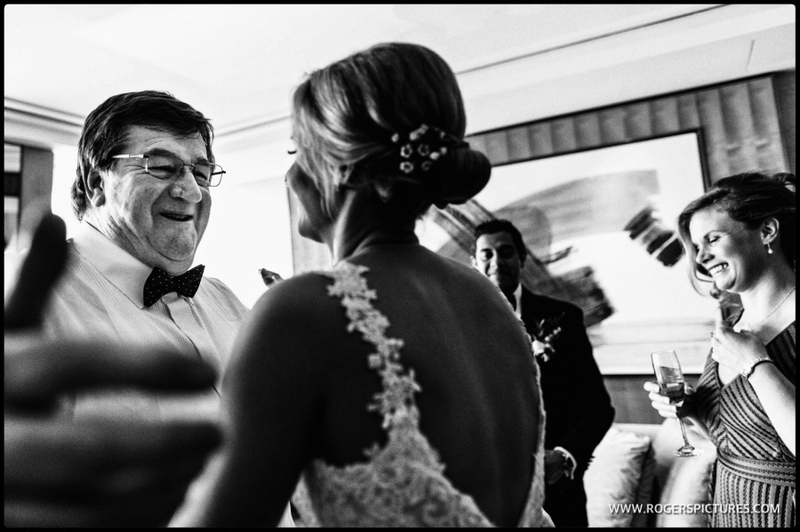 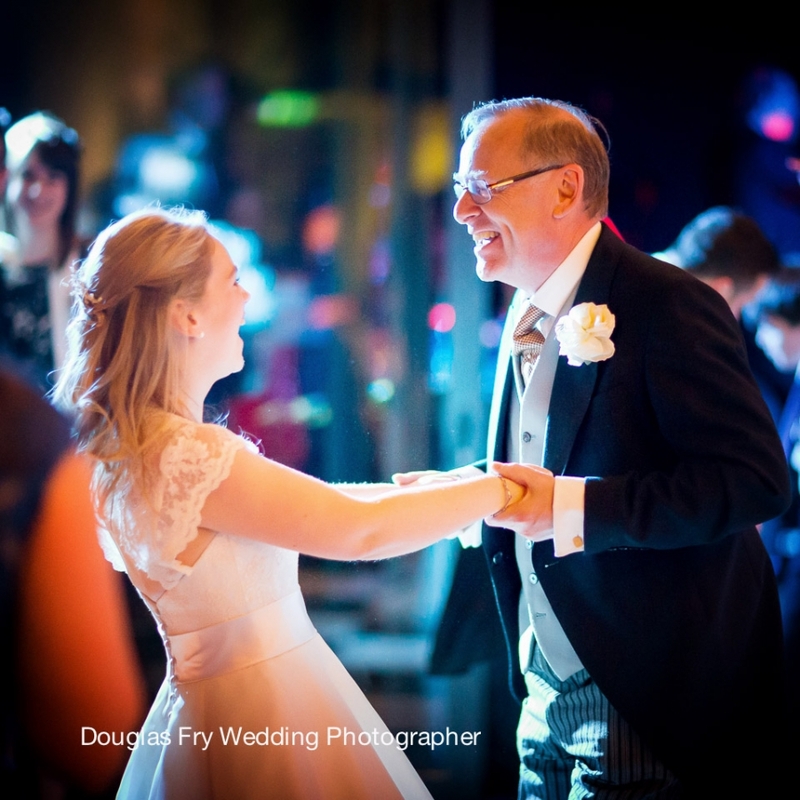 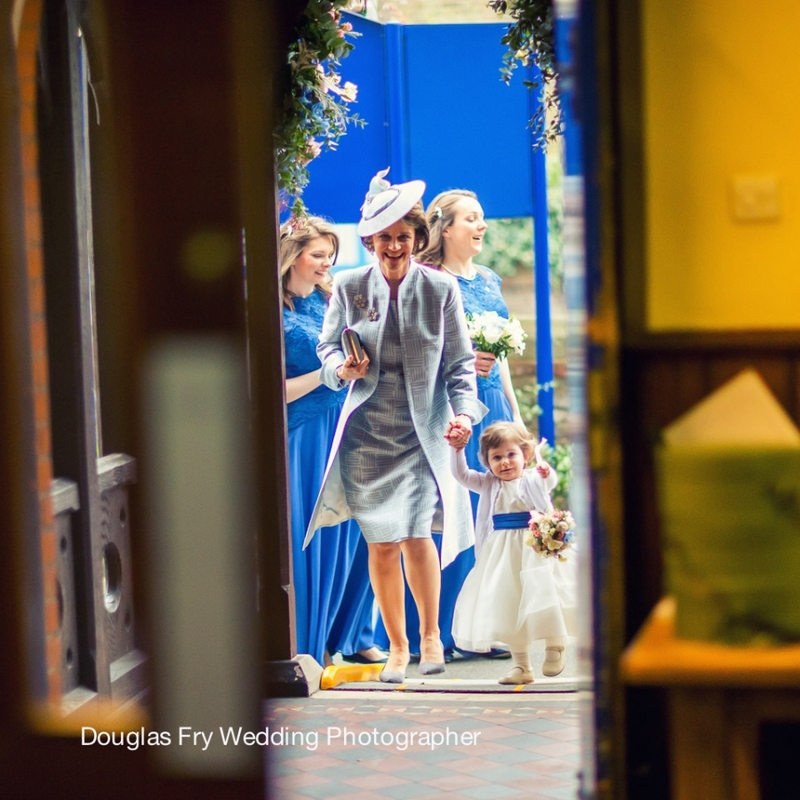 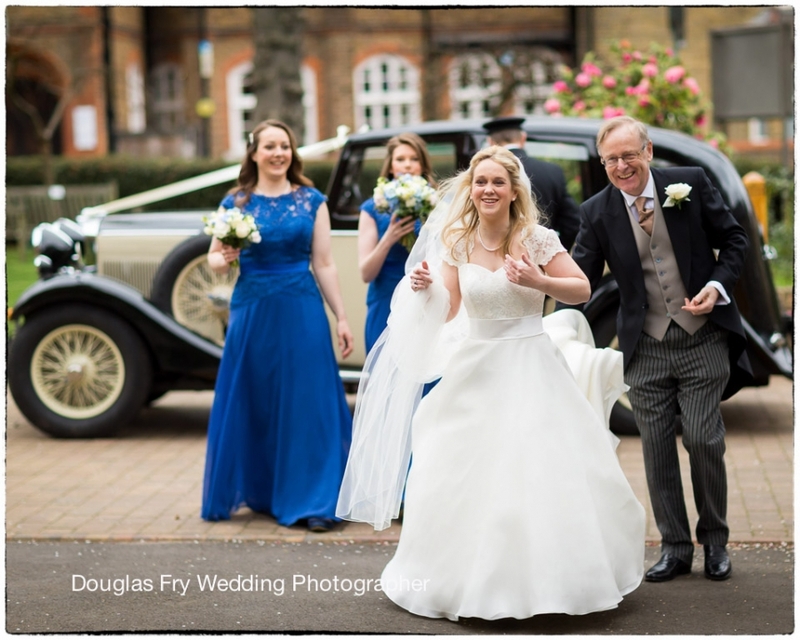 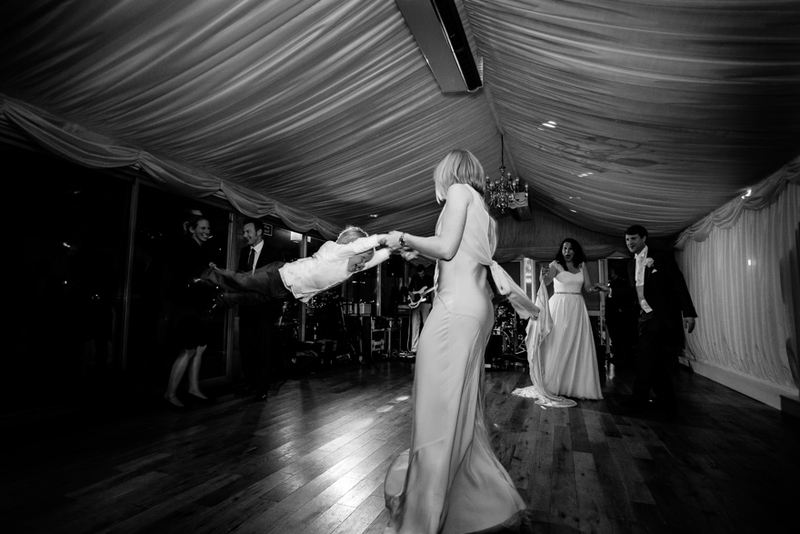 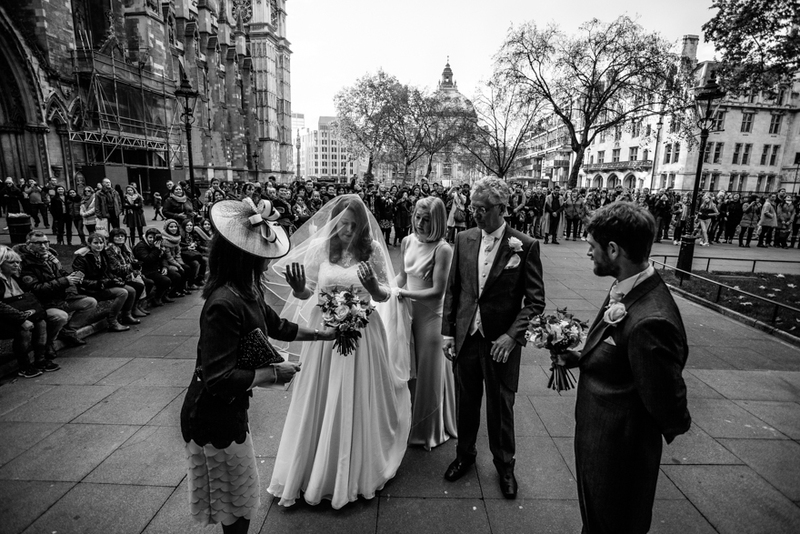 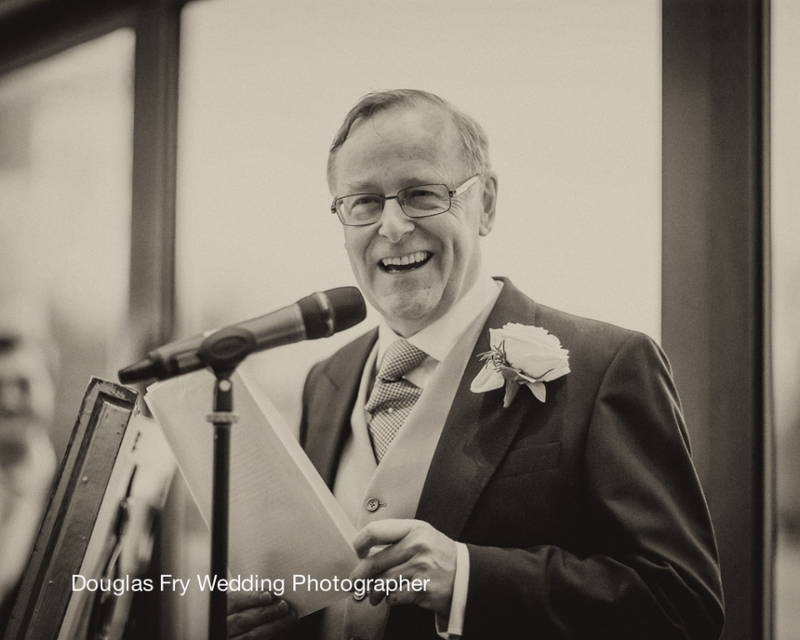 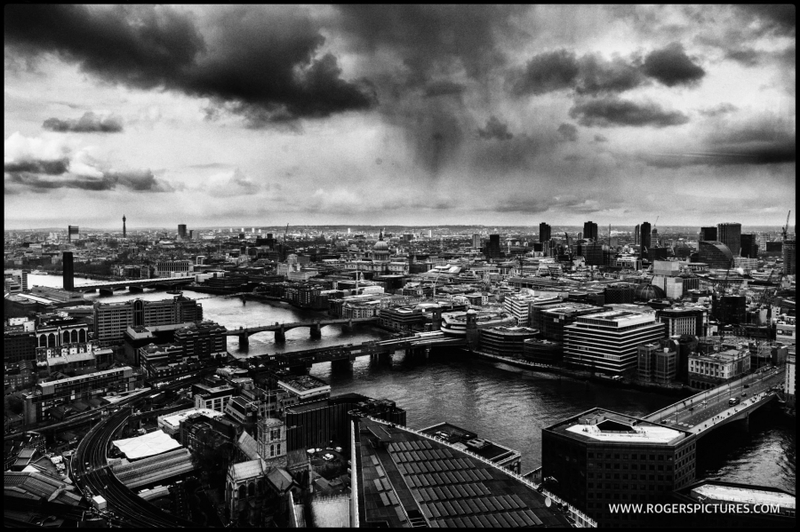 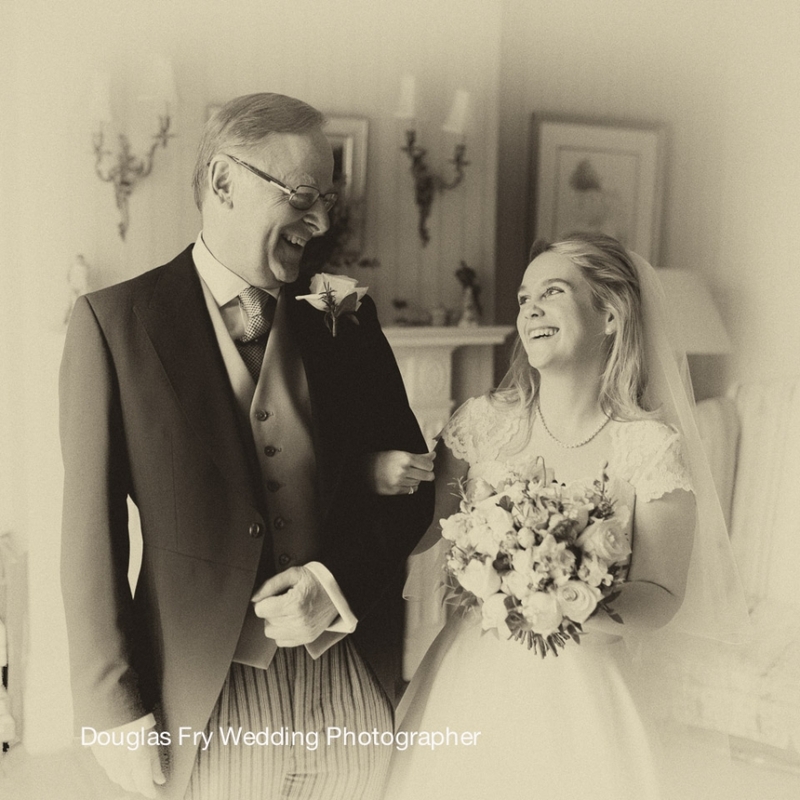 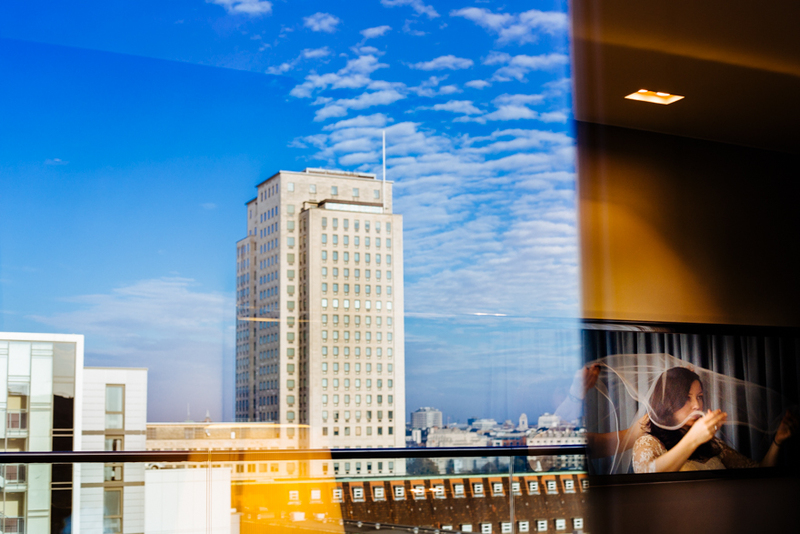 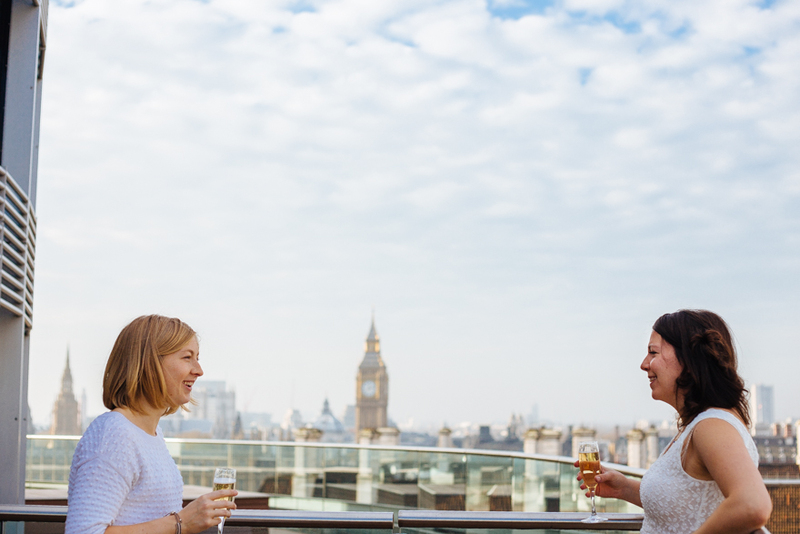 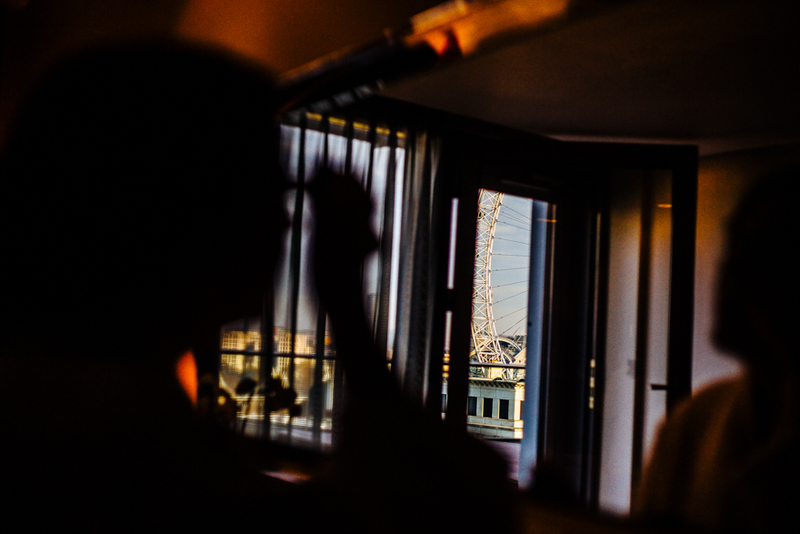 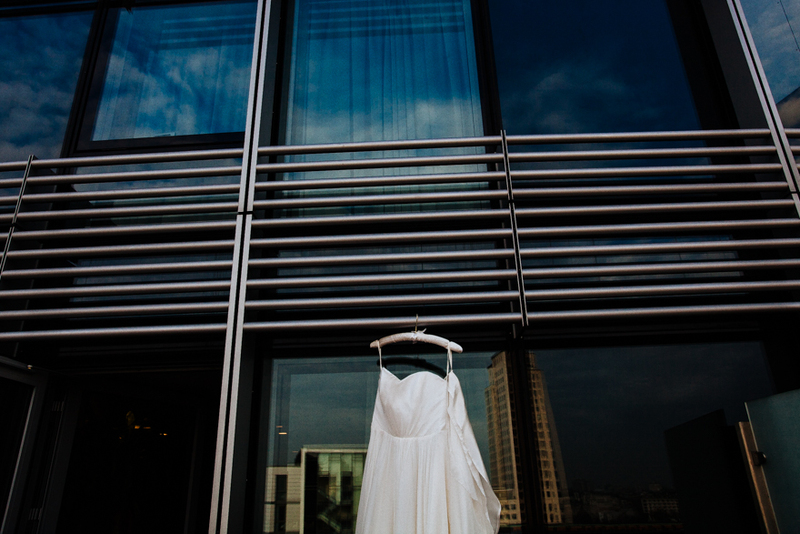 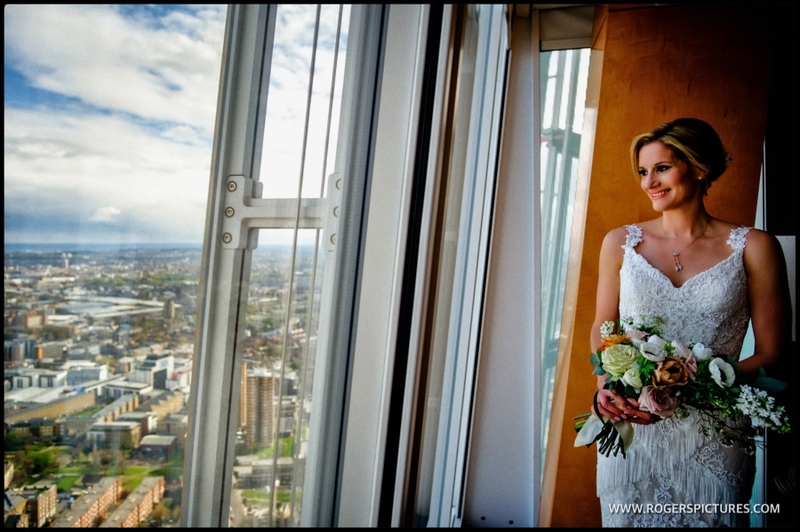 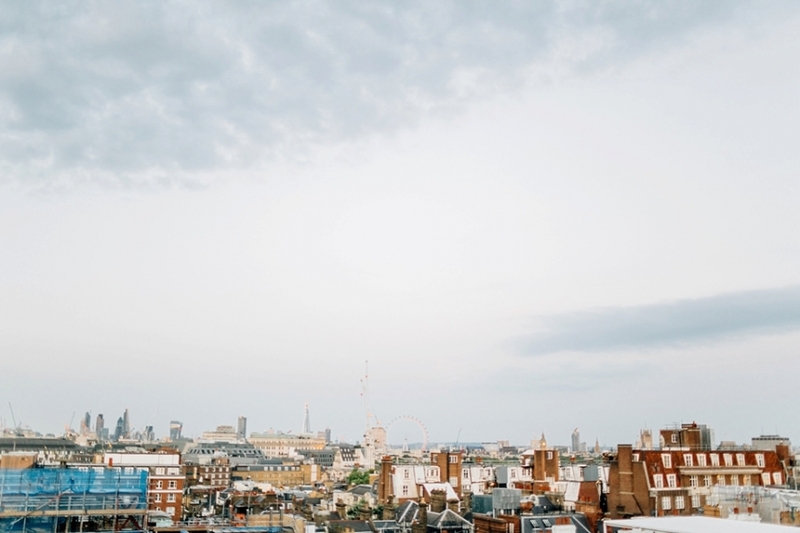 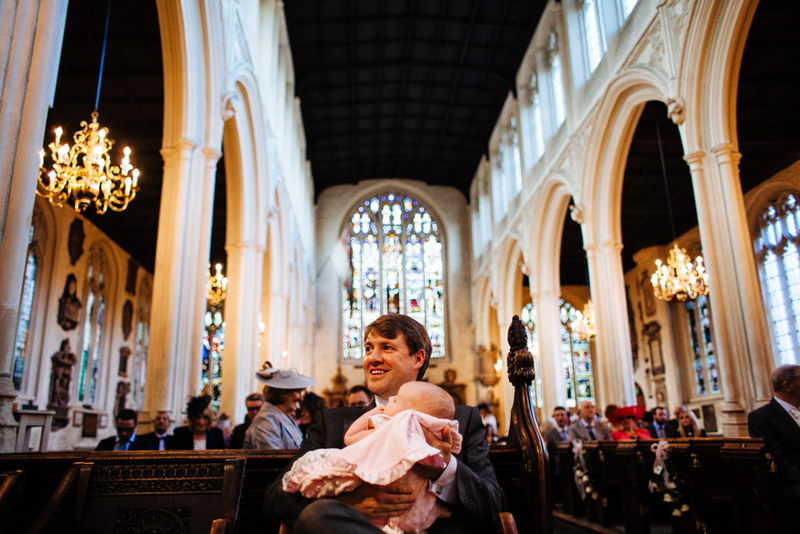 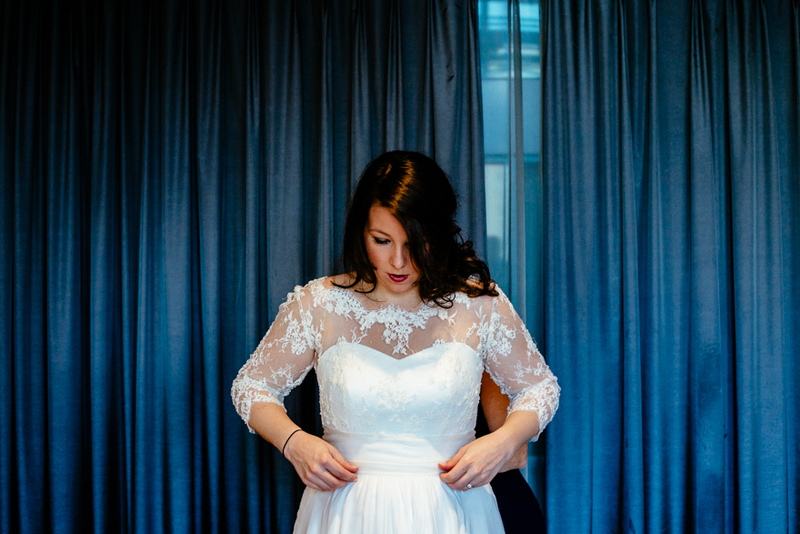 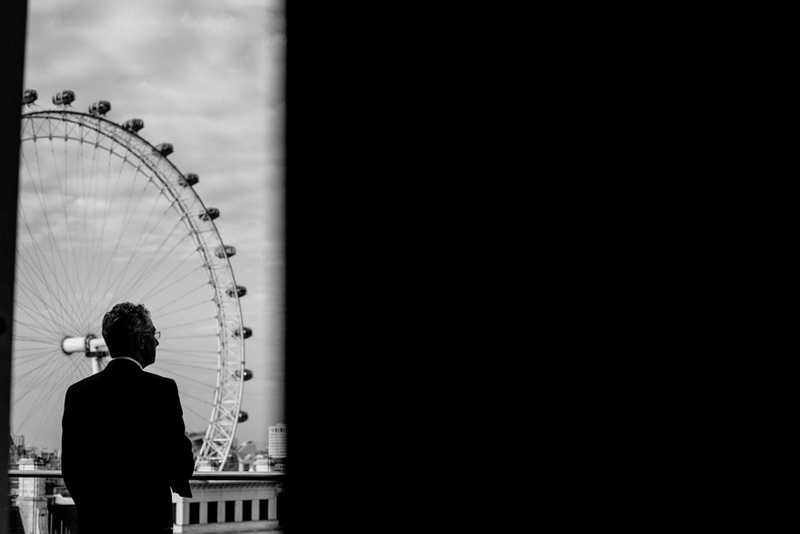 In the morning Chris looked after their daughter Clementine while he grabbed a late breakfast with his groomsmen, meanwhile Lydia and her maid of honour prepared in style with a hotel room overlooking some of London’s most iconic buildings. 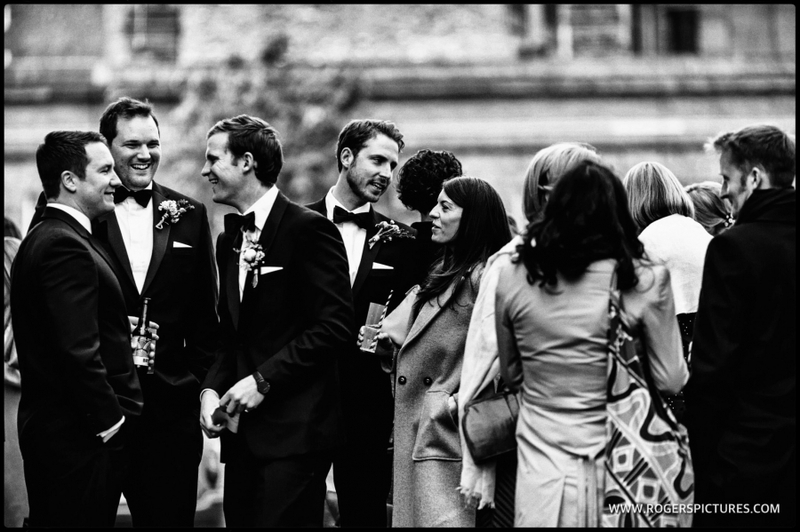 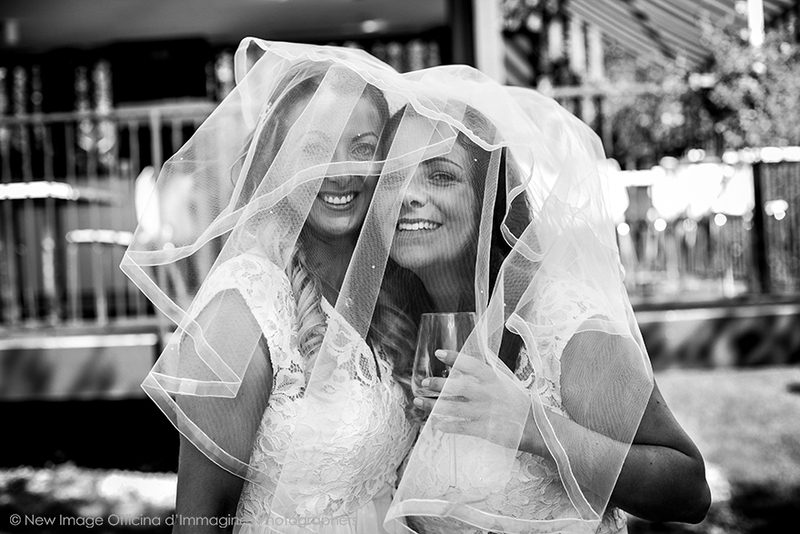 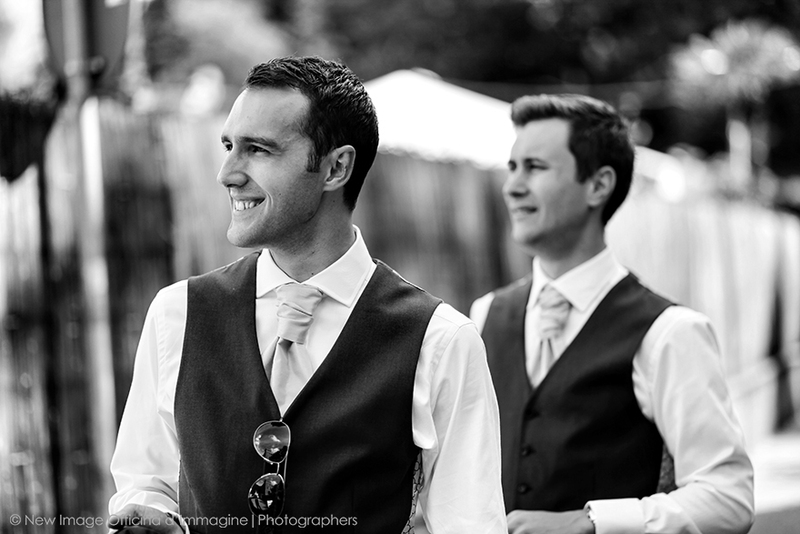 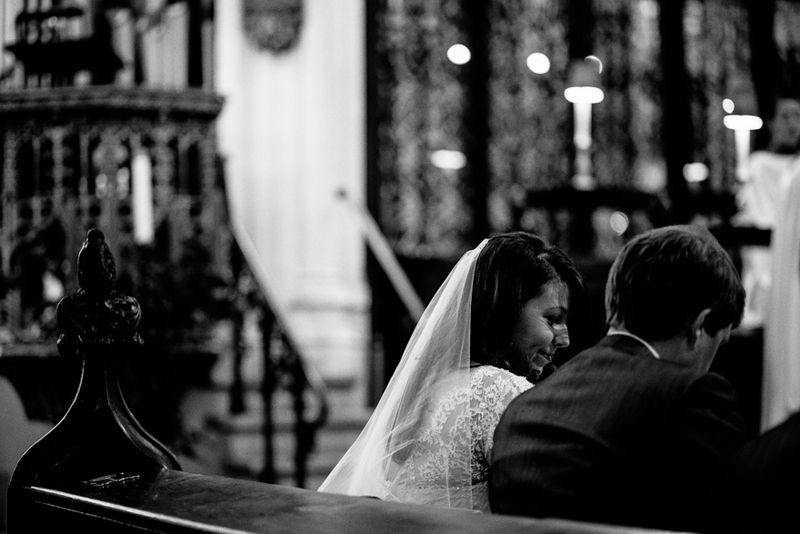 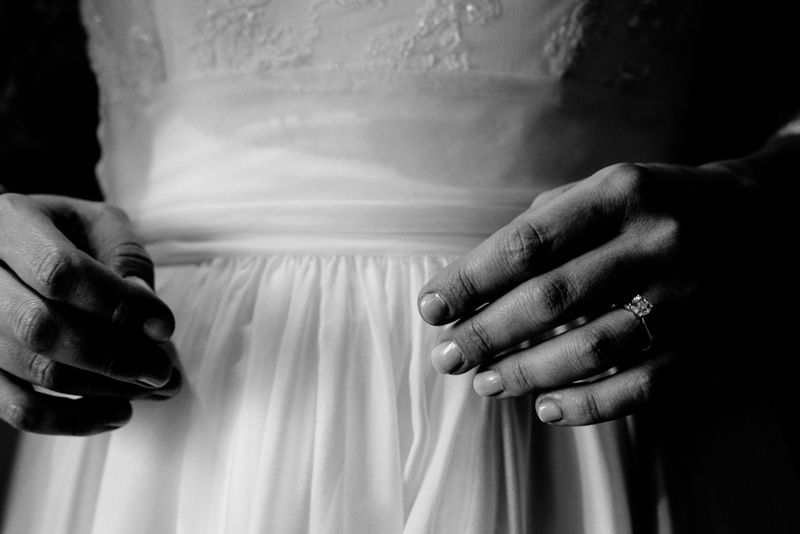 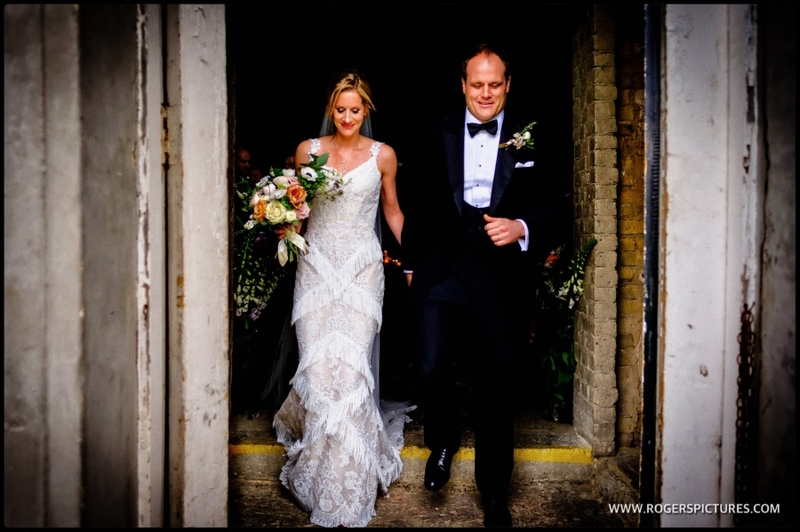 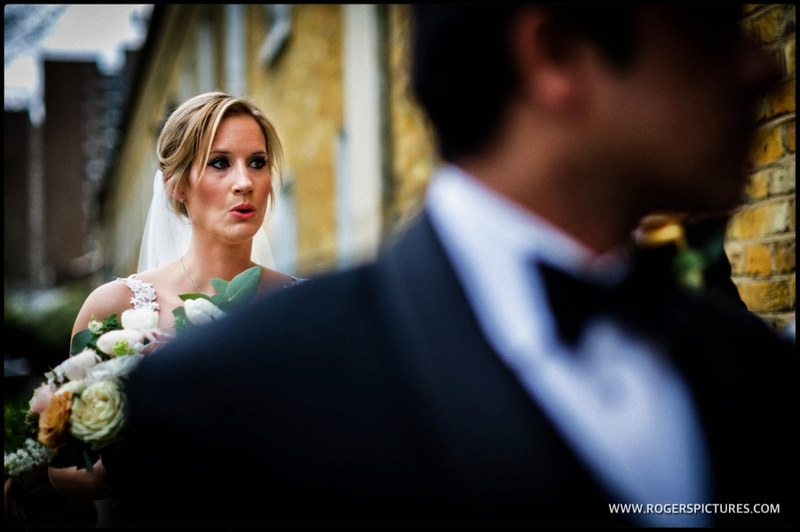 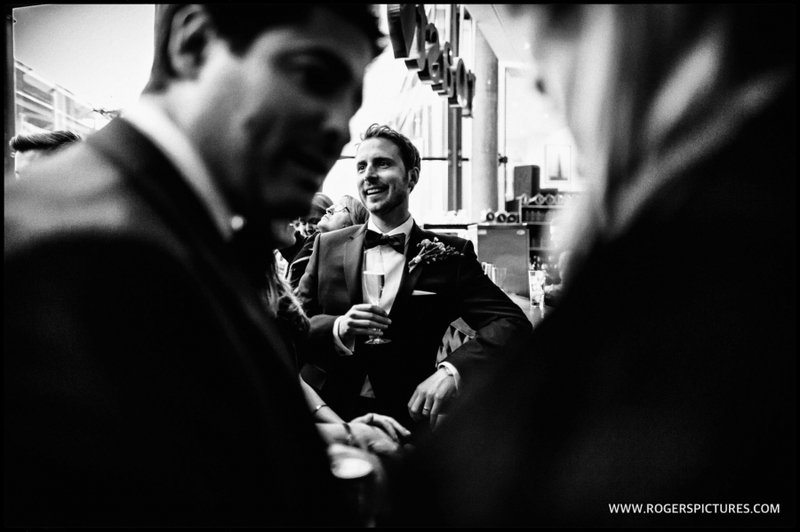 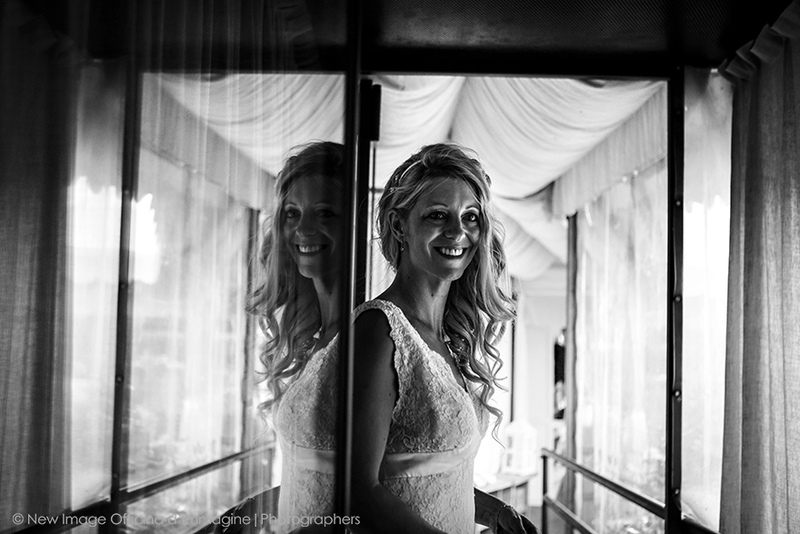 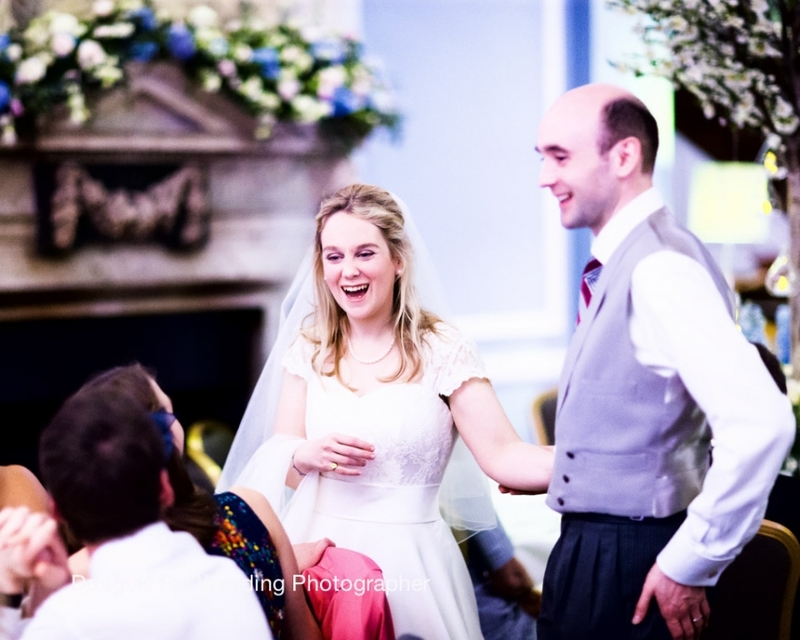 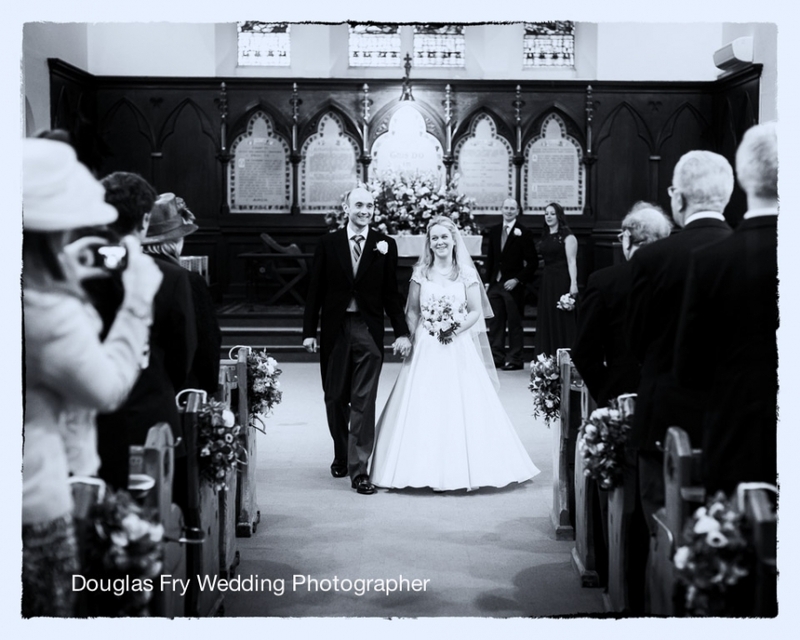 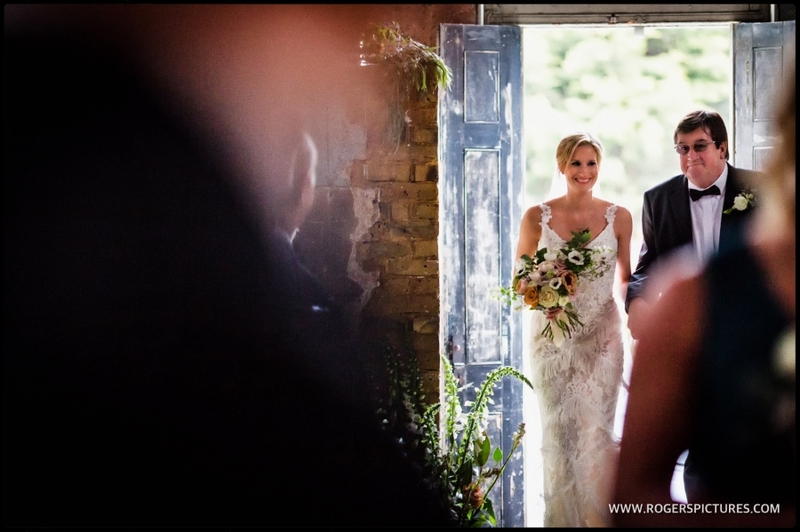 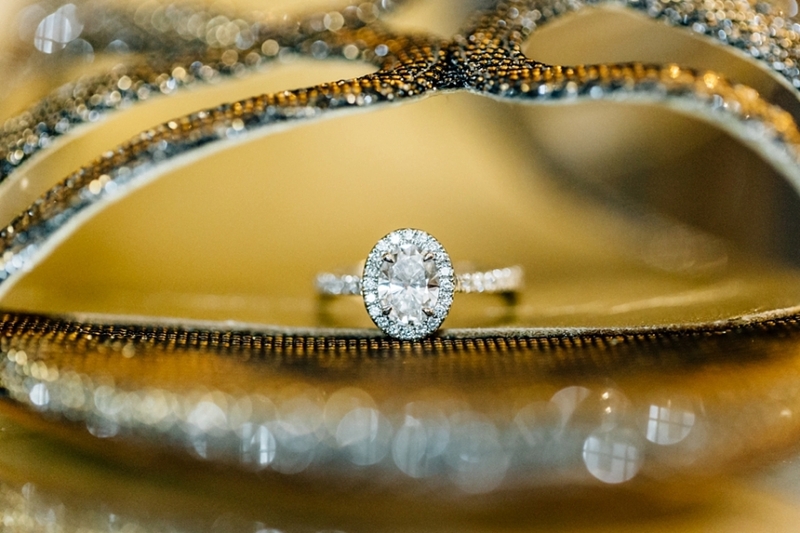 We always love how you can tell how in love a couple are on a wedding day, we follow them so closely and looking through our cameras all day we loved just how happy they obviously are together, the glances throughout the day and the smiles on each of their faces. 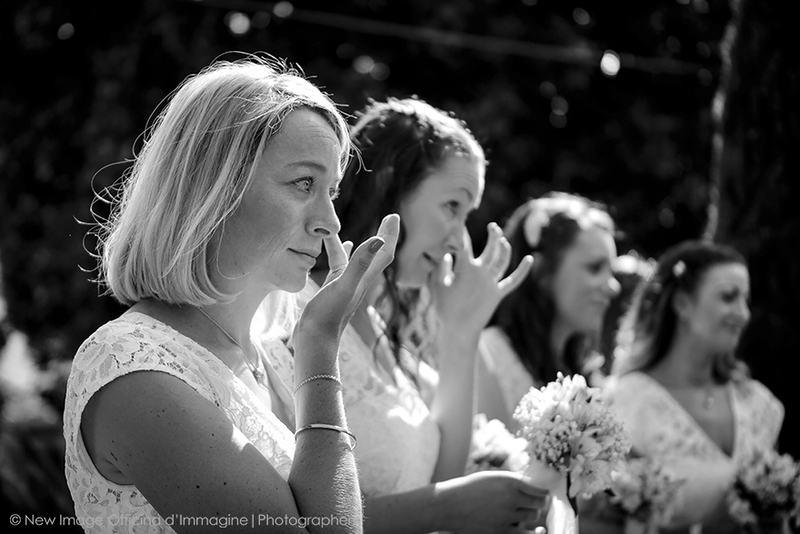 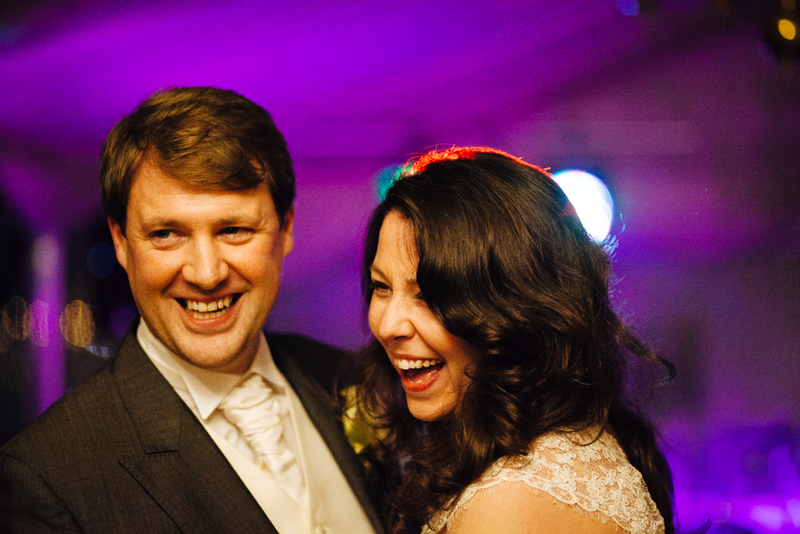 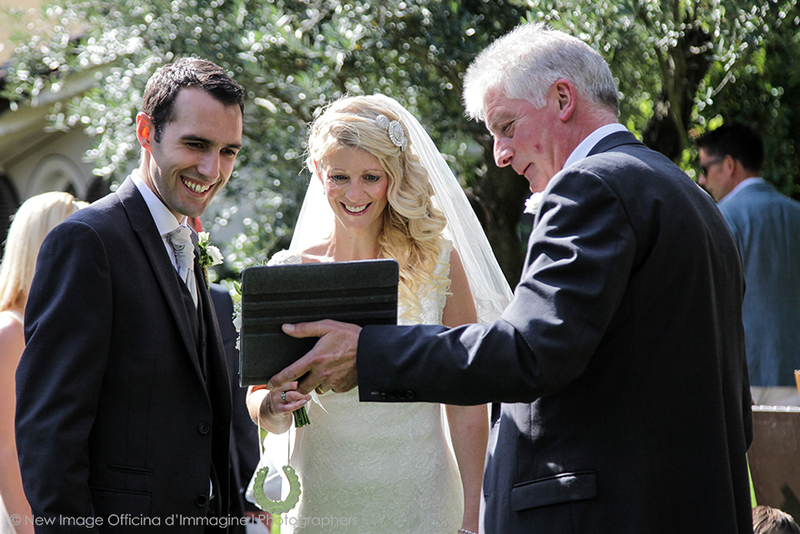 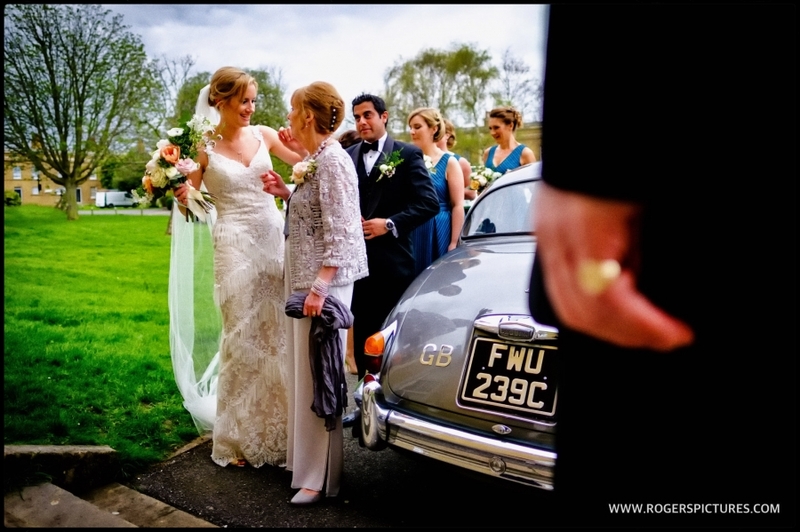 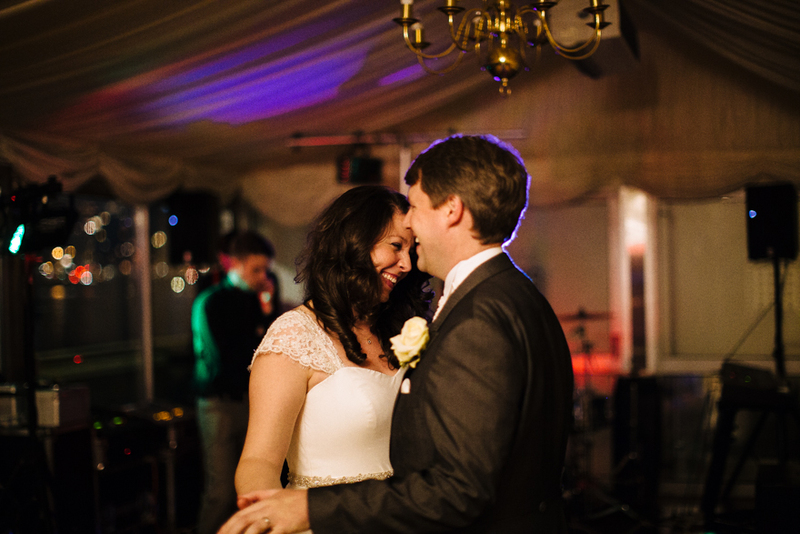 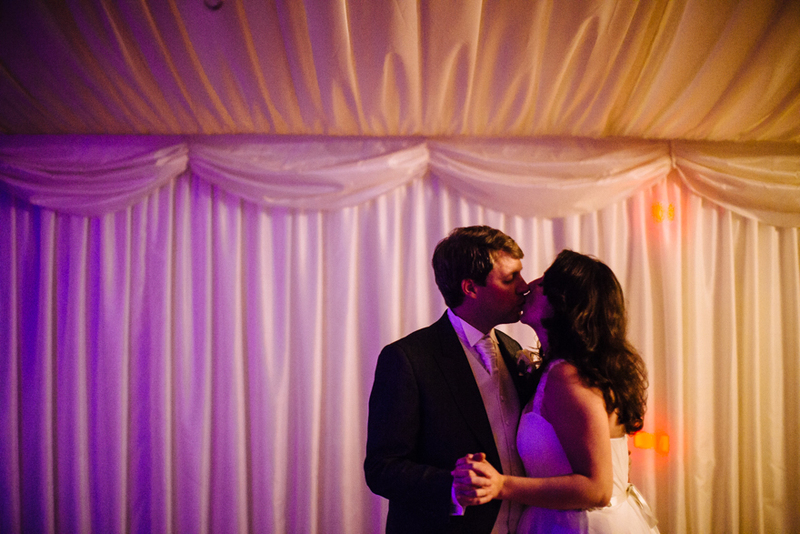 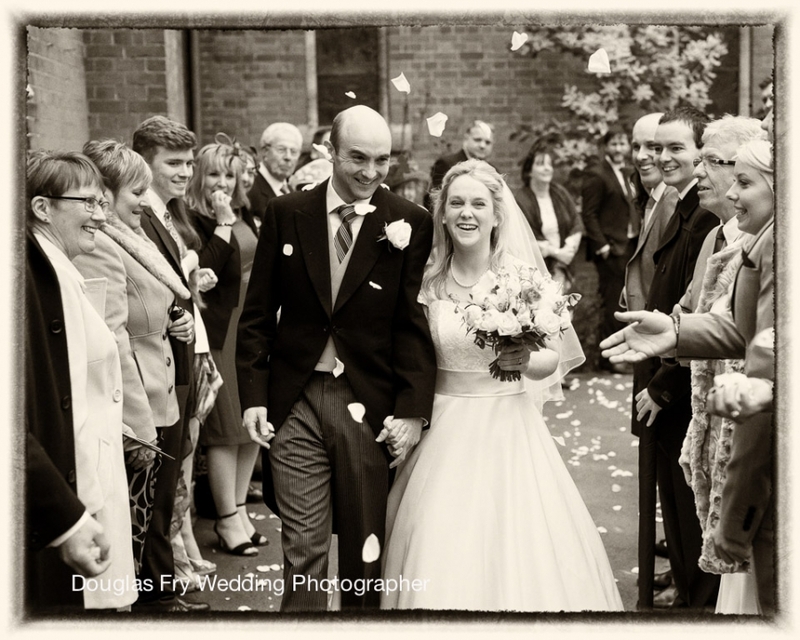 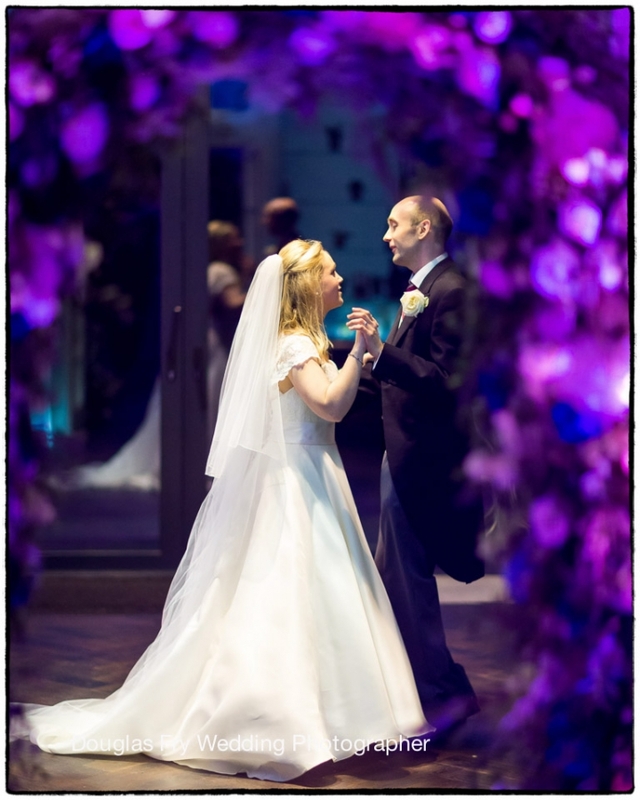 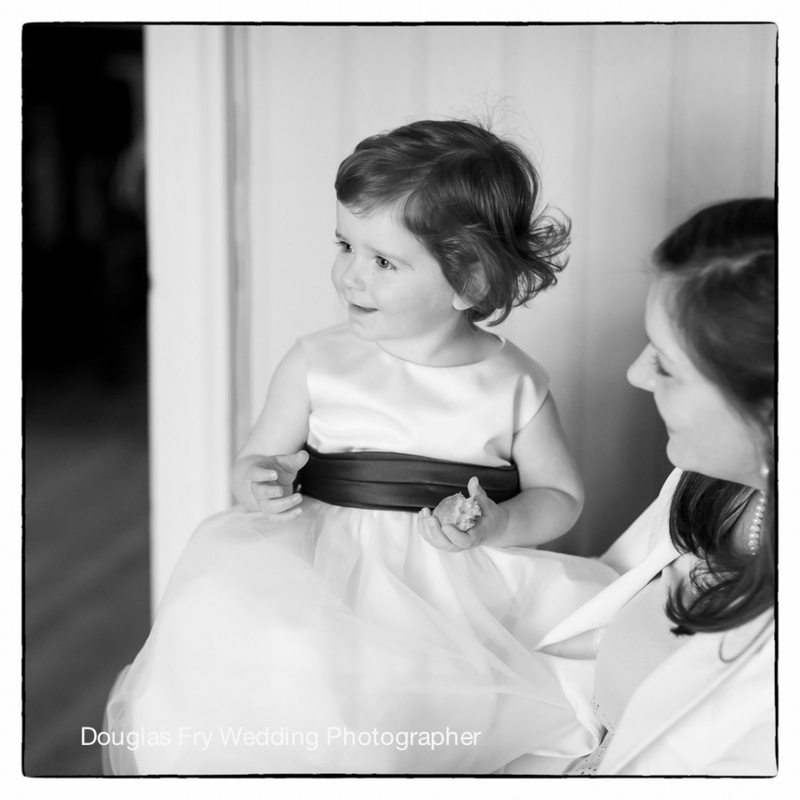 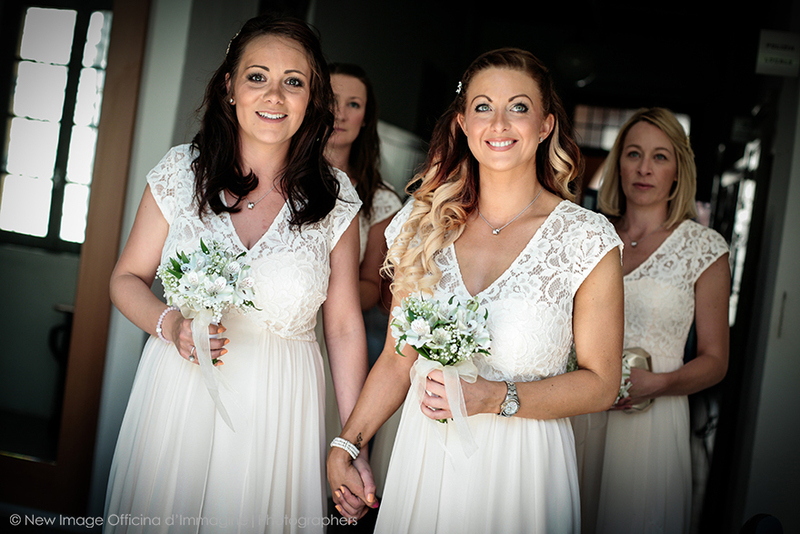 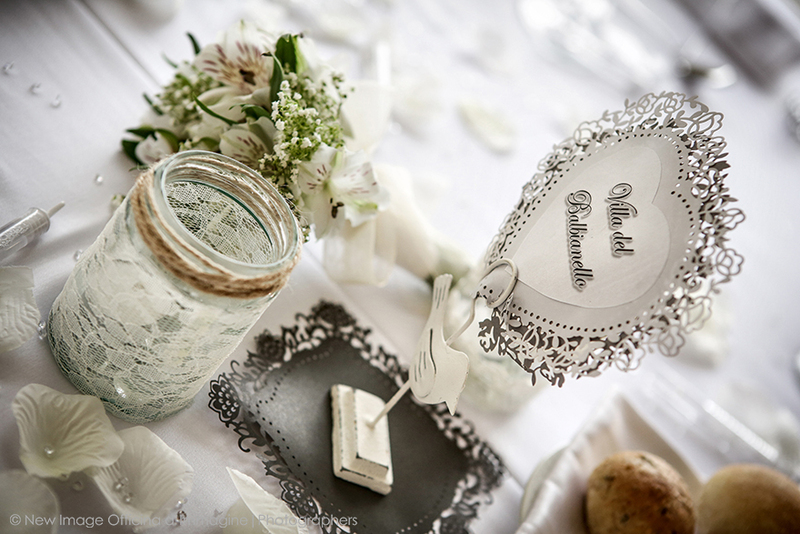 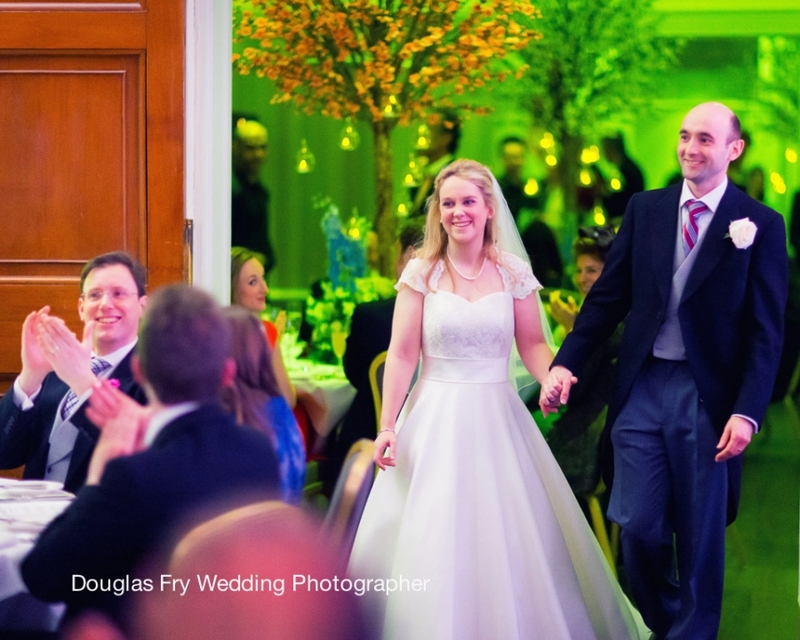 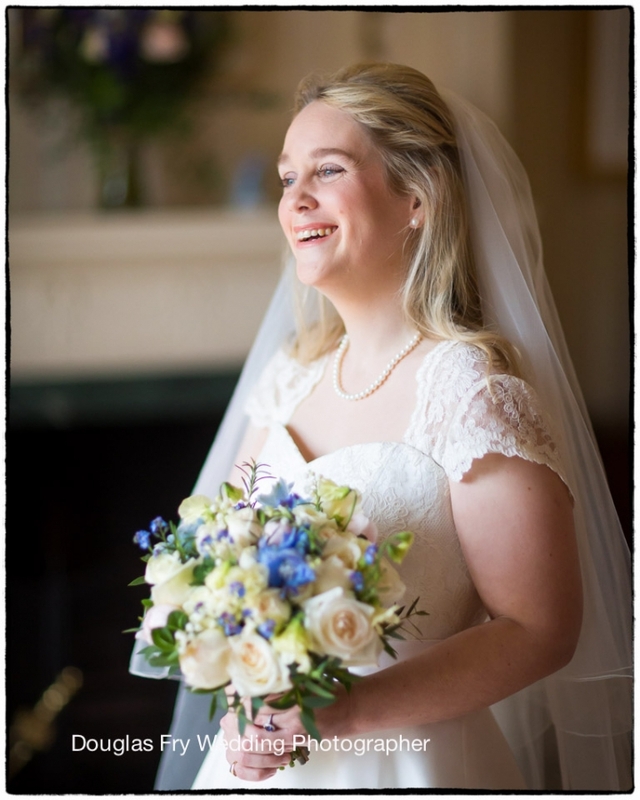 What an amazing spring wedding filled with flowers and happiness for Katie and James. 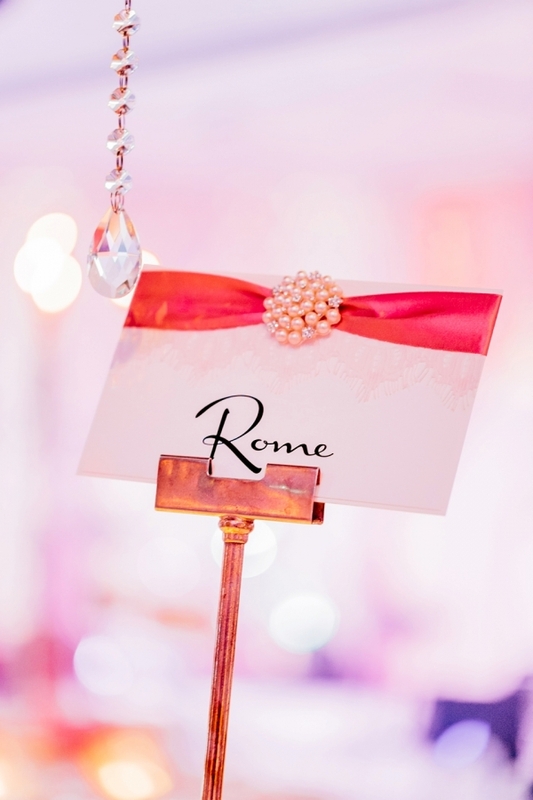 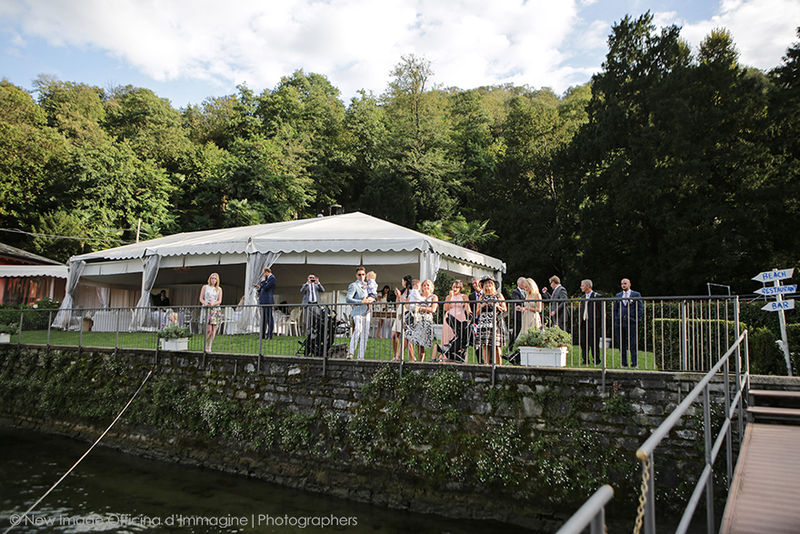 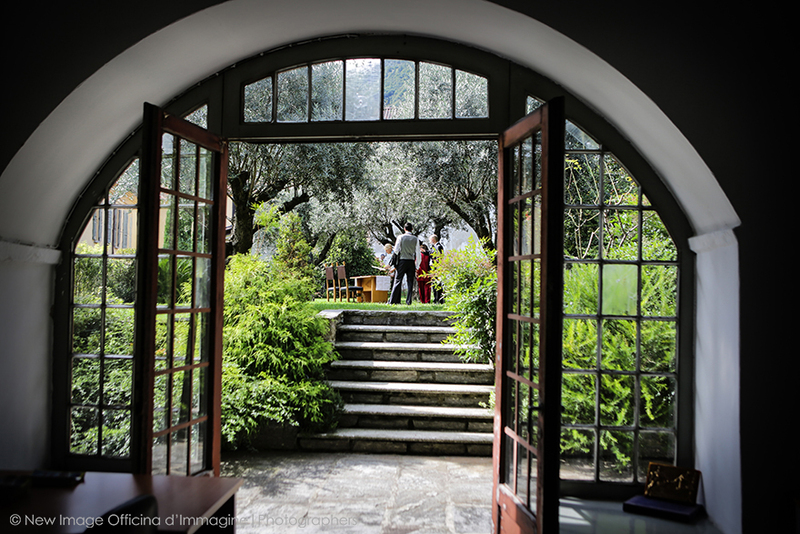 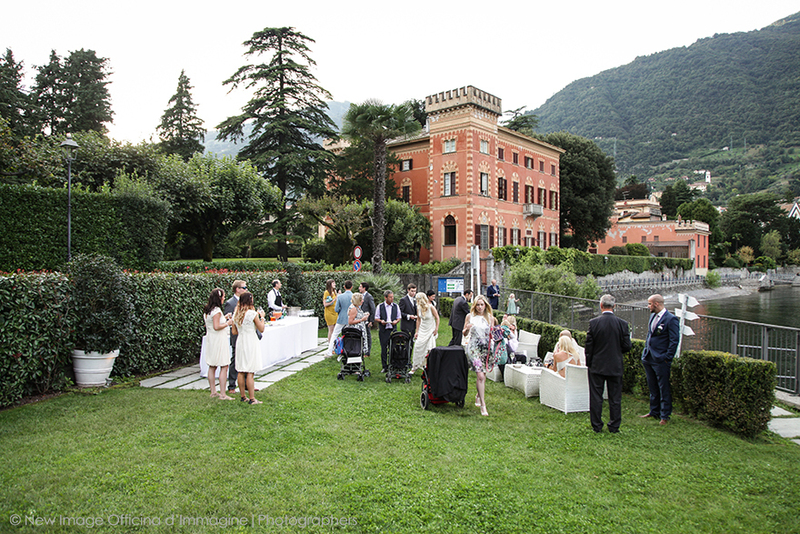 The Cannizaro House hotel was a beautiful venue for the many guests who attended the reception and afterwards for dinner and dancing. 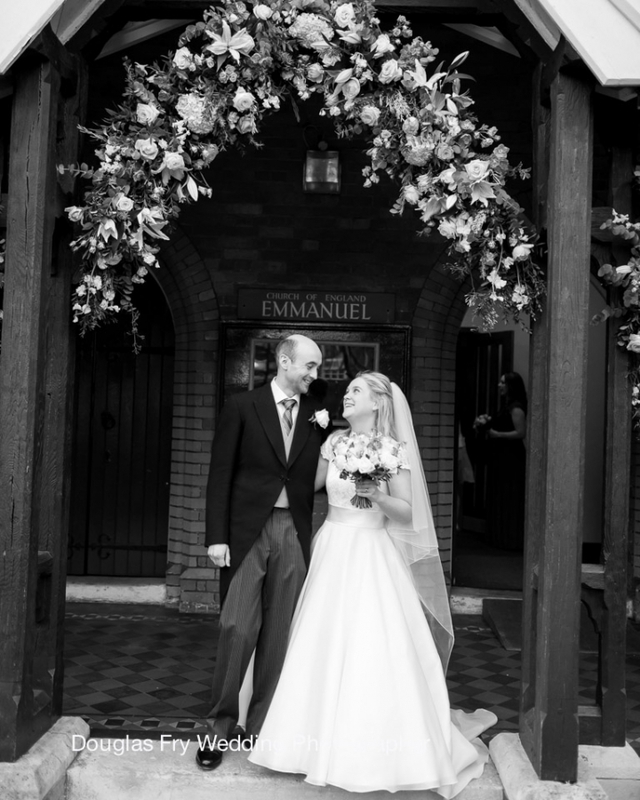 The flowers were extremely special. 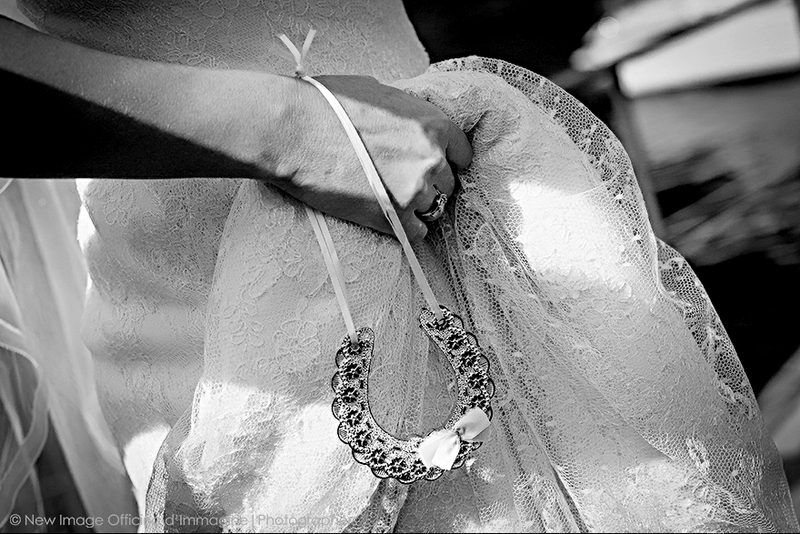 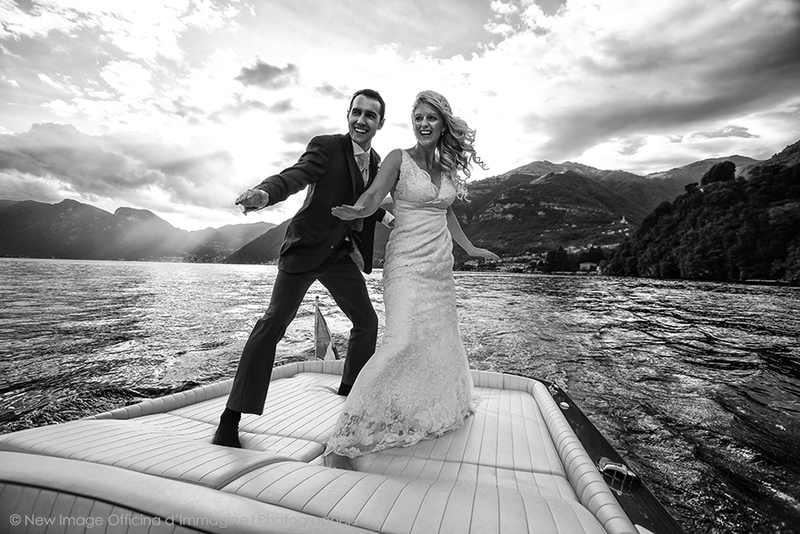 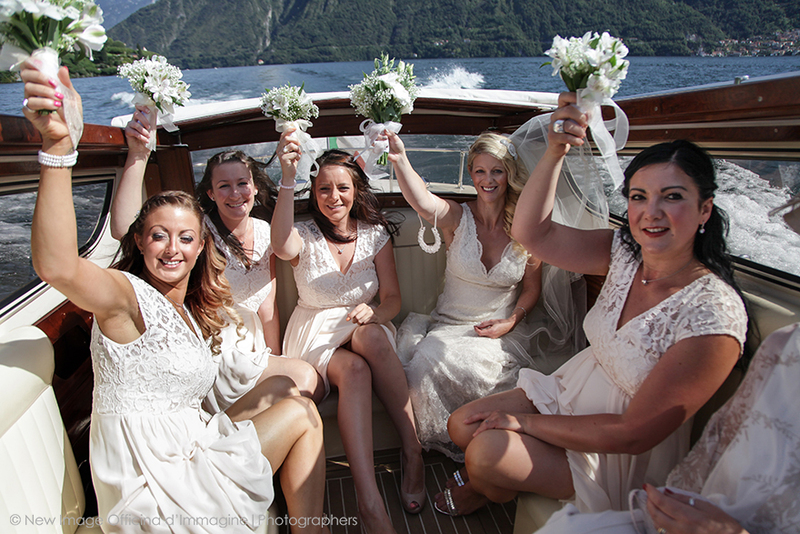 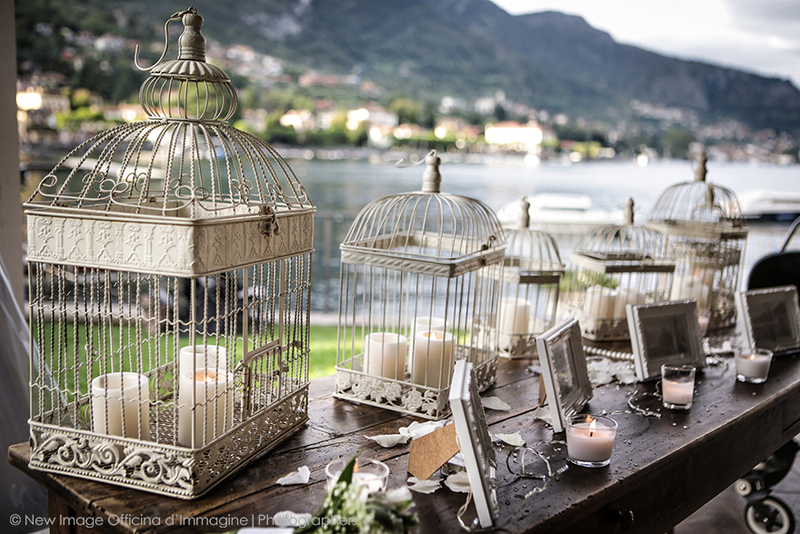 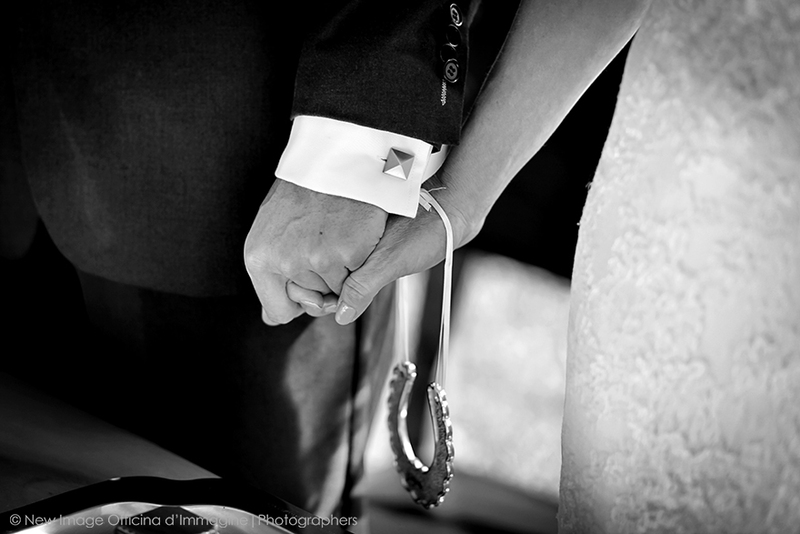 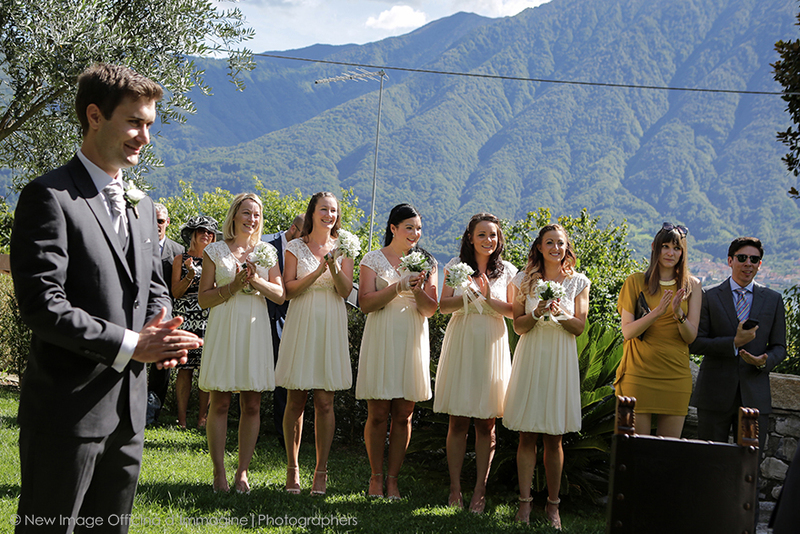 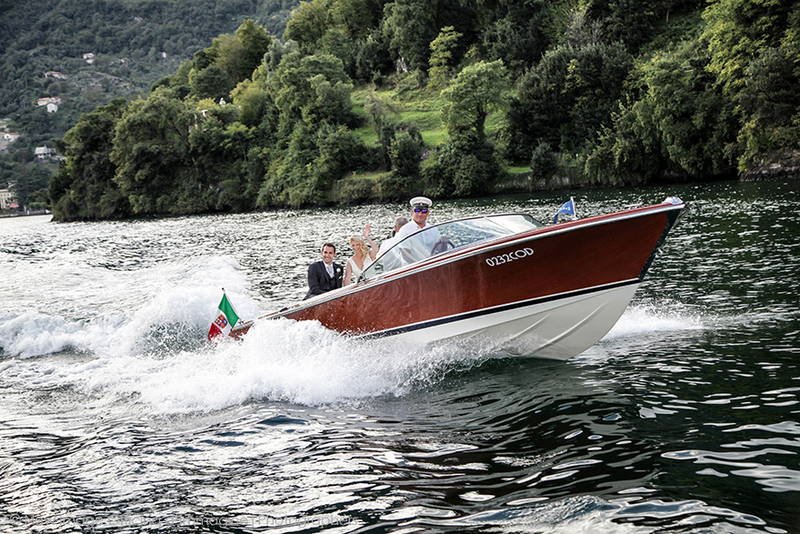 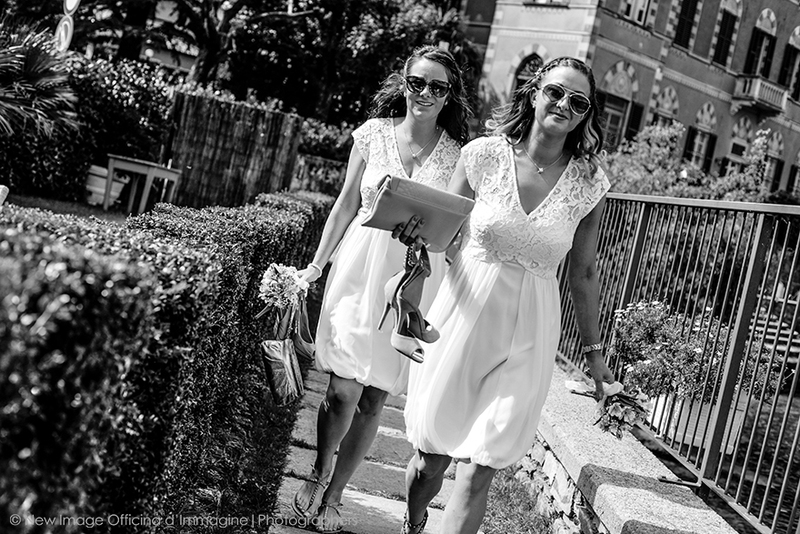 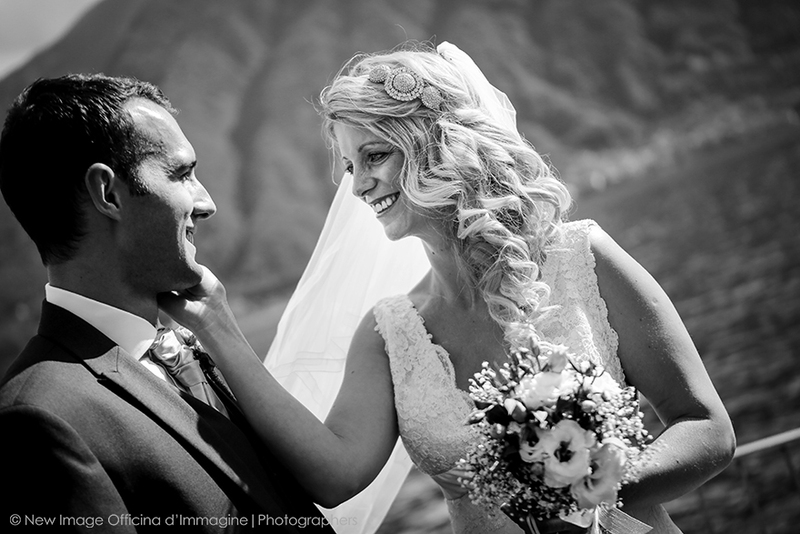 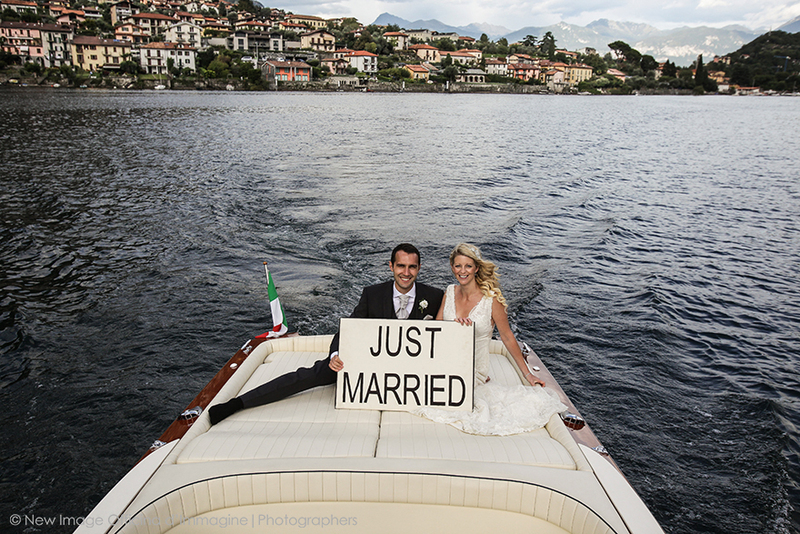 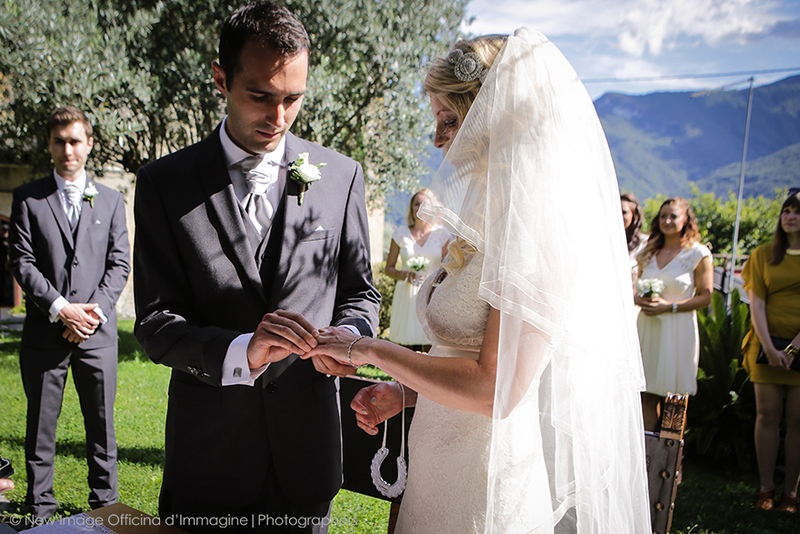 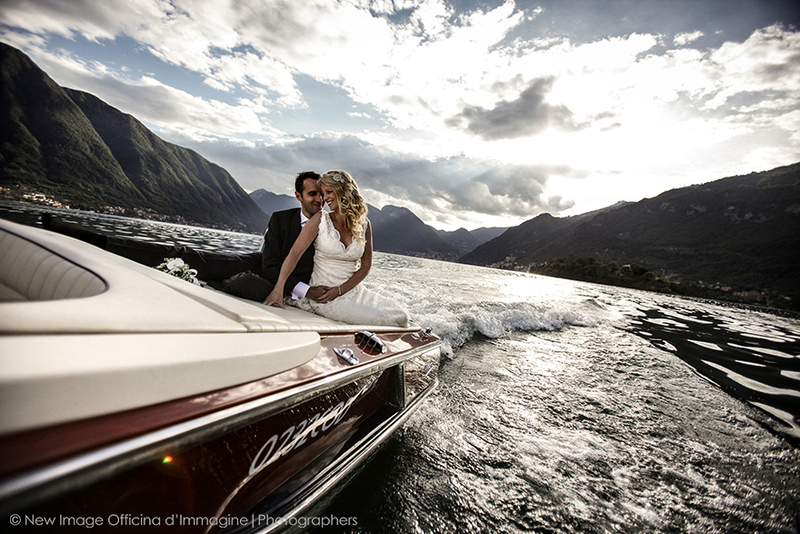 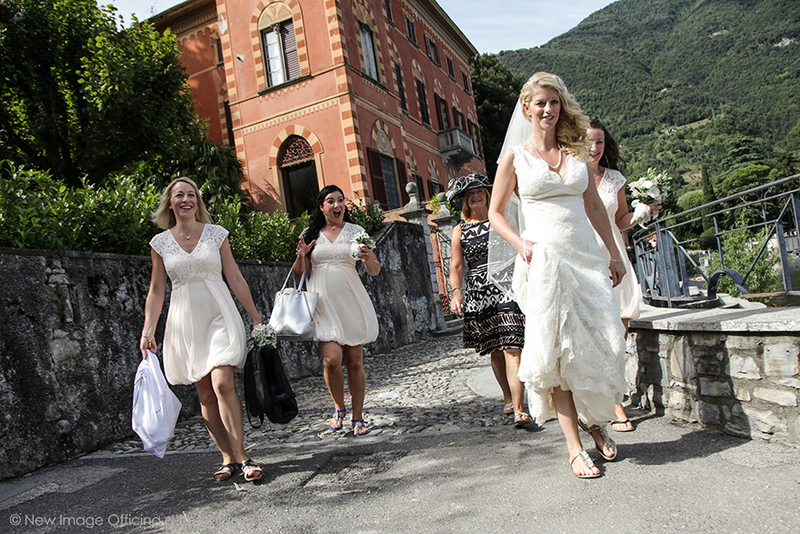 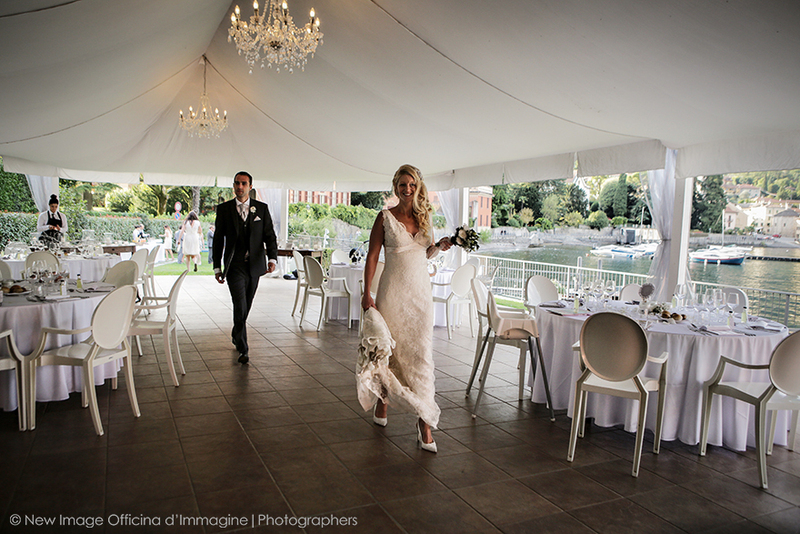 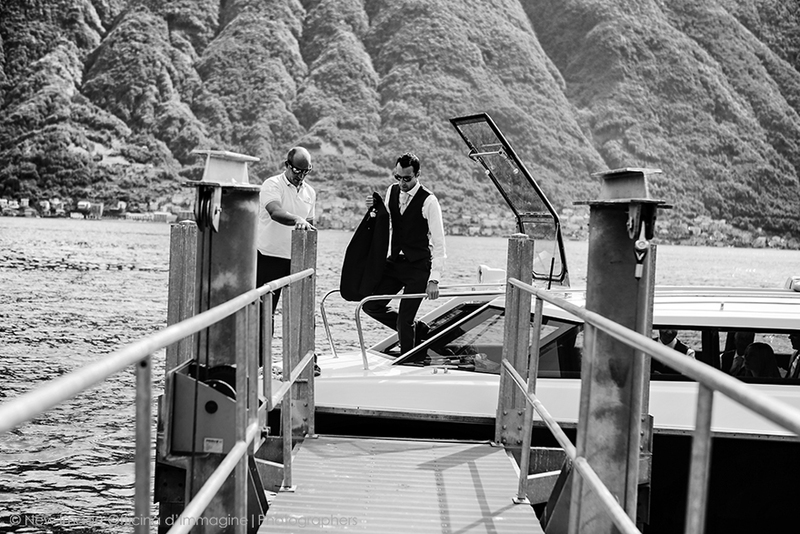 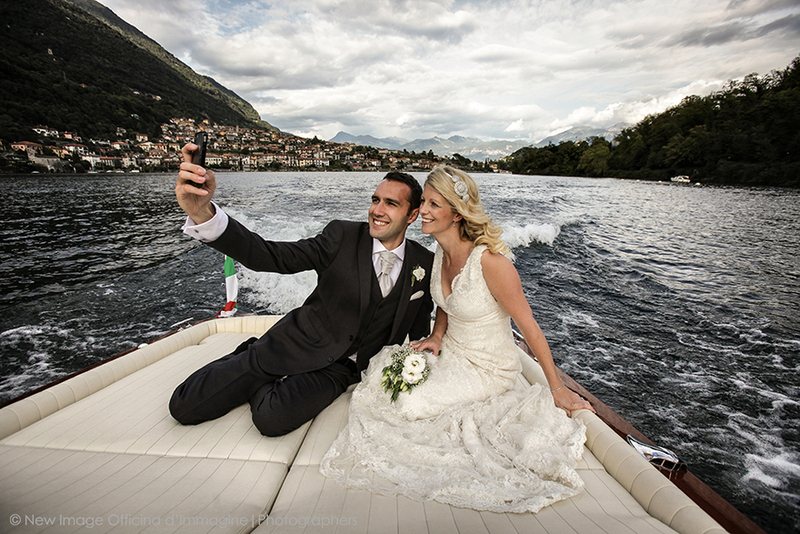 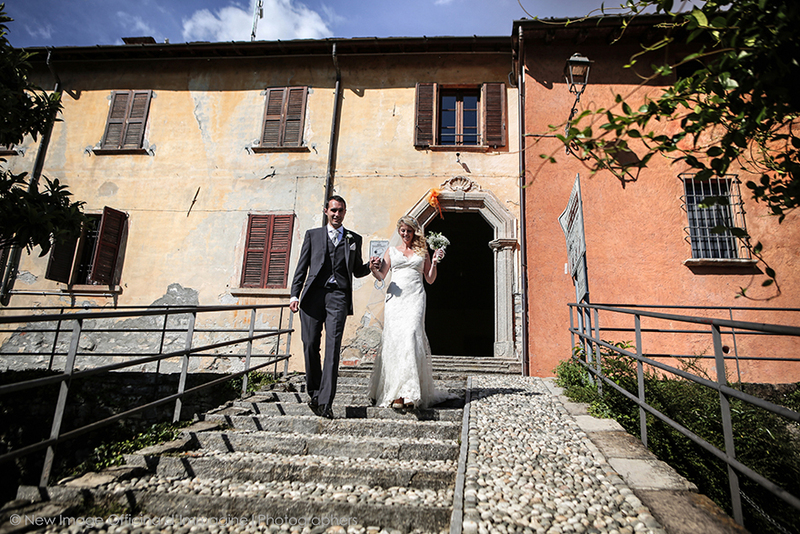 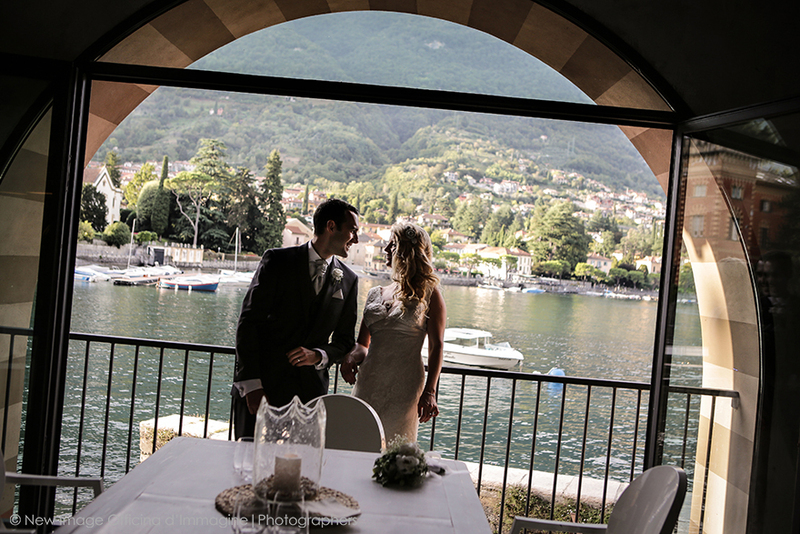 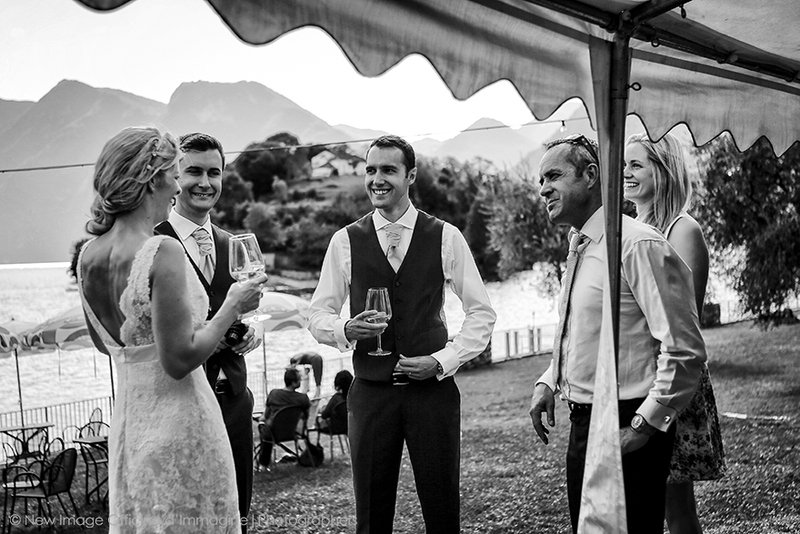 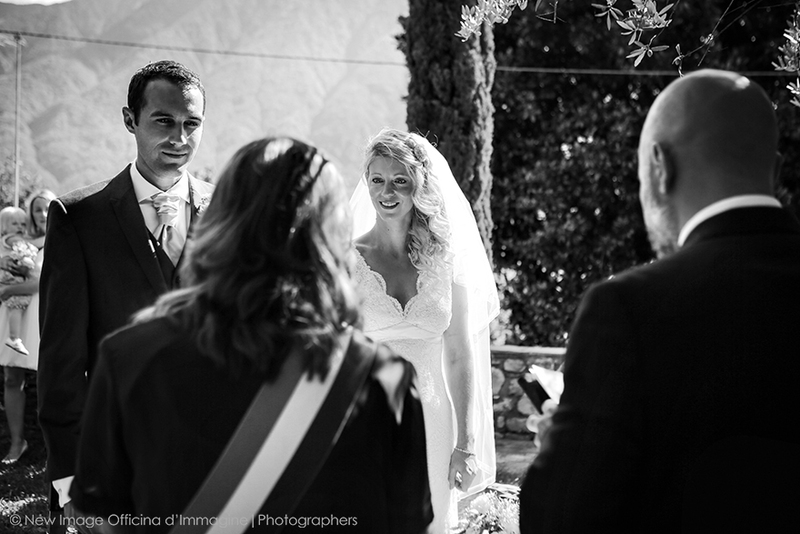 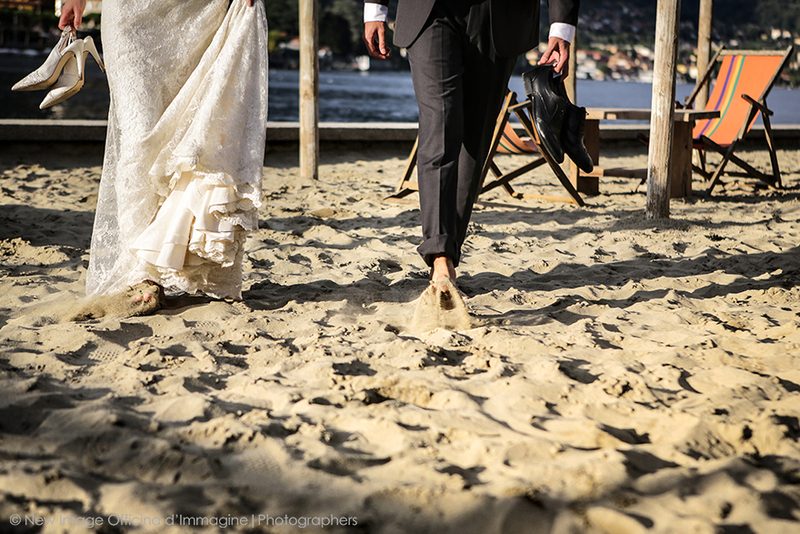 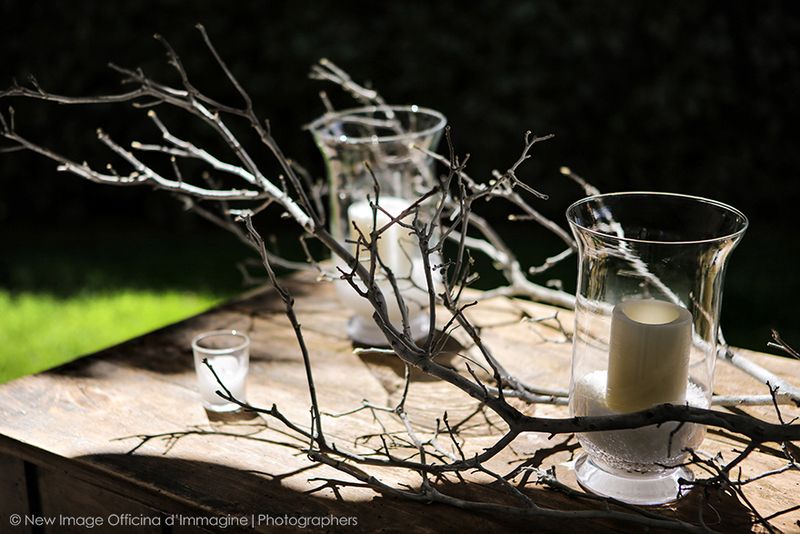 Alcune foto in stile reportage di Emma & Ben di nozze, Una splendida coppia inglese, Sulla incantevole lago di Como. 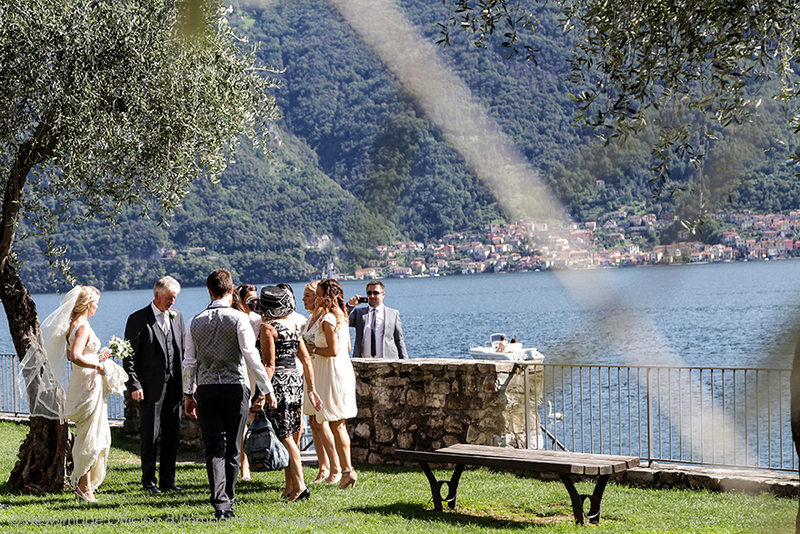 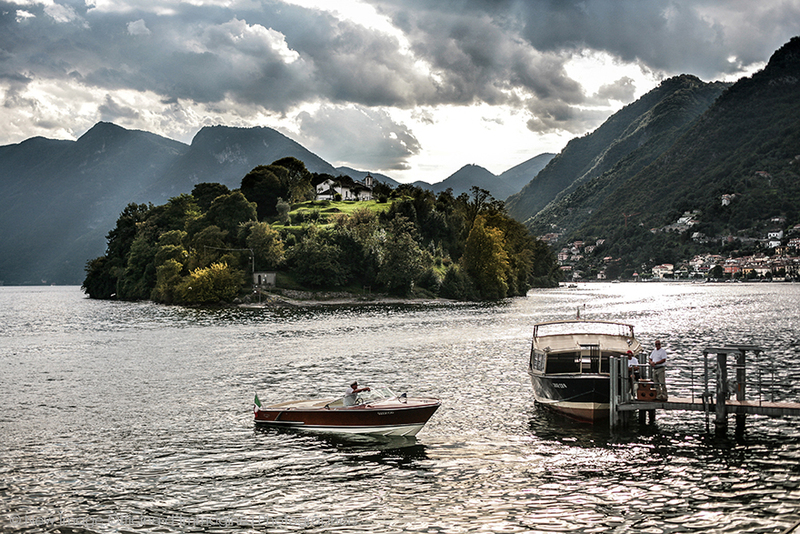 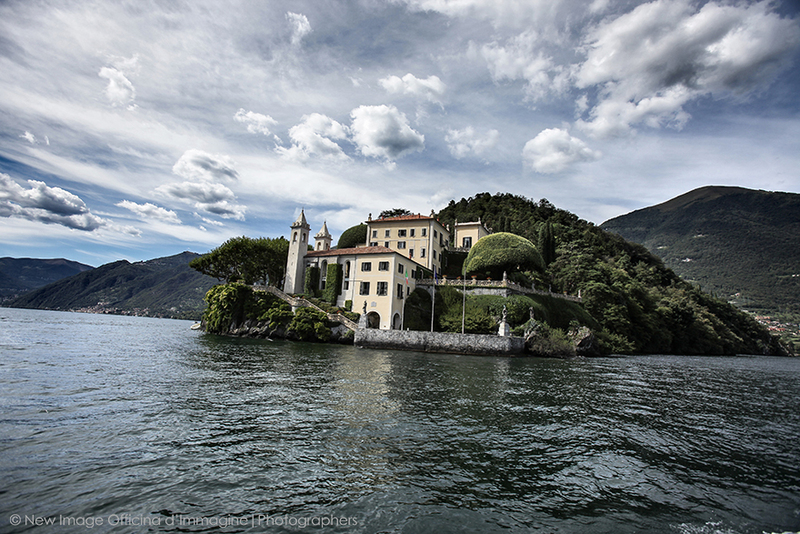 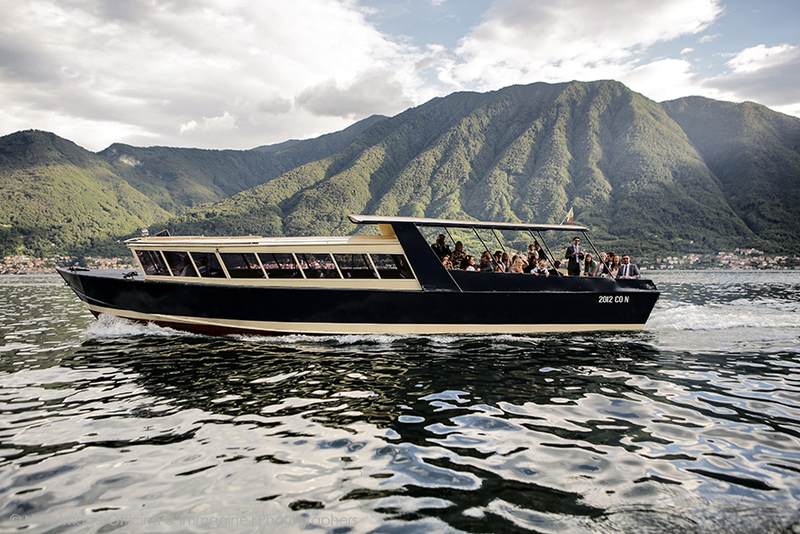 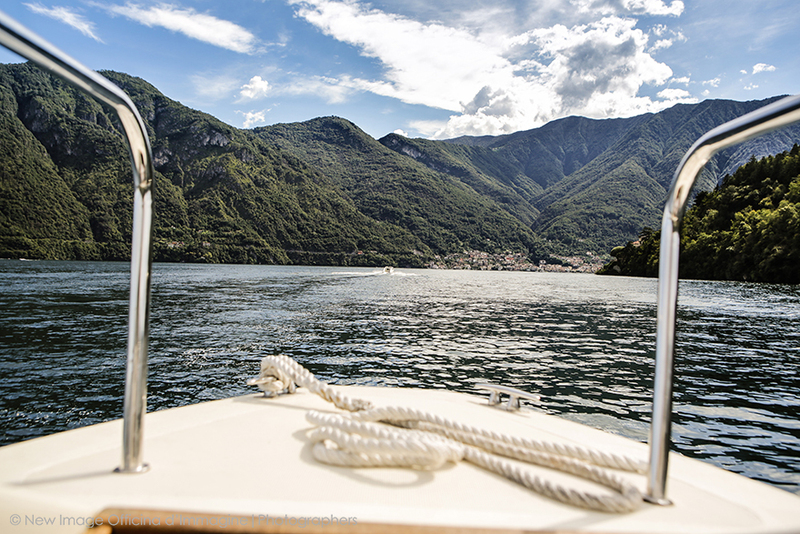 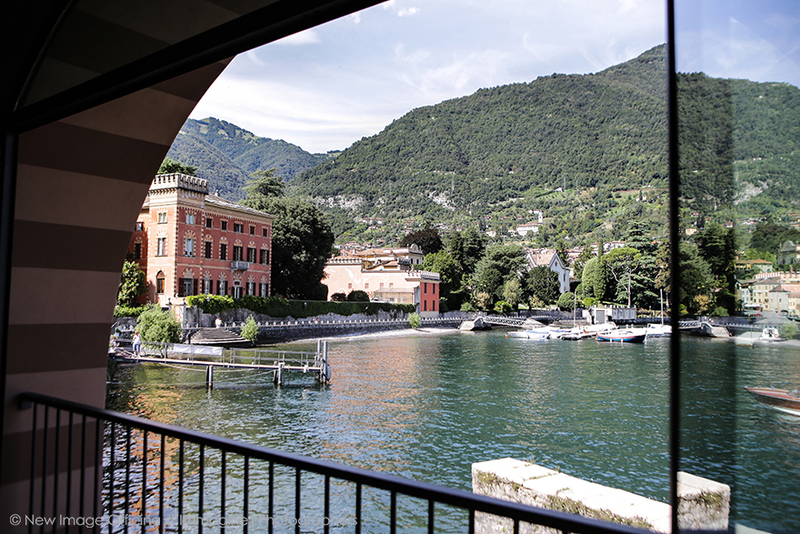 Una cerimonia intima nel giardino di olivi a Ossuccio Seguita da ONU ricevimento Vicino Varenna Lido con Una splendida vista sul lago. 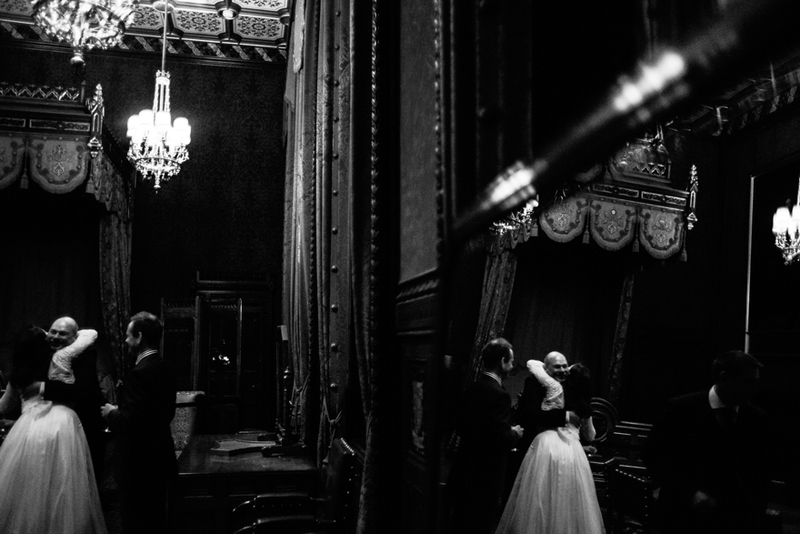 momenti di emozioni su ONU motoscafo Realizzato per Un matrimonio unico.